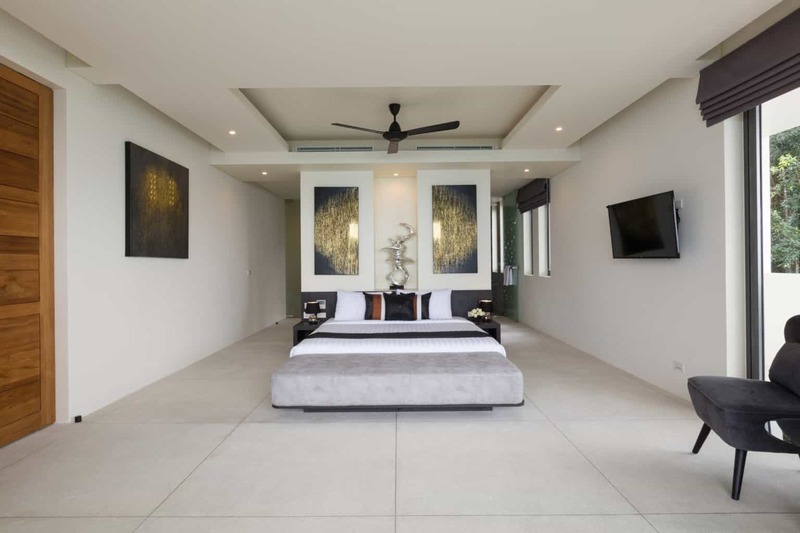 Luxury Villa Rental Villa Spice is a unique property located in Lime Samui (Lime Samui Villa 3) is an outstanding property built through 5 separate levels, with 5 bedrooms, all ensuite, including a dedicated children’s bedroom and stunning double height master suite with an attached mezzanine office stroke study with double sofa bed, which can also be curtained off to use as an additional bedroom. 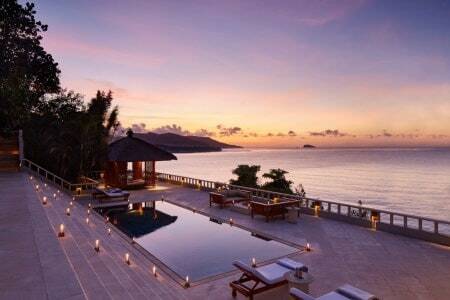 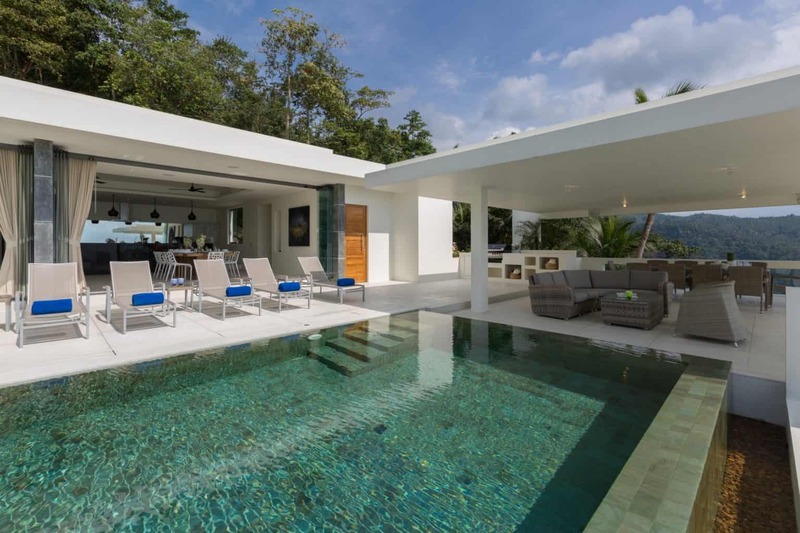 The villa’s spacious communal living area opens right onto the infinity pool and surrounding terrace. 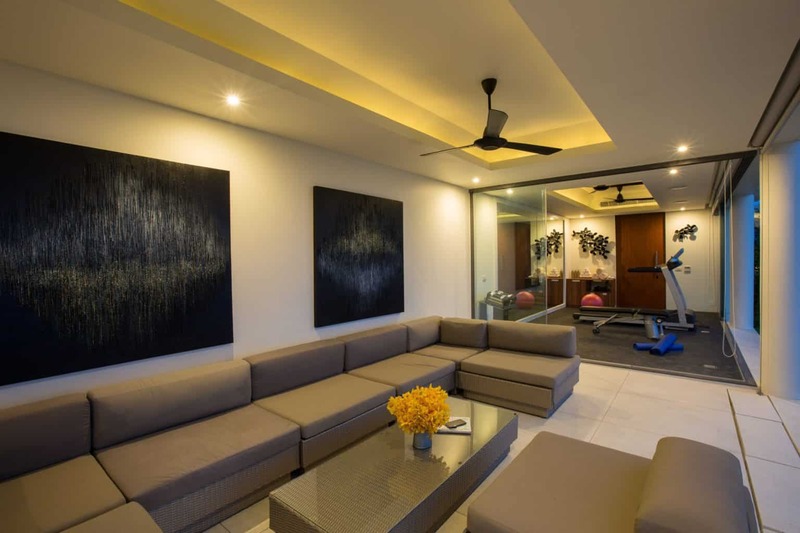 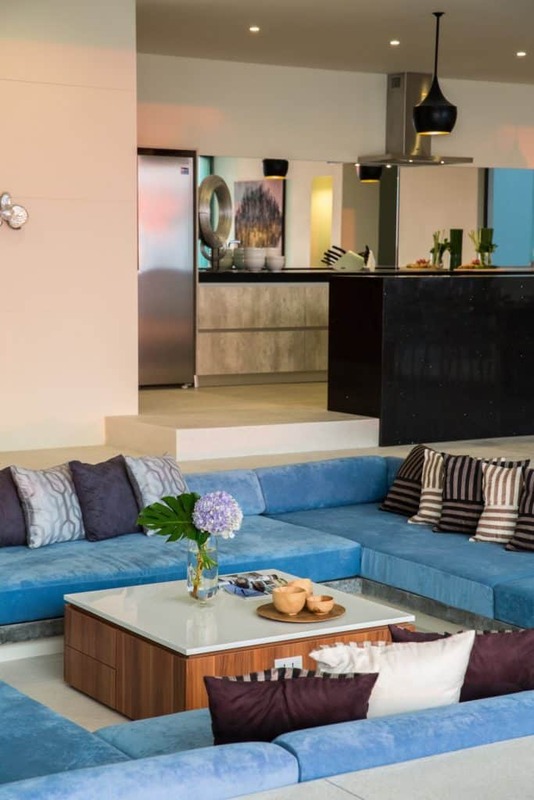 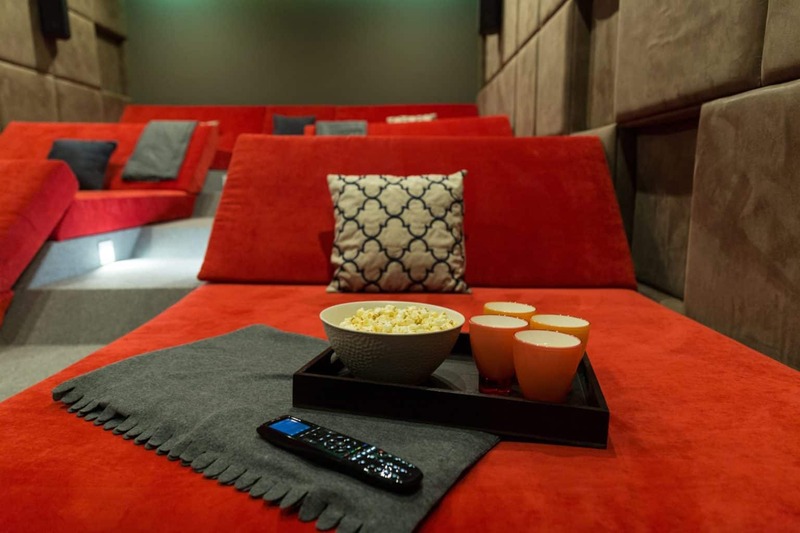 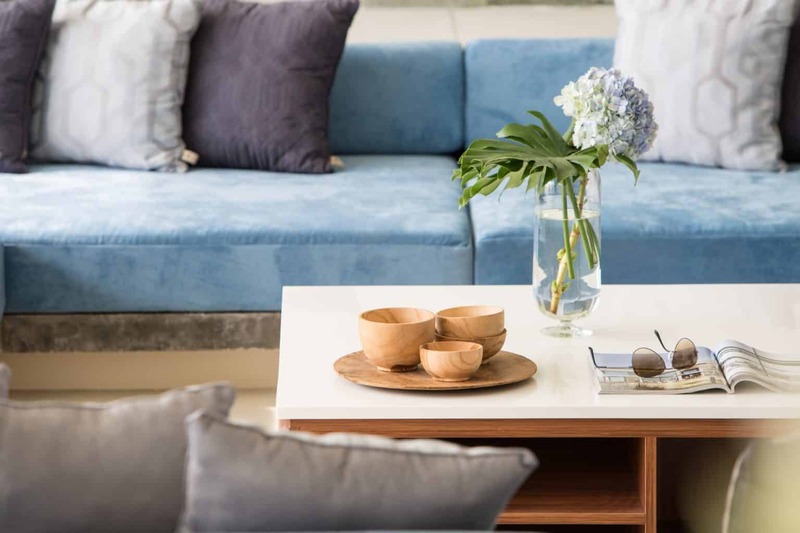 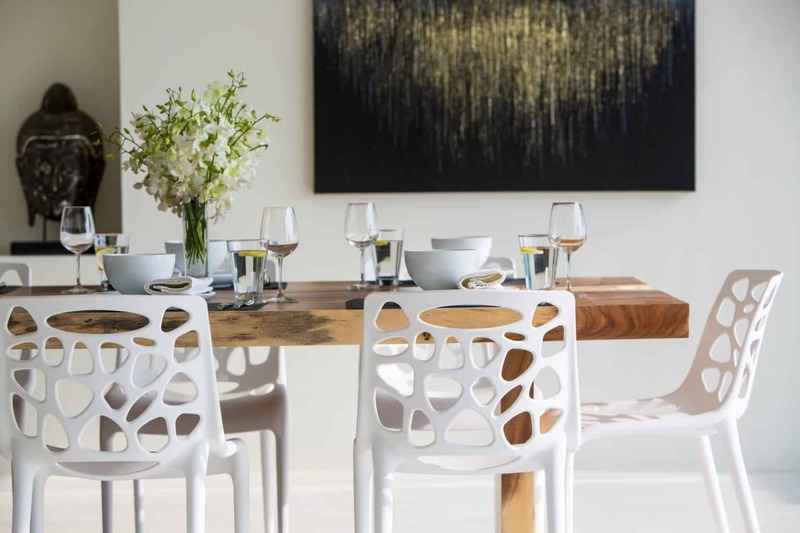 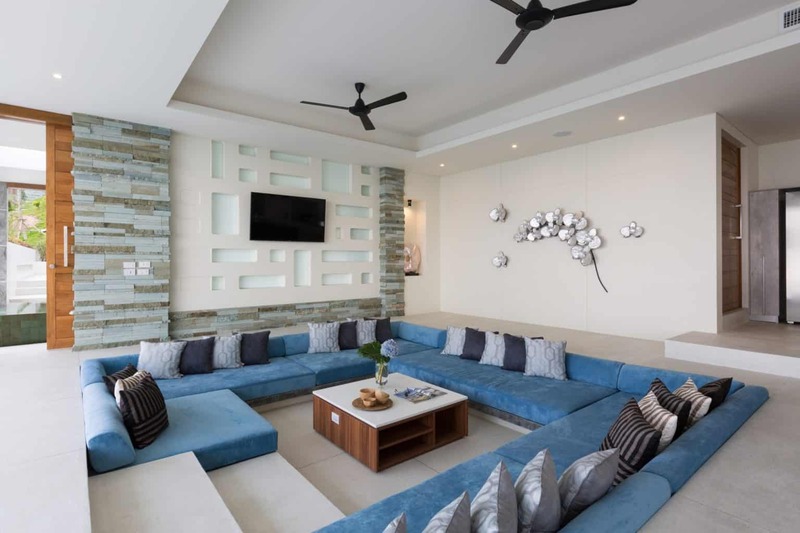 Inside, a modern, sunken lounge area is furnished with soft cushioned sofas and the dining space features a 12+seater dining table crafted from a single cut of rich, smooth acacia wood. 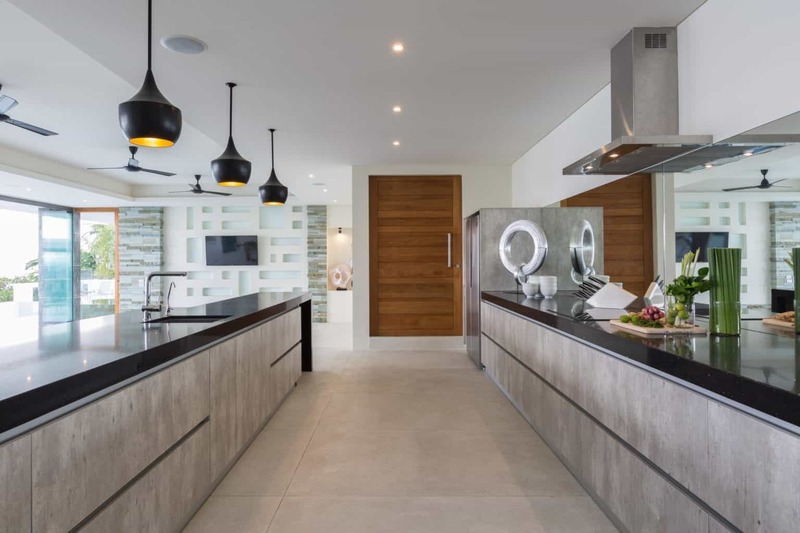 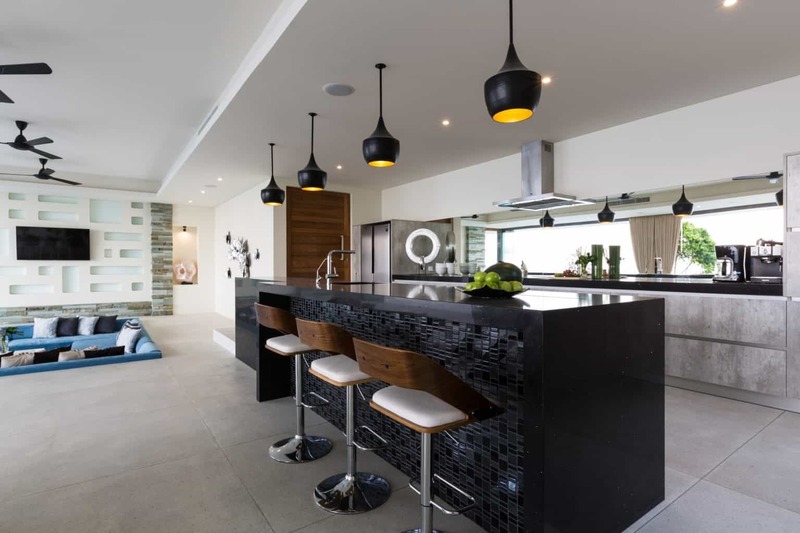 Meals can be prepared or served from the ultra-modern fitted kitchen which comes with a host of high-end appliances and also includes a full length granite breakfast bar. 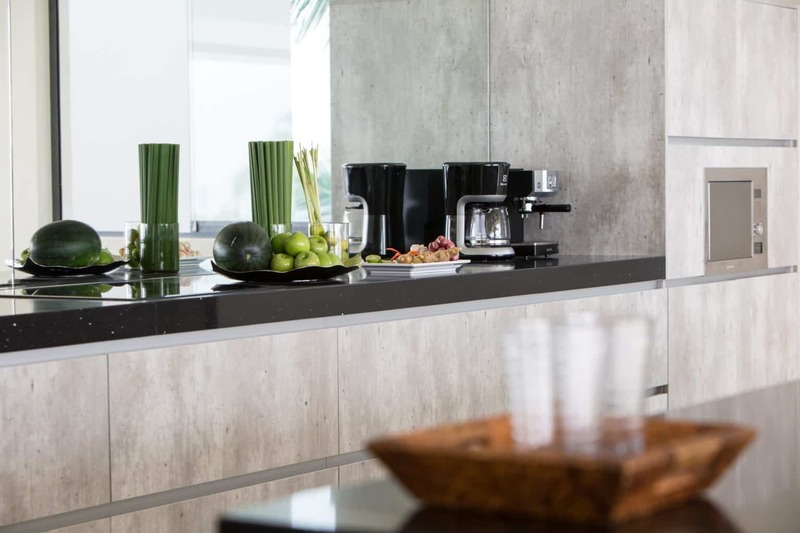 There is also a second concealed kitchen for staff use. 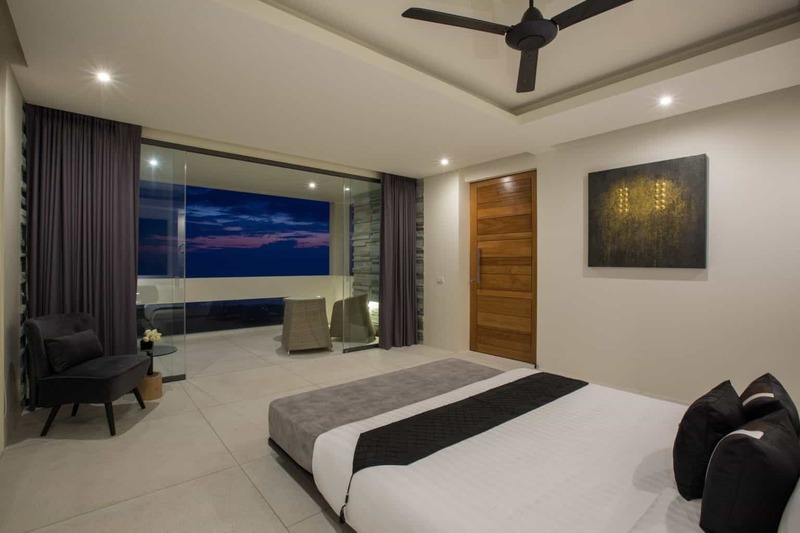 Directly in front of the main living area, the ocean view infinity pool is bordered on three sides by a wide terrace and furnished with cushioned loungers and day beds. 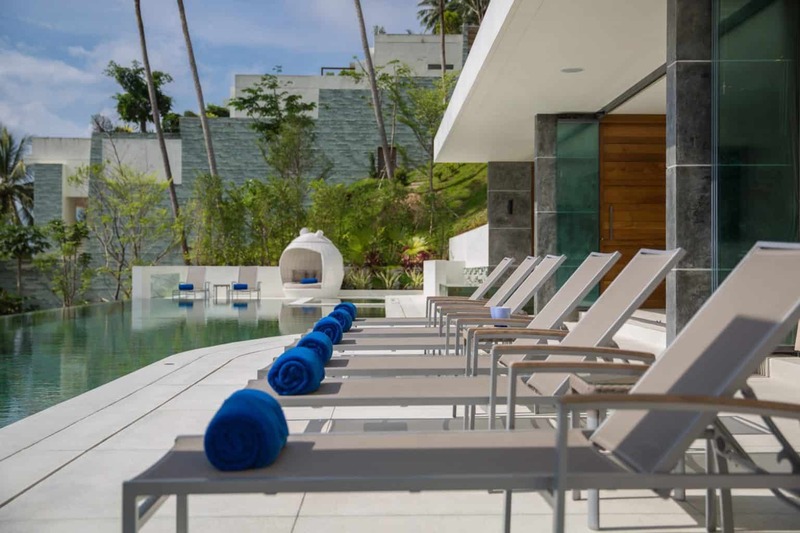 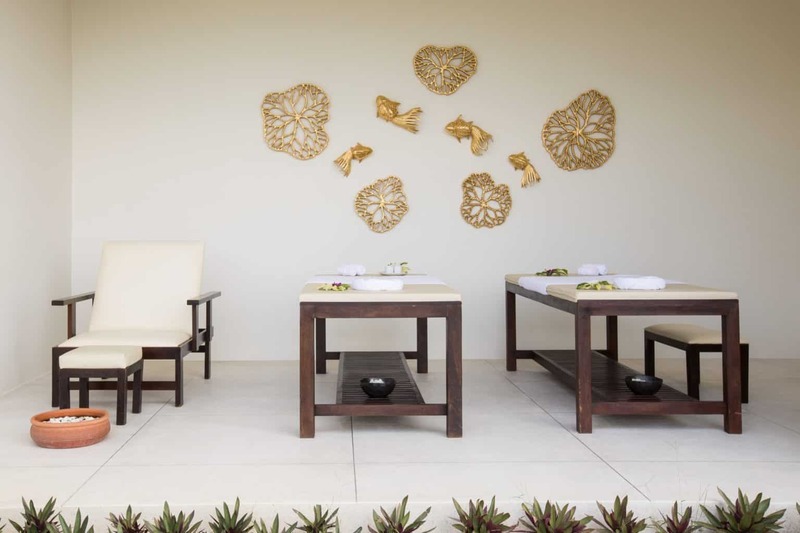 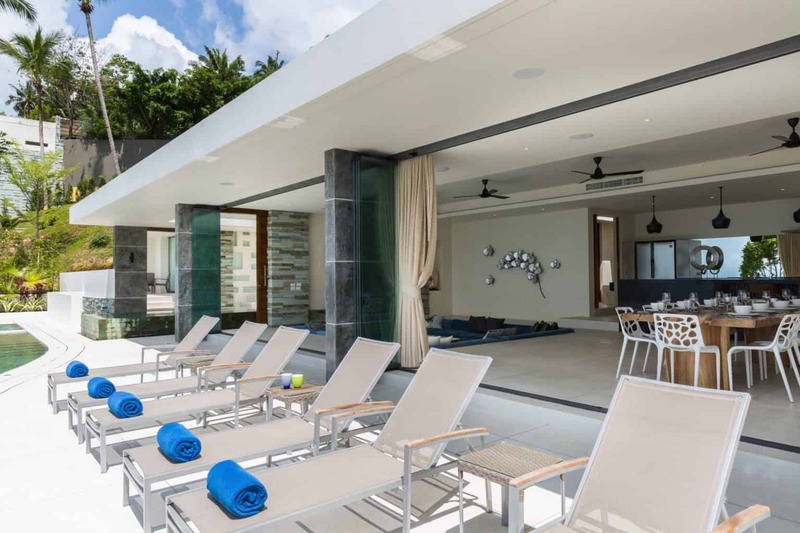 An expansive covered poolside area includes a 10-seater dining table and casual seating making it the perfect spot for meals and drinks, either during the day or after dark. 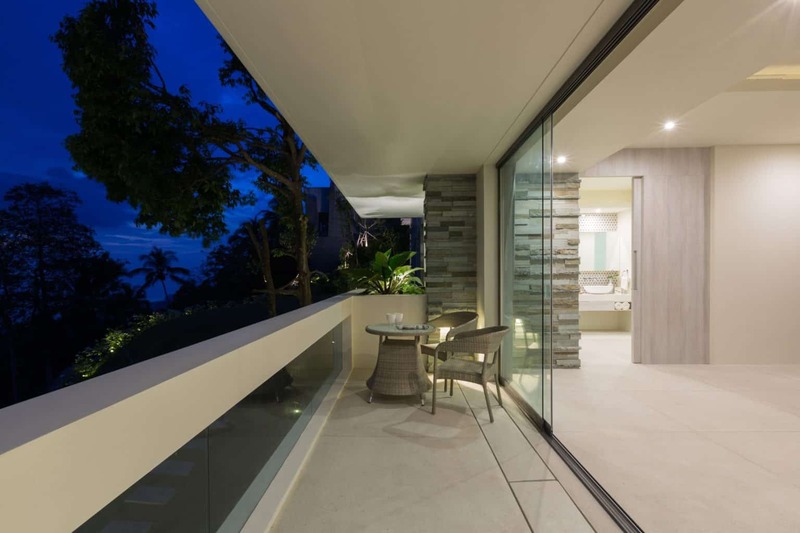 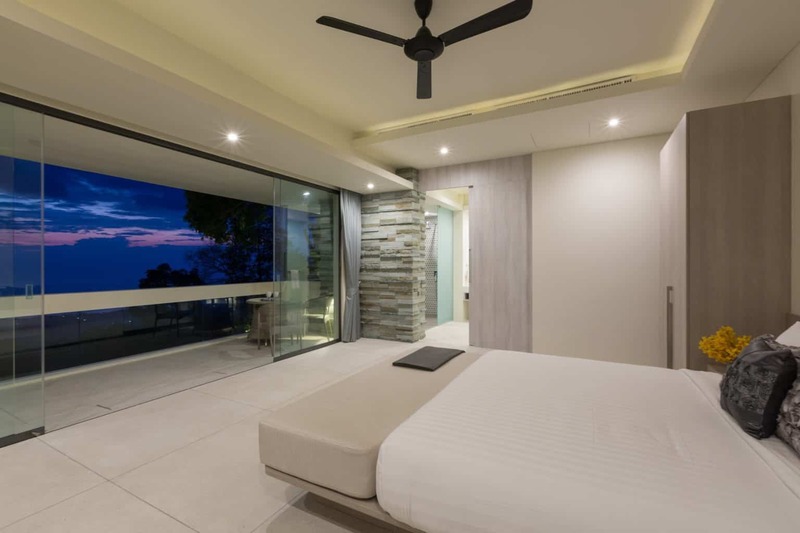 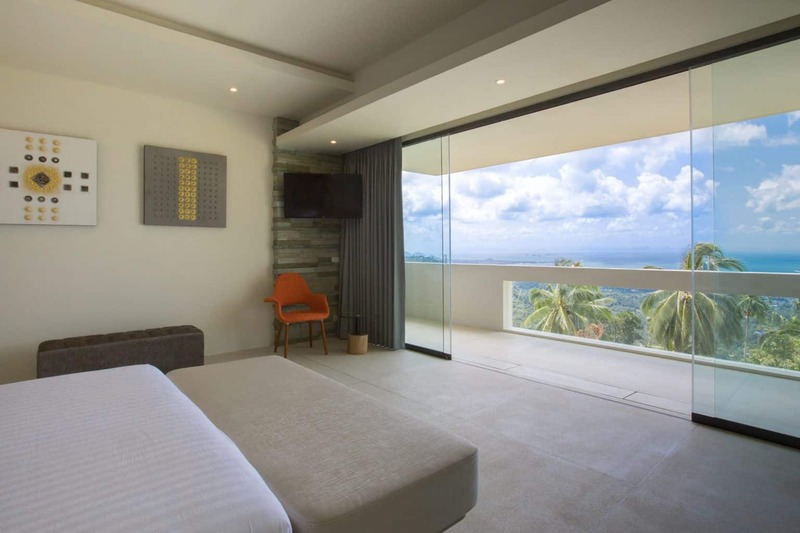 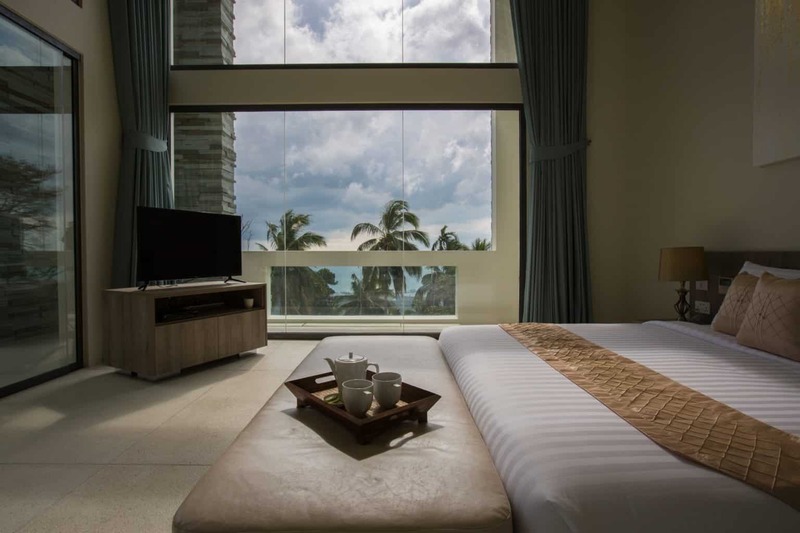 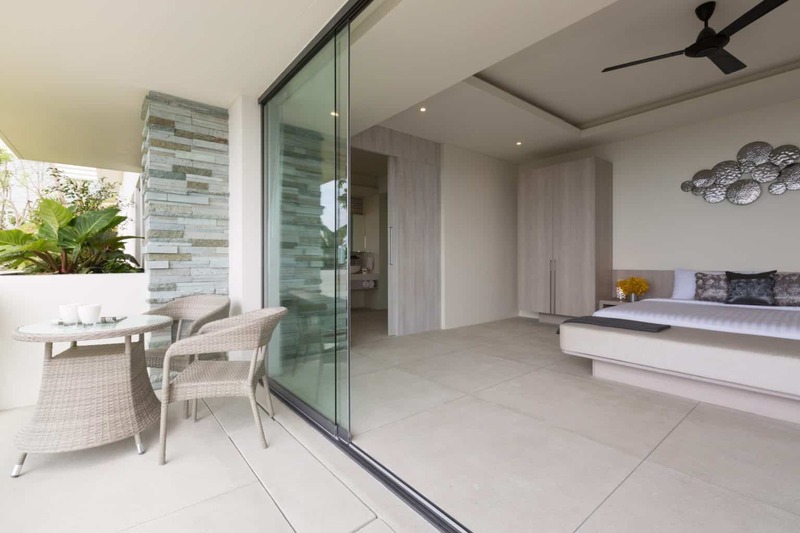 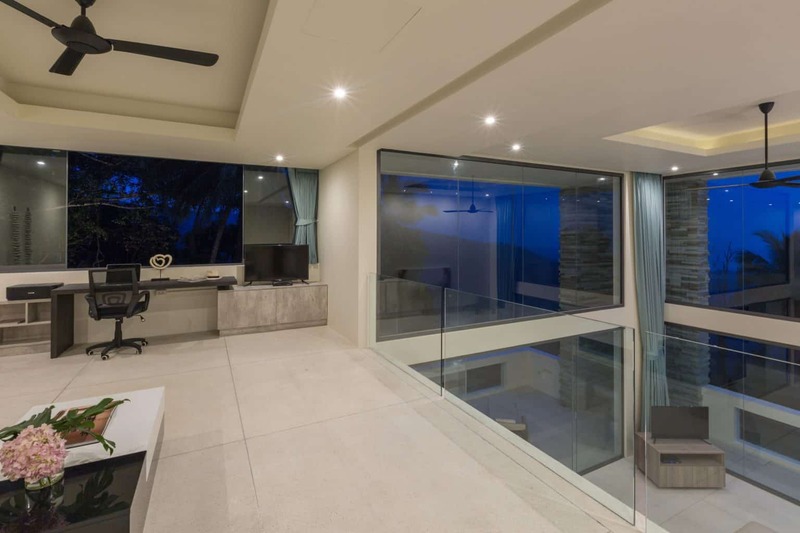 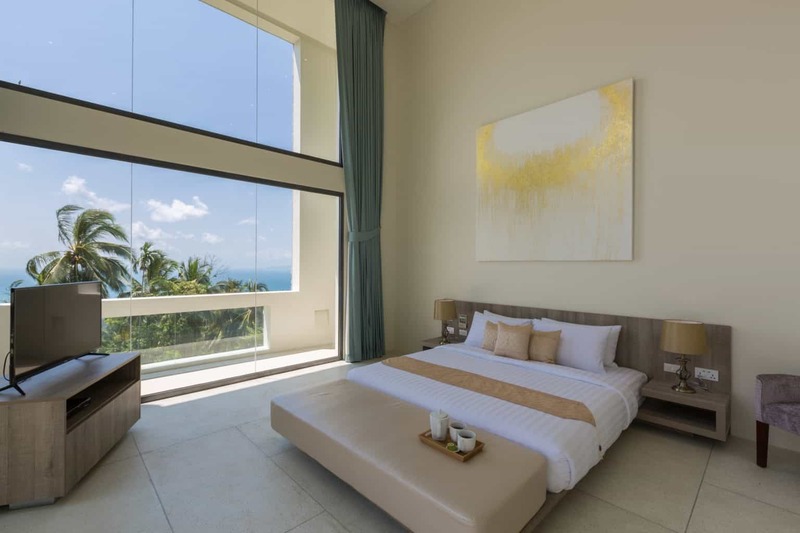 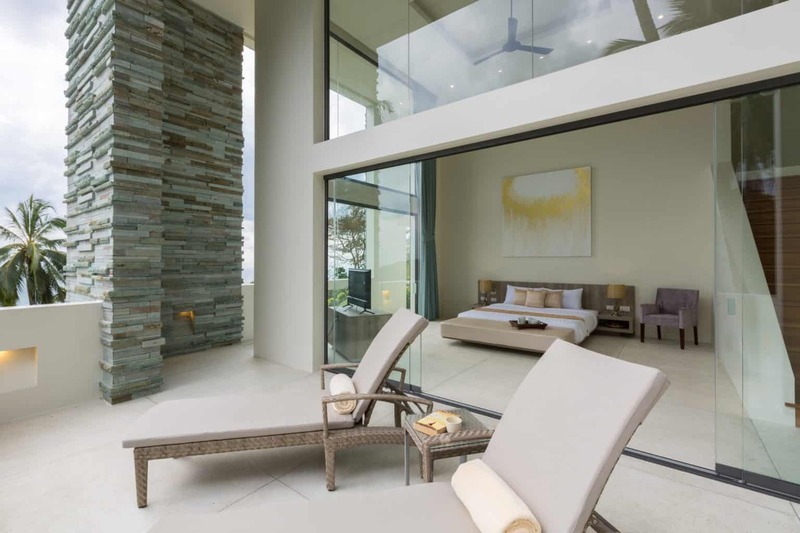 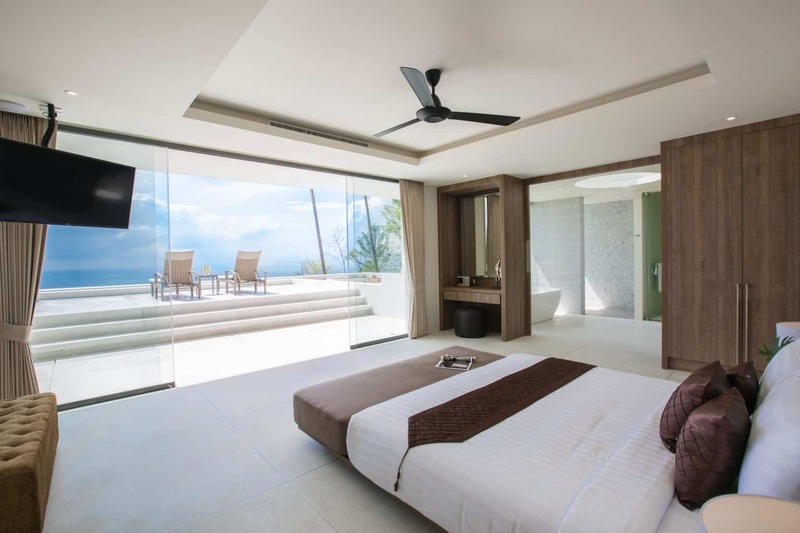 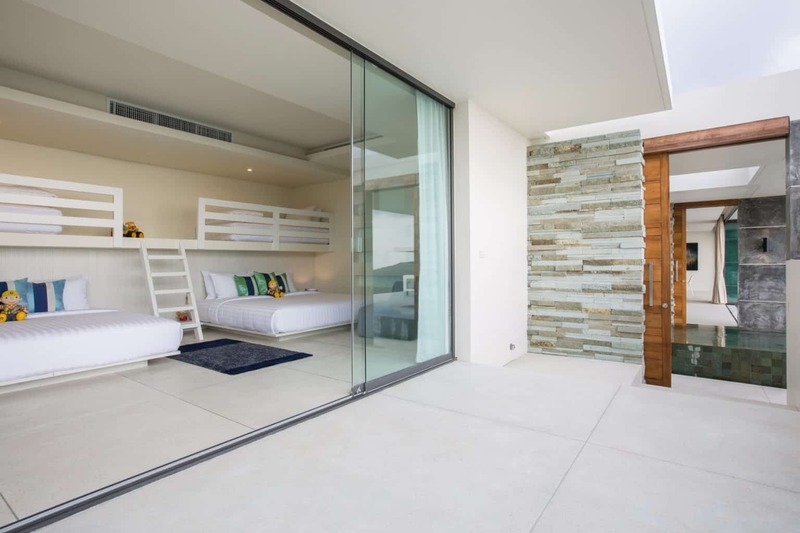 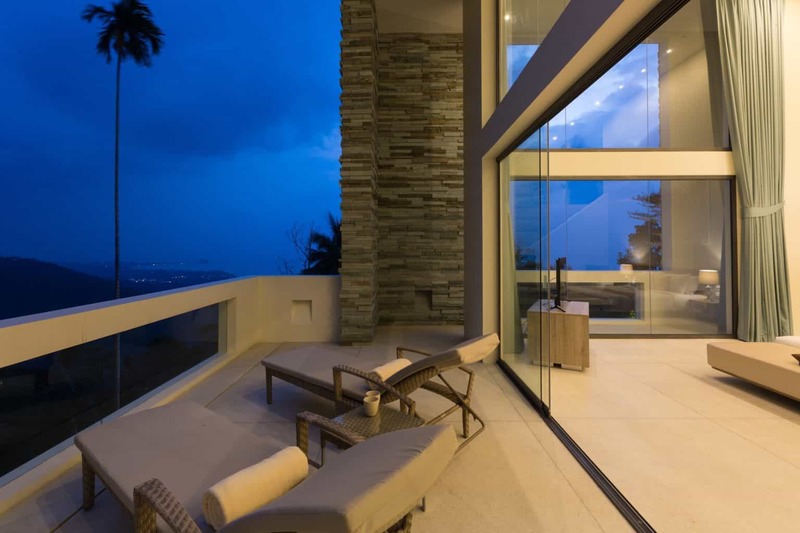 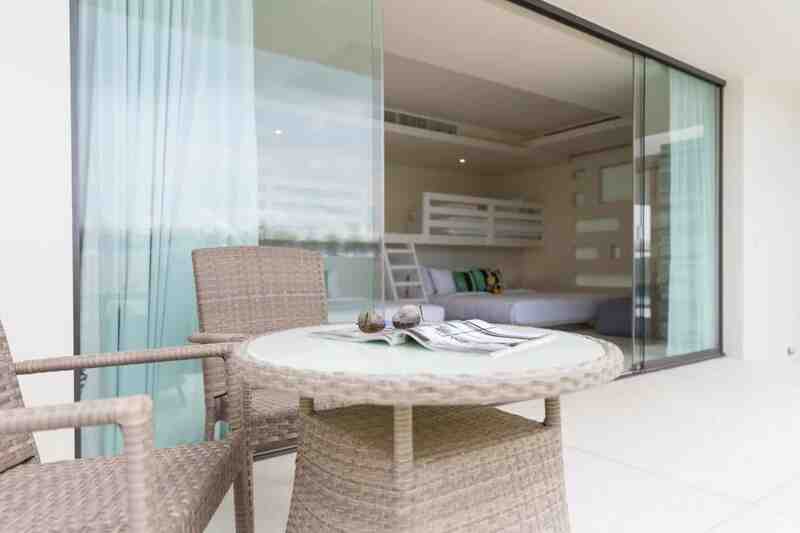 Folding floor-to-ceiling glass doors throughout the villa ensure the stunning island views remain a constant backdrop to the stay while also allowing guests to easily switch from a tropical open air environment into cooler, air-conditioned comfort. 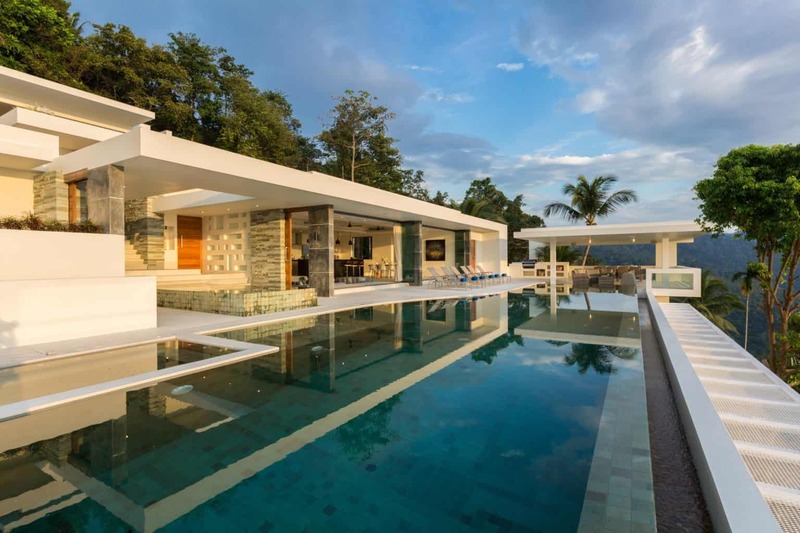 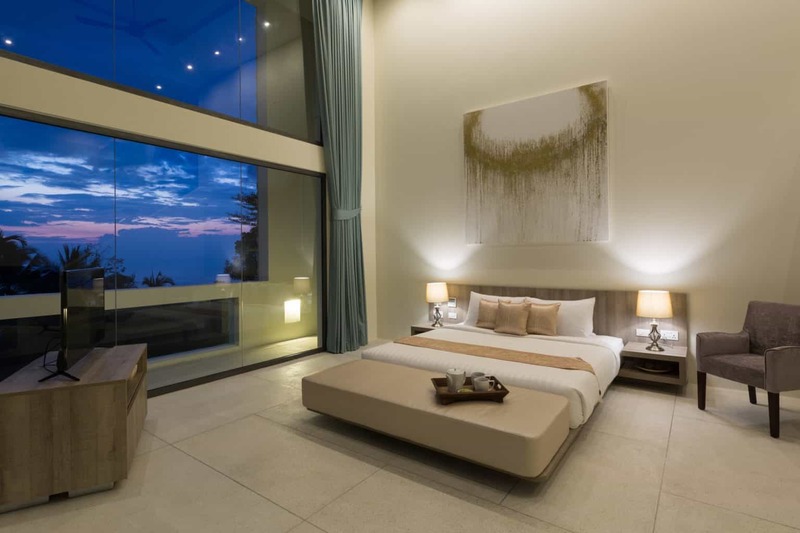 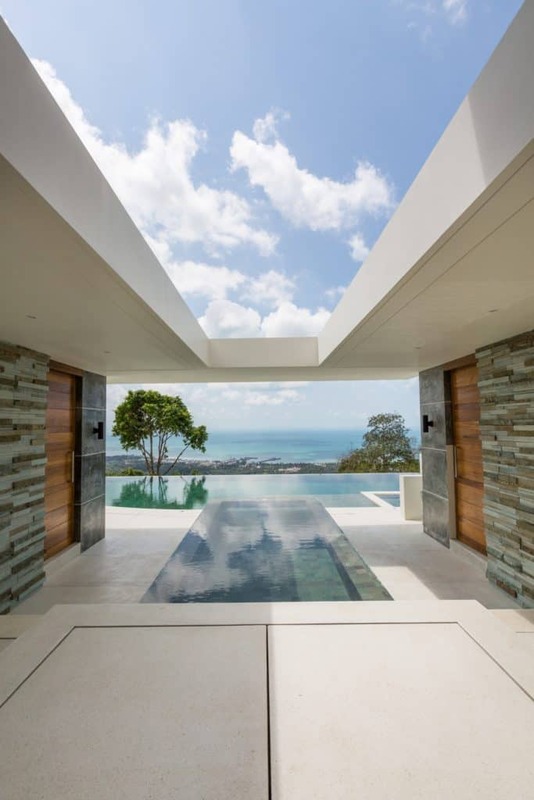 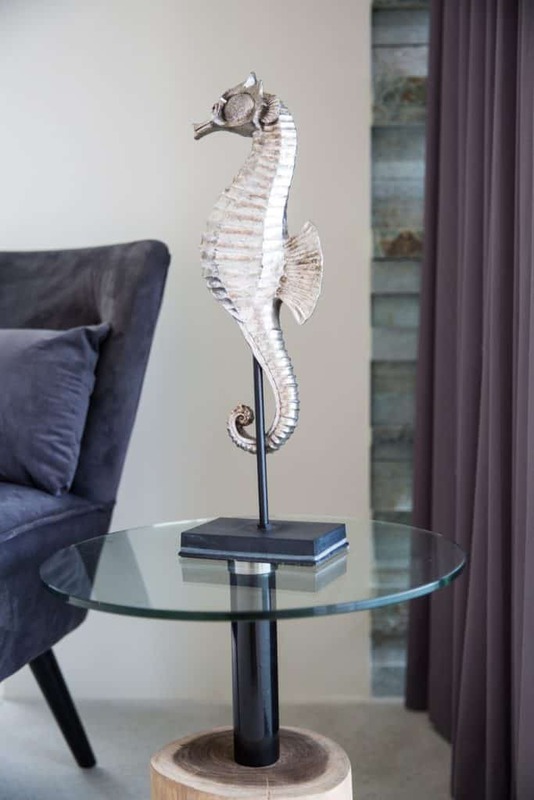 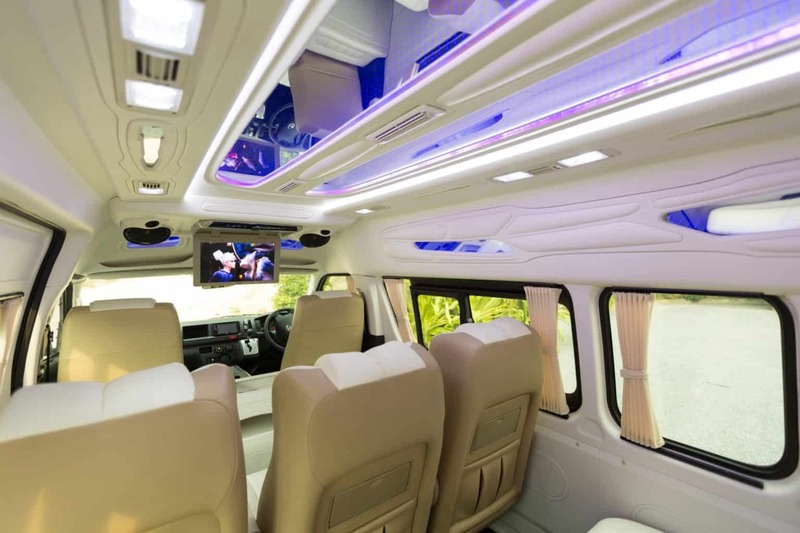 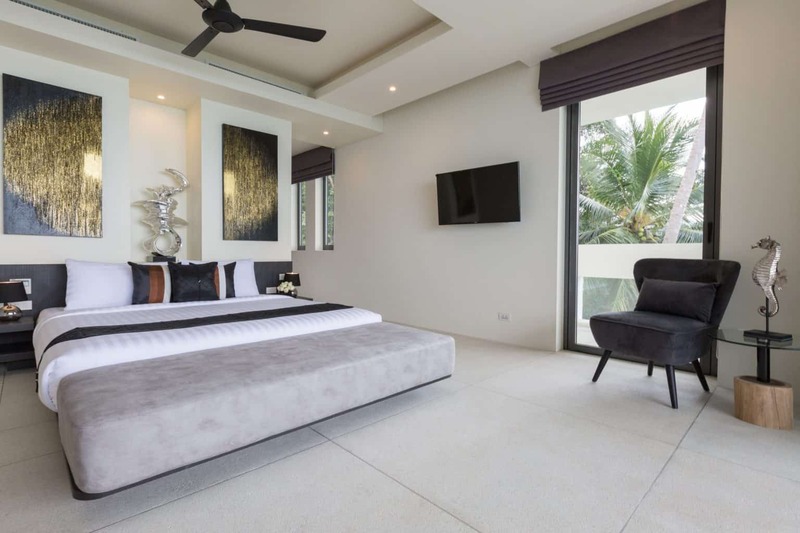 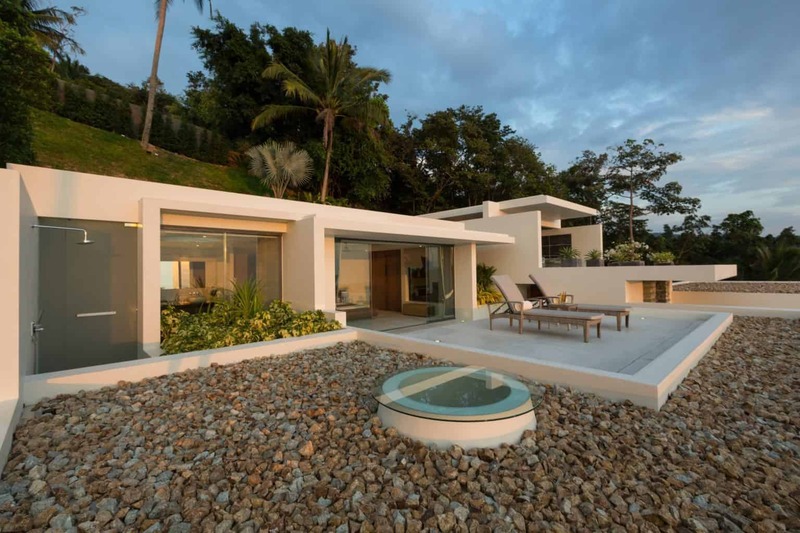 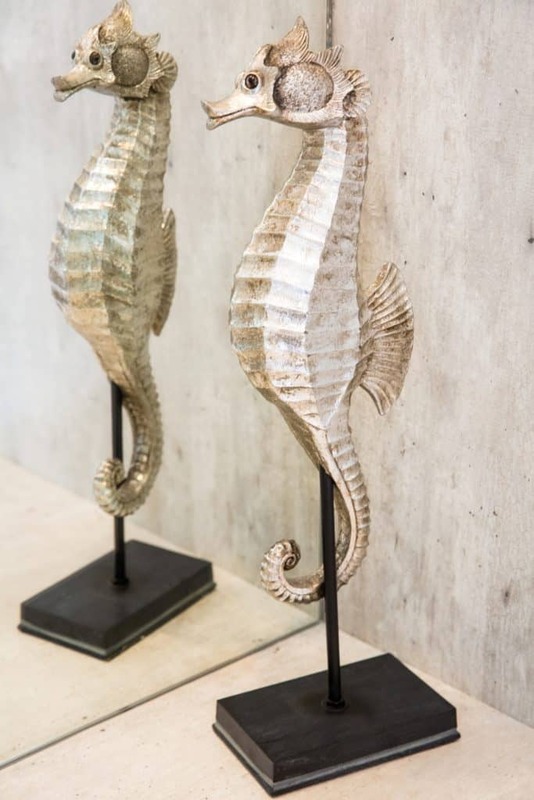 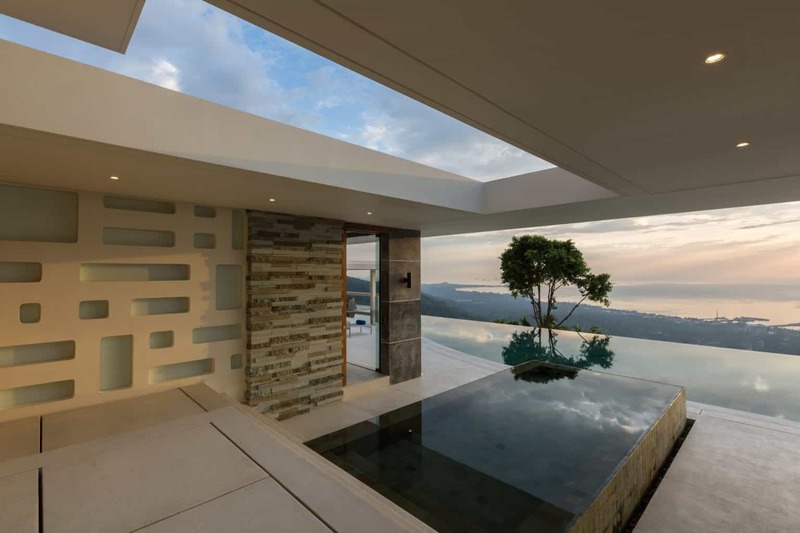 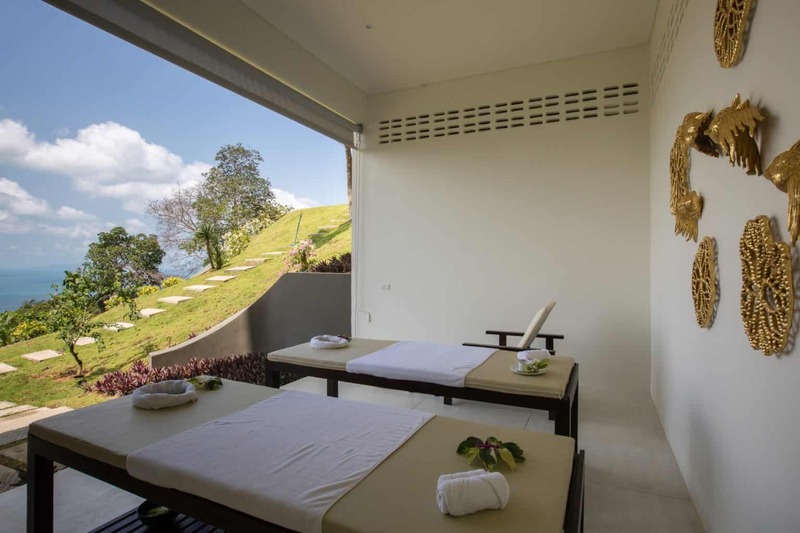 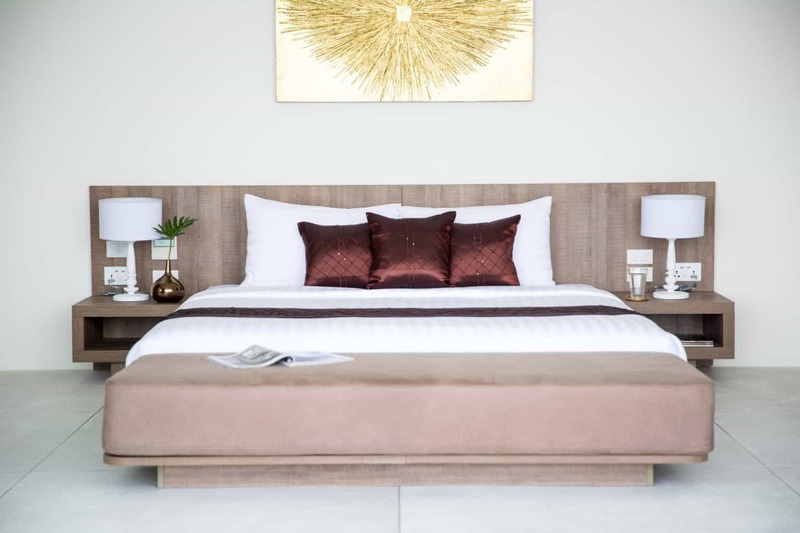 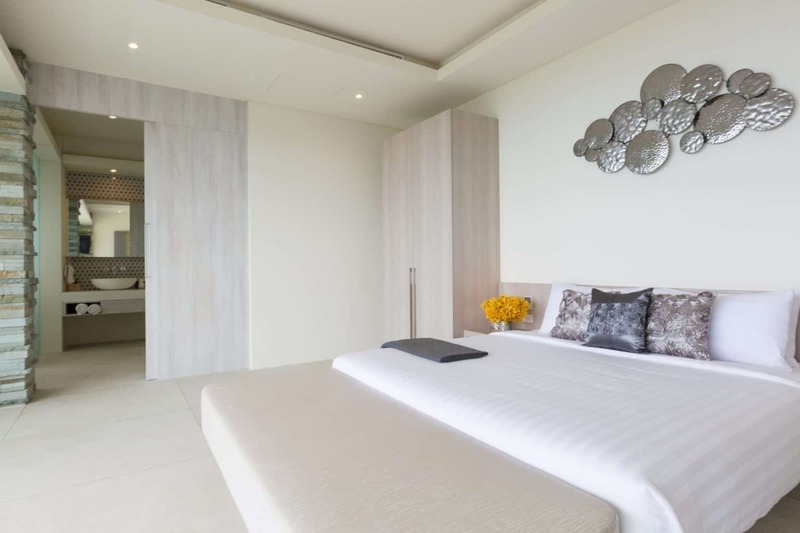 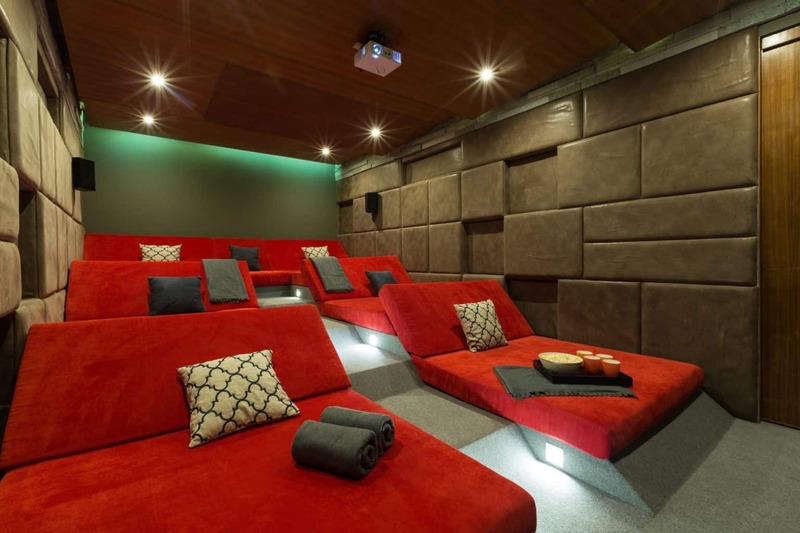 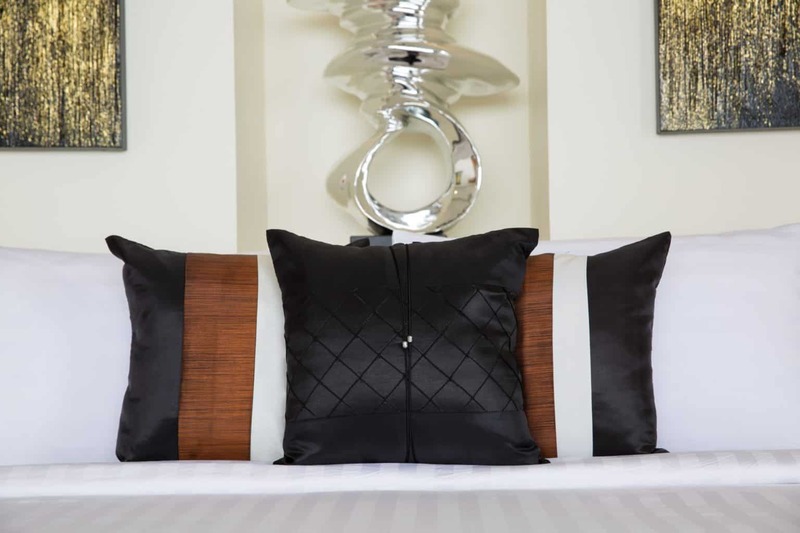 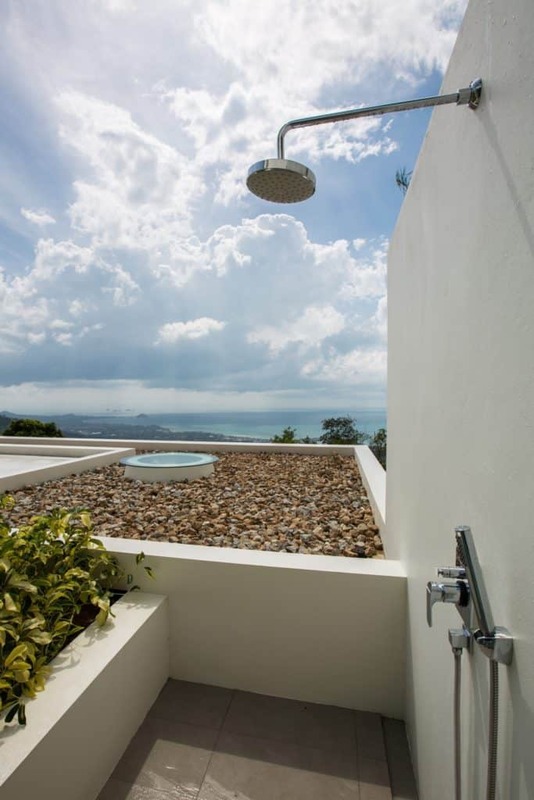 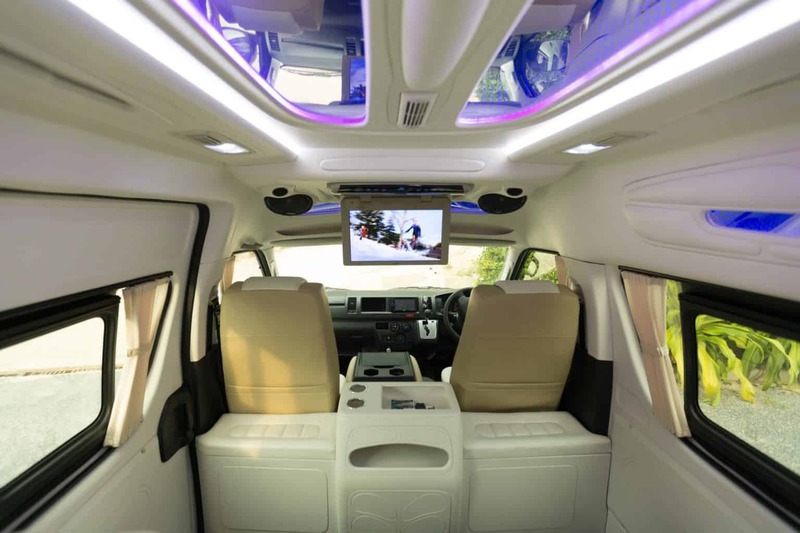 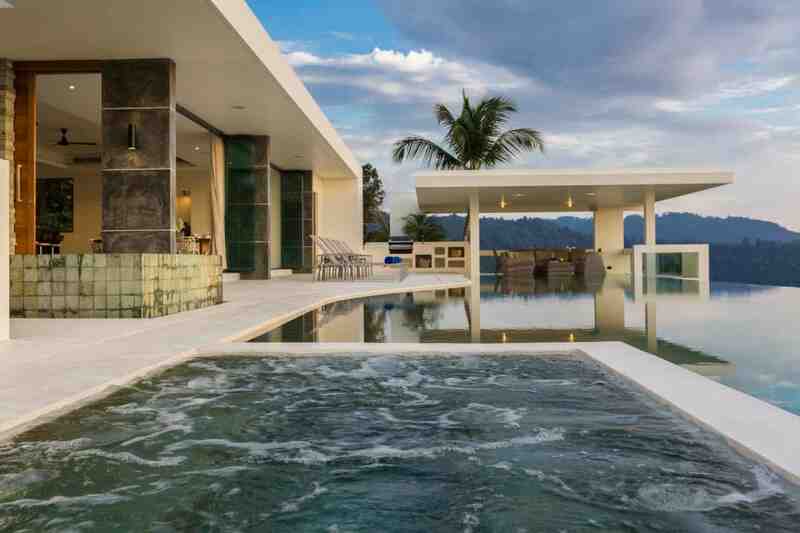 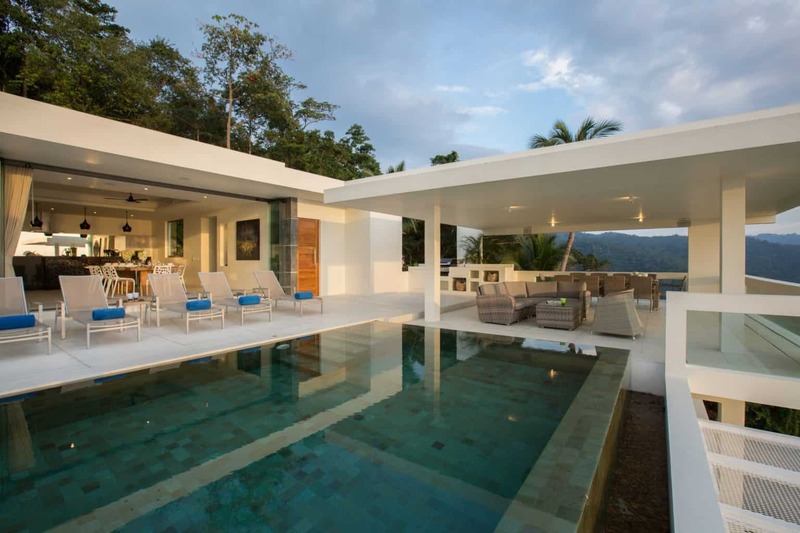 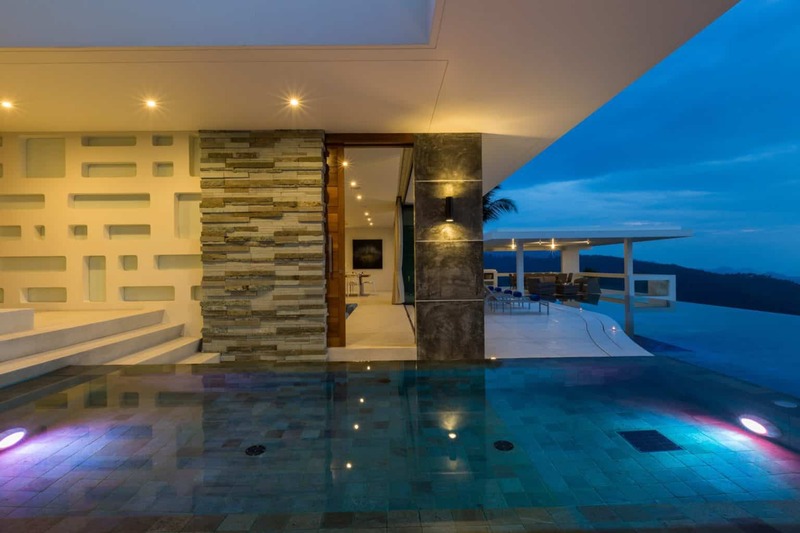 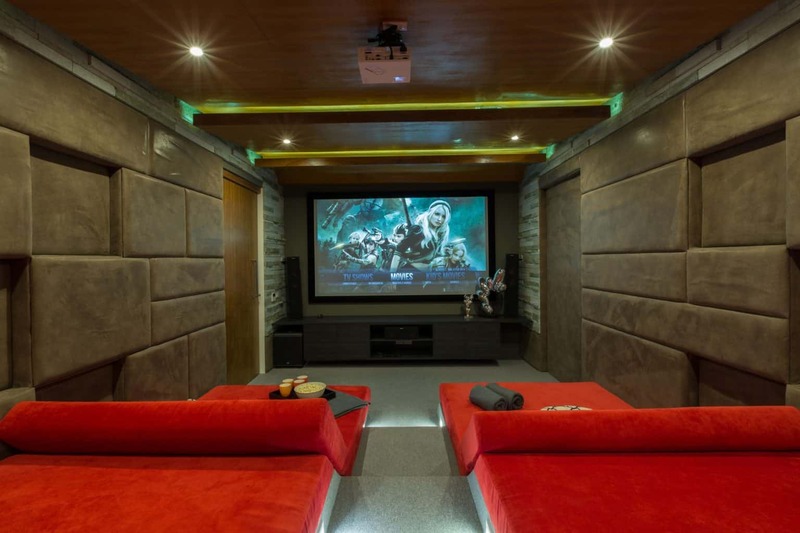 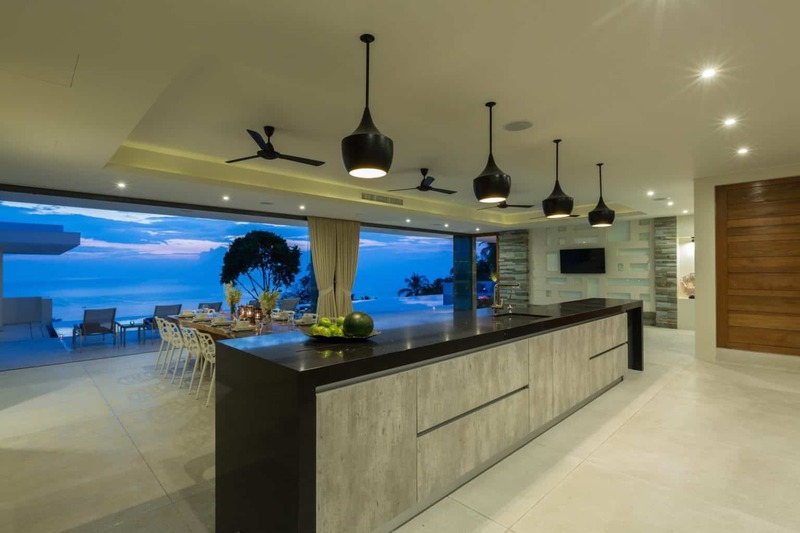 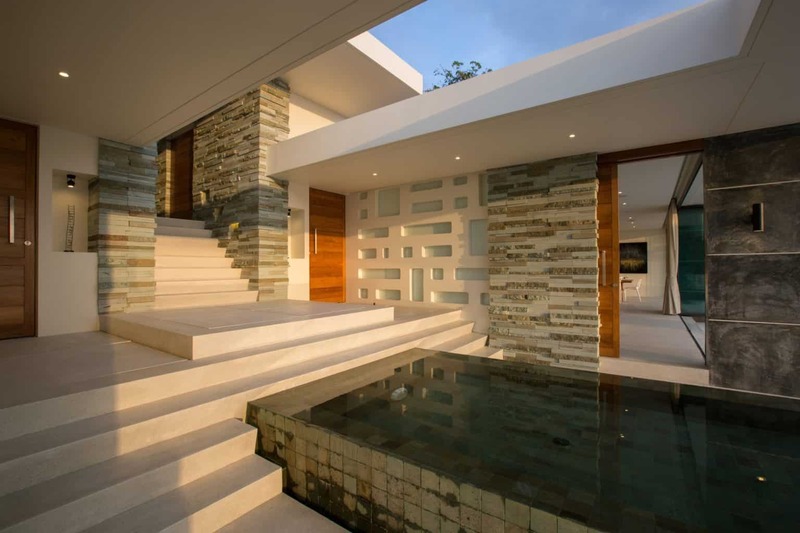 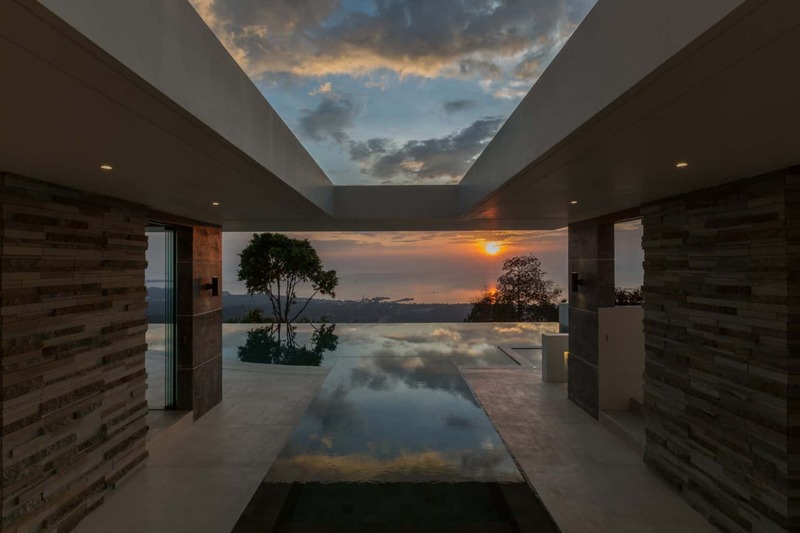 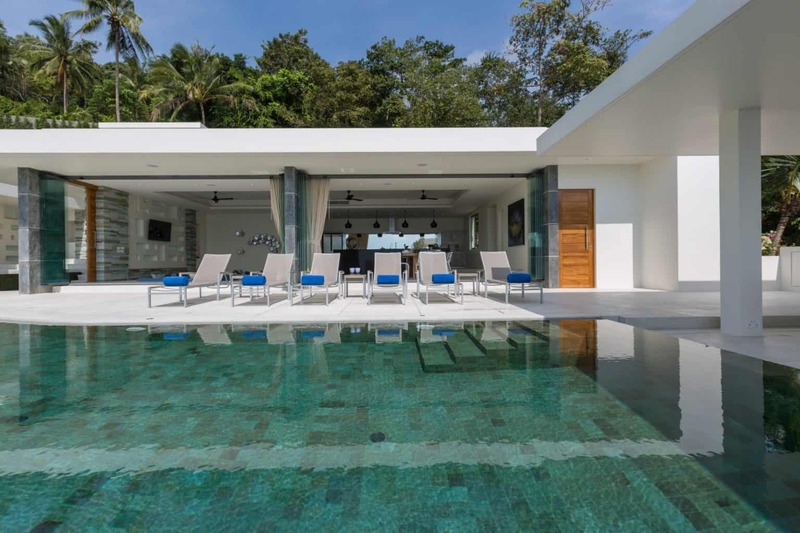 The villa can sleep up to 16 guests (including children) in its 5 +1 bedrooms, all of which boast HDTVs, large built-in wardrobes, personal safes, and en-suite bathrooms with walk-in glass rain showers. 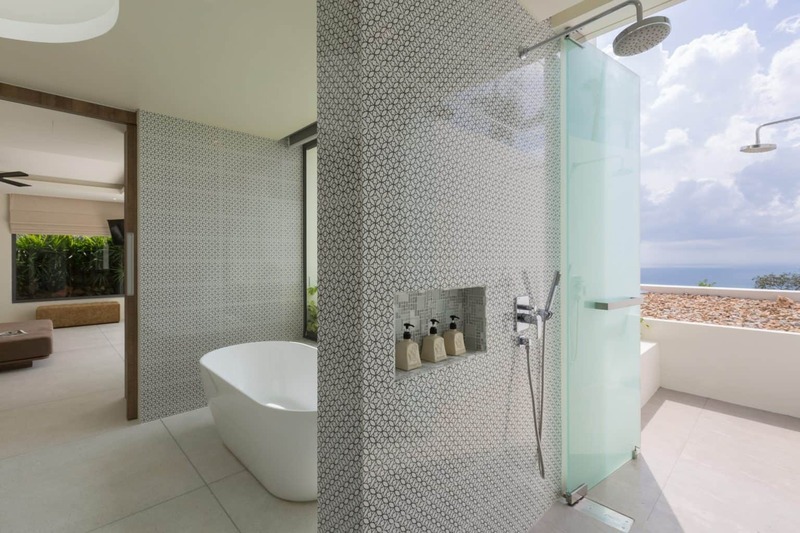 The master bathroom also comes with an indulgent seaview bath tub. 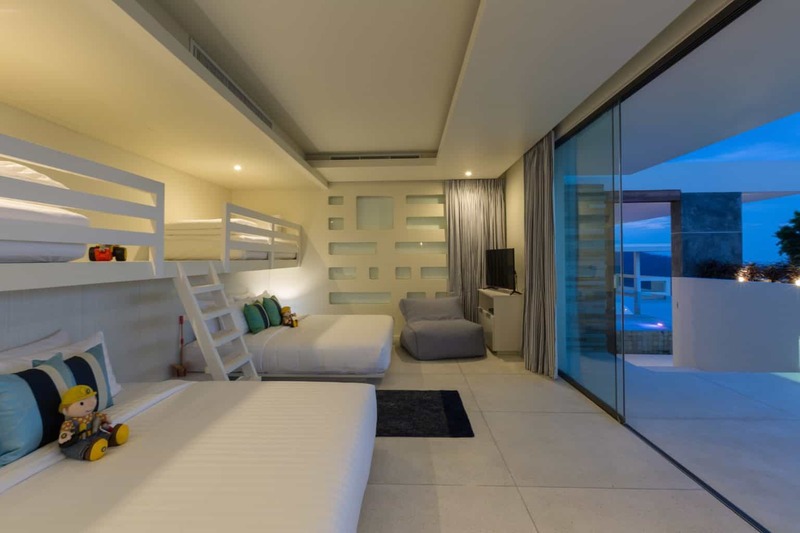 The children’s bedroom offers a smart design with 2 large beds suitable for older kids, each attached to a single bunk. 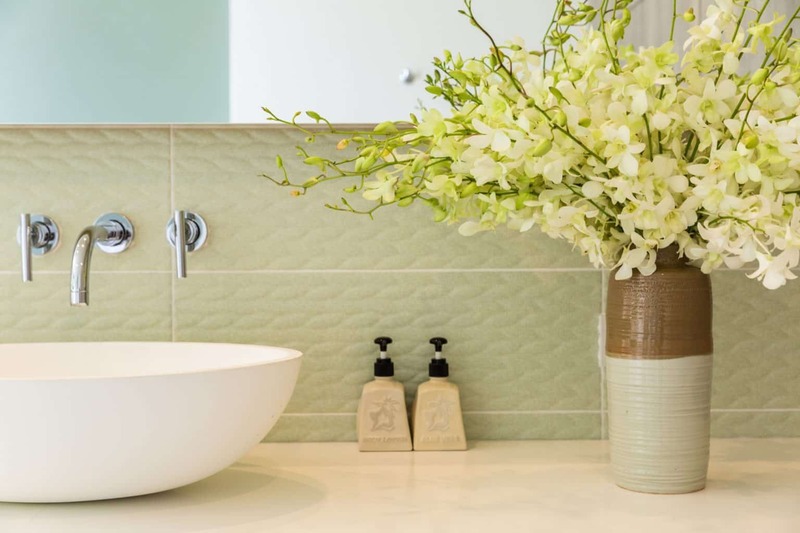 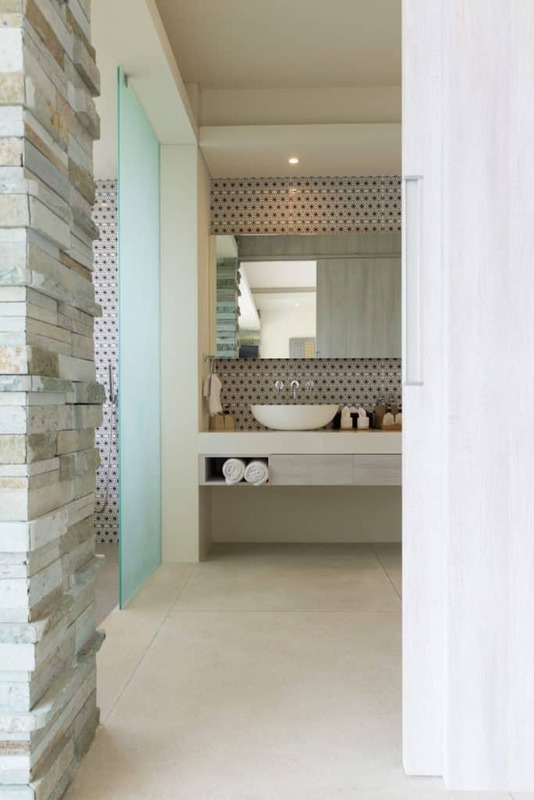 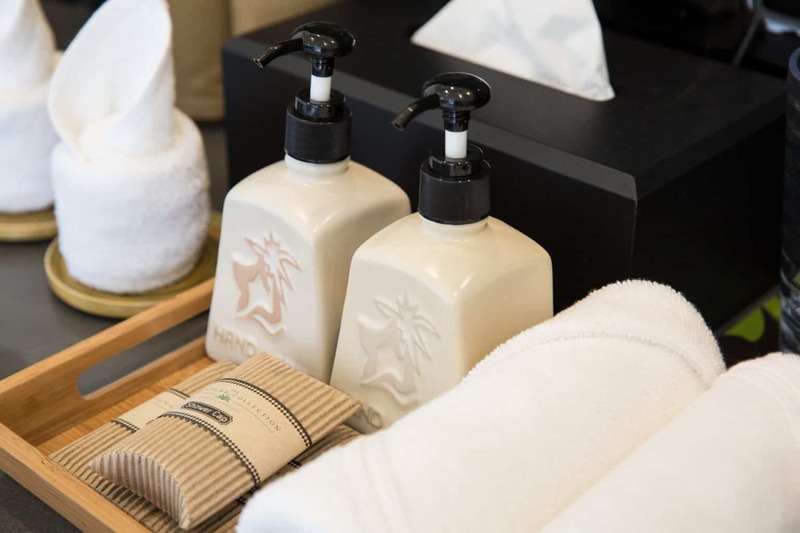 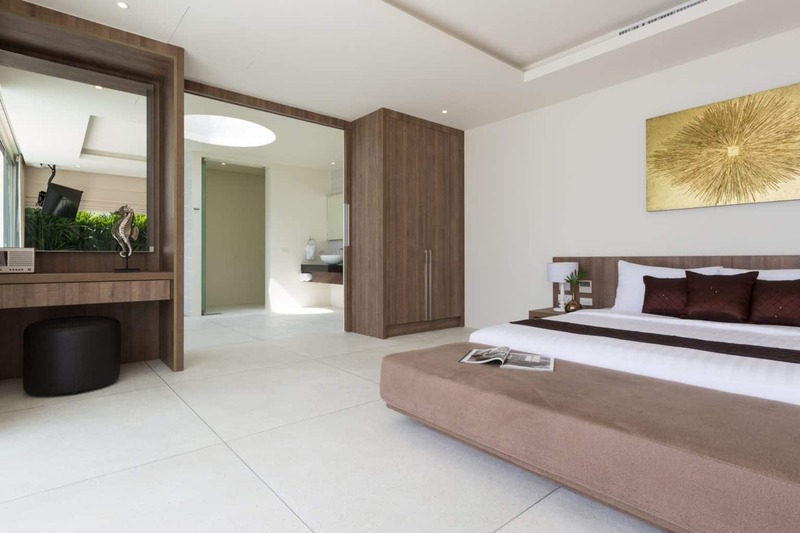 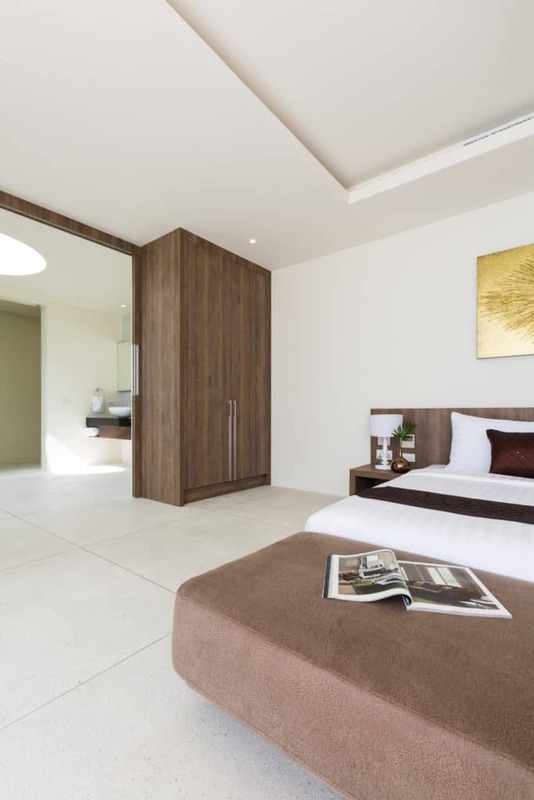 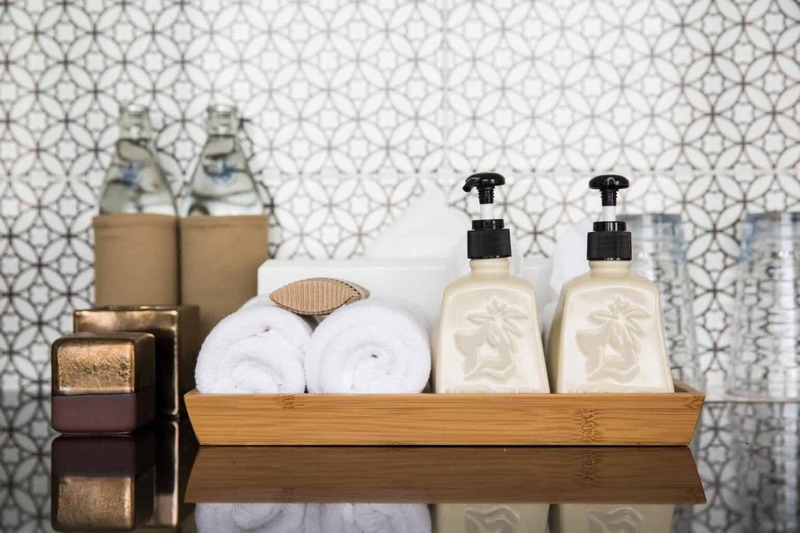 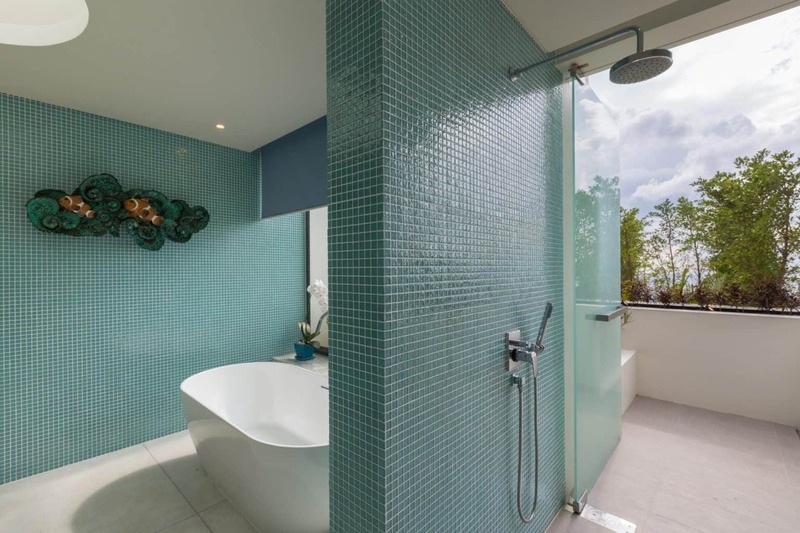 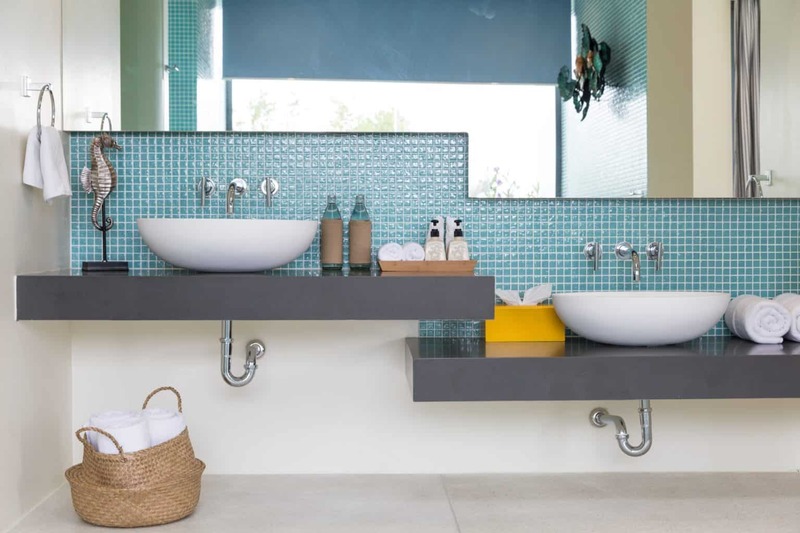 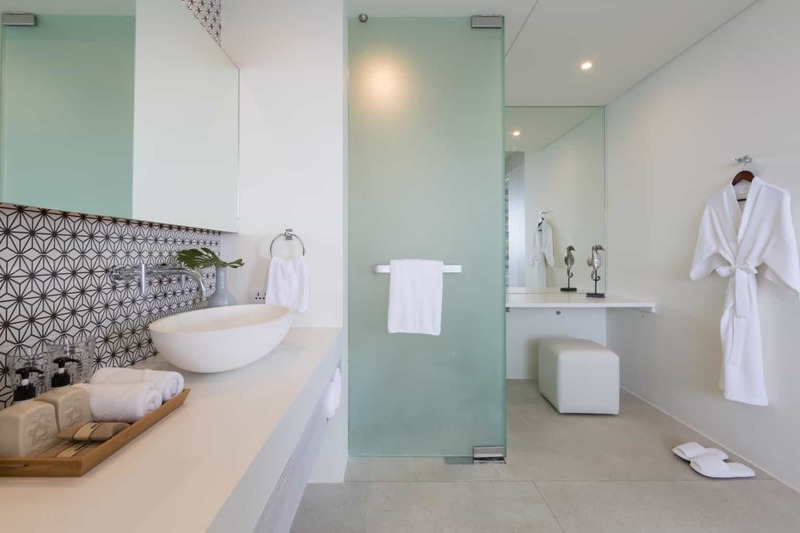 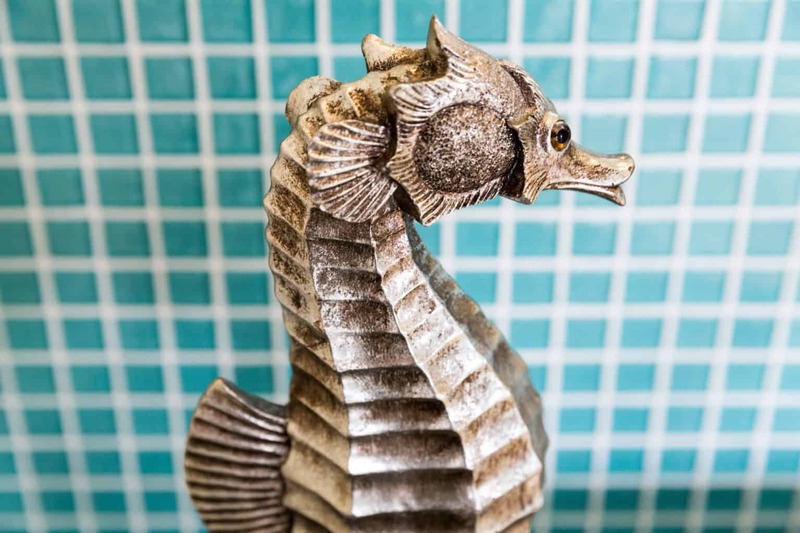 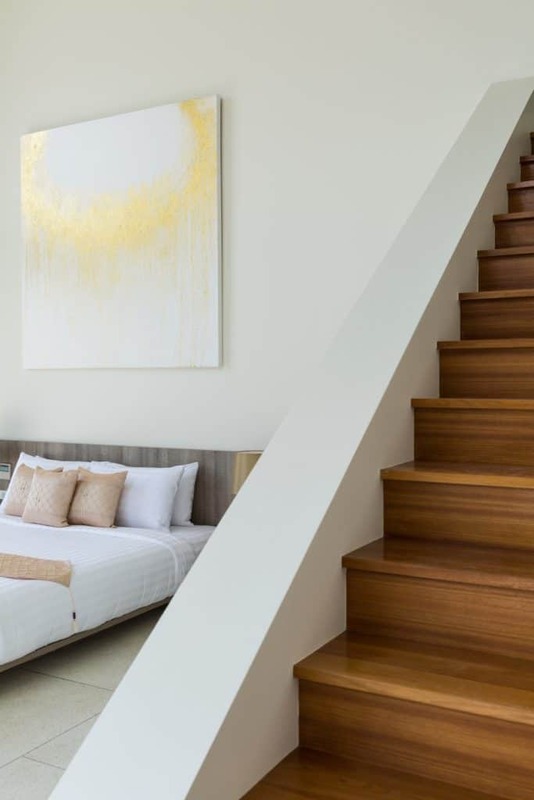 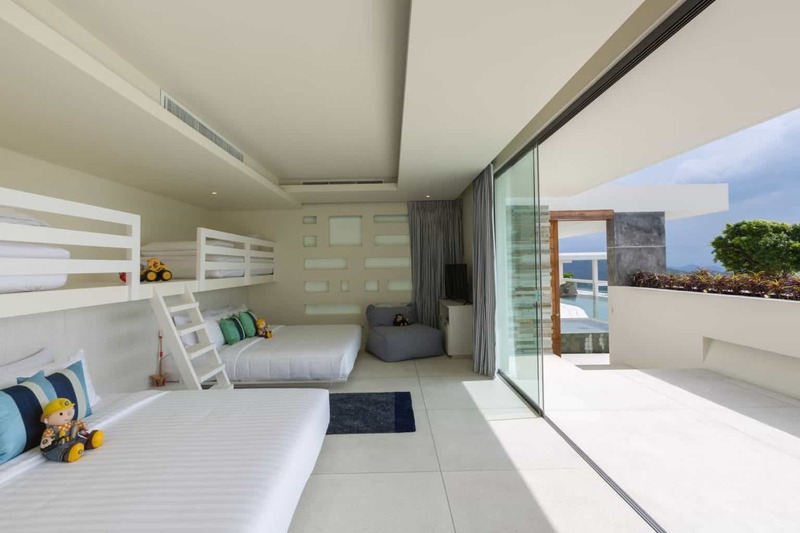 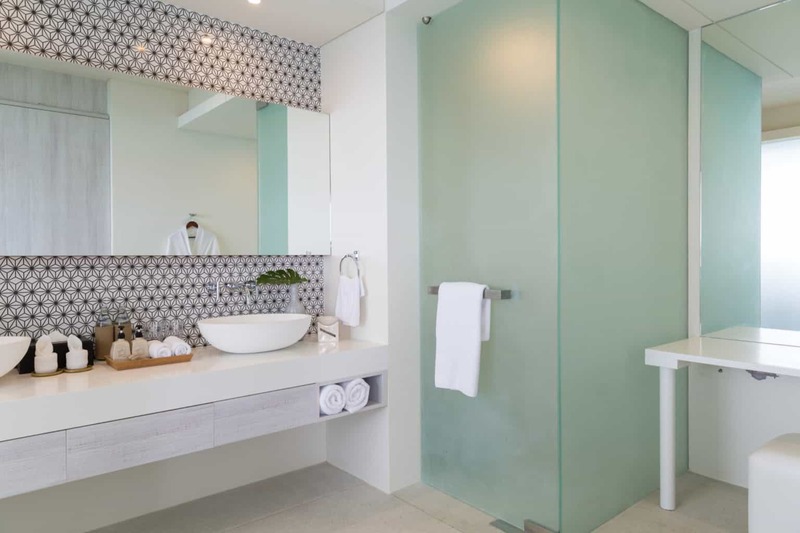 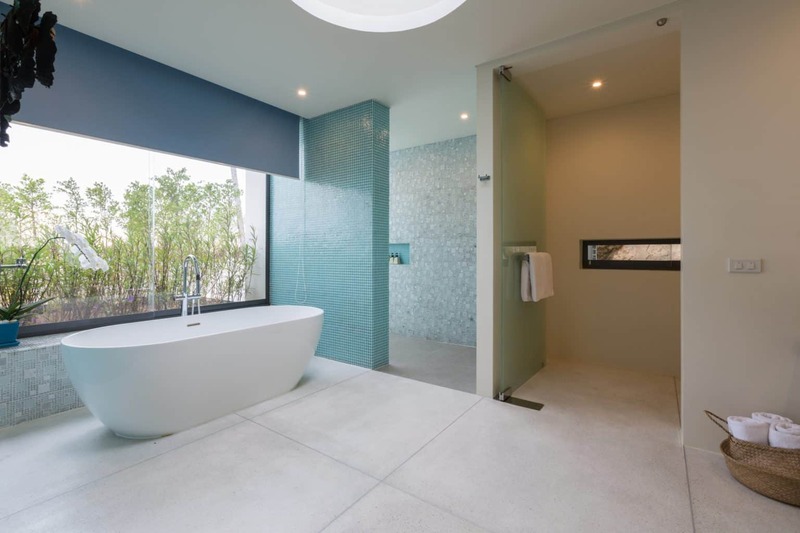 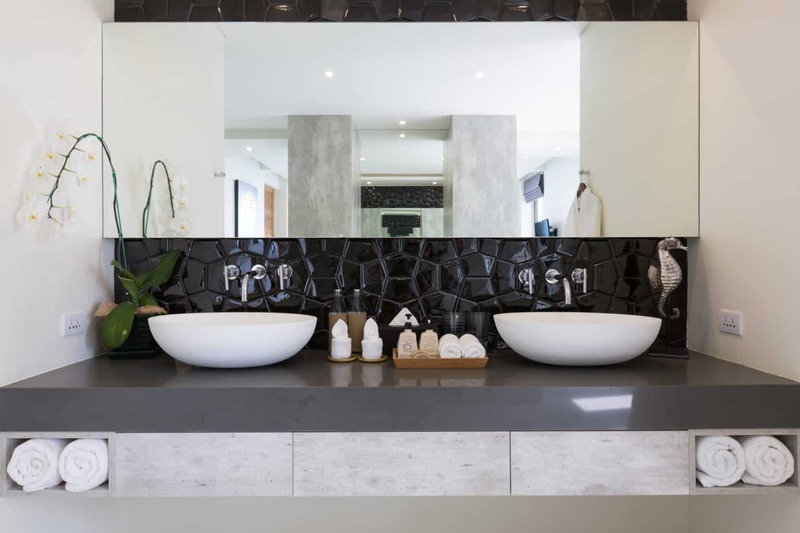 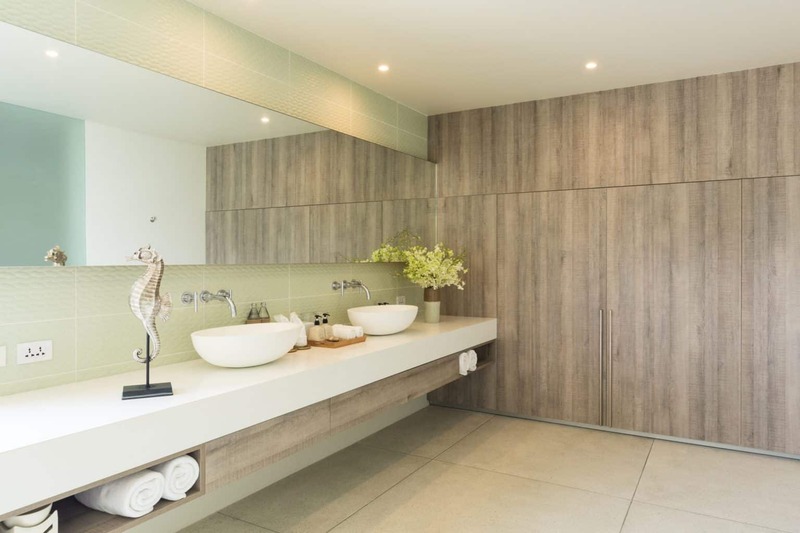 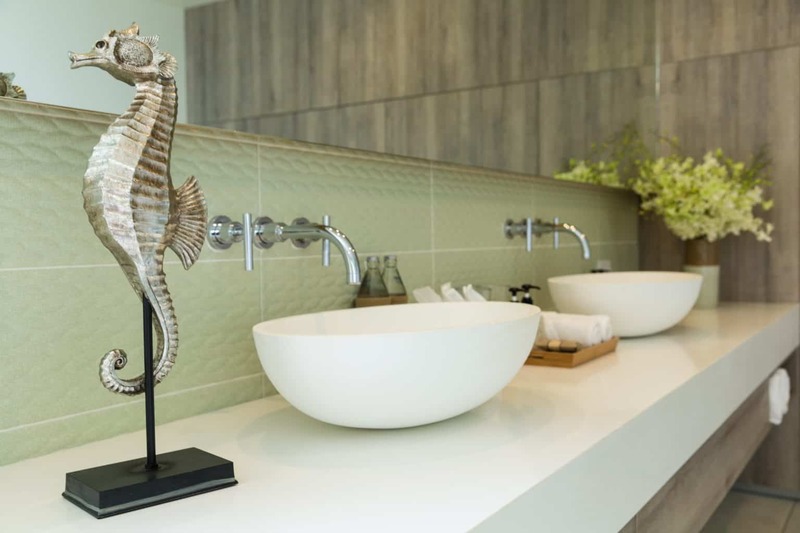 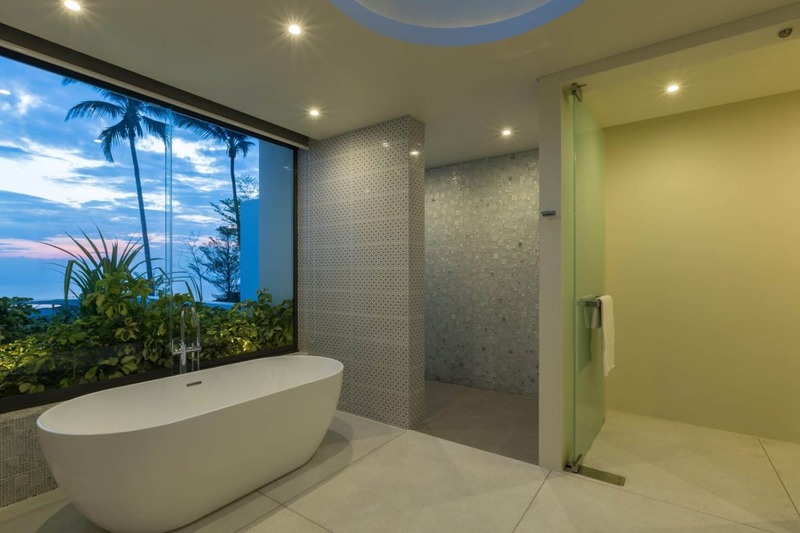 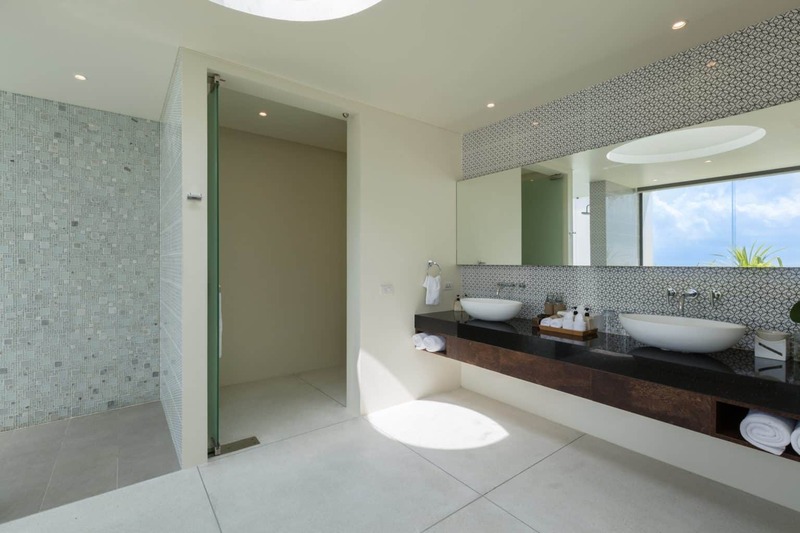 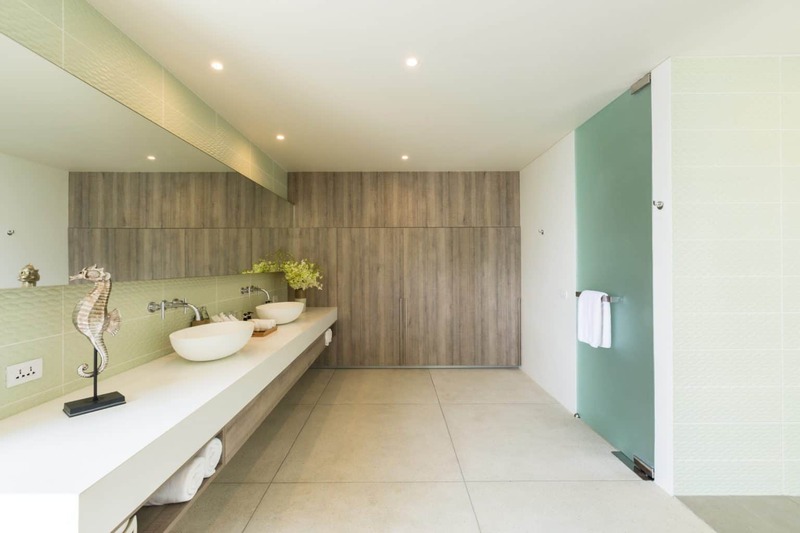 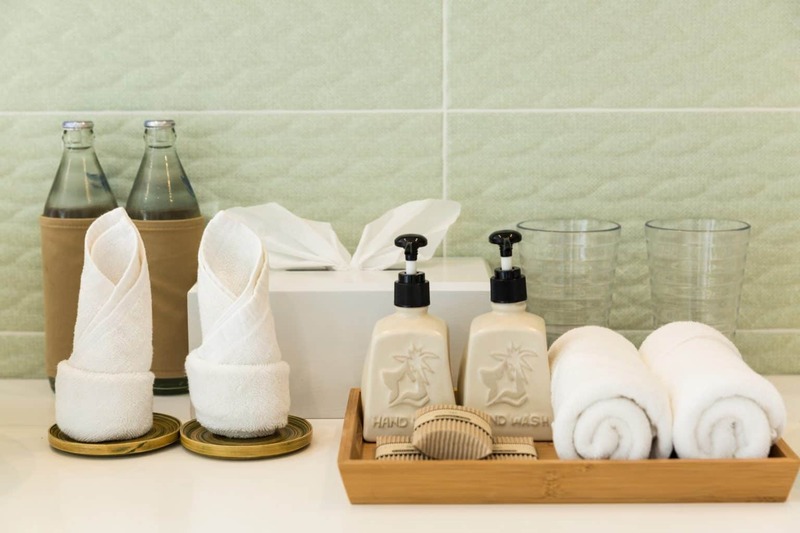 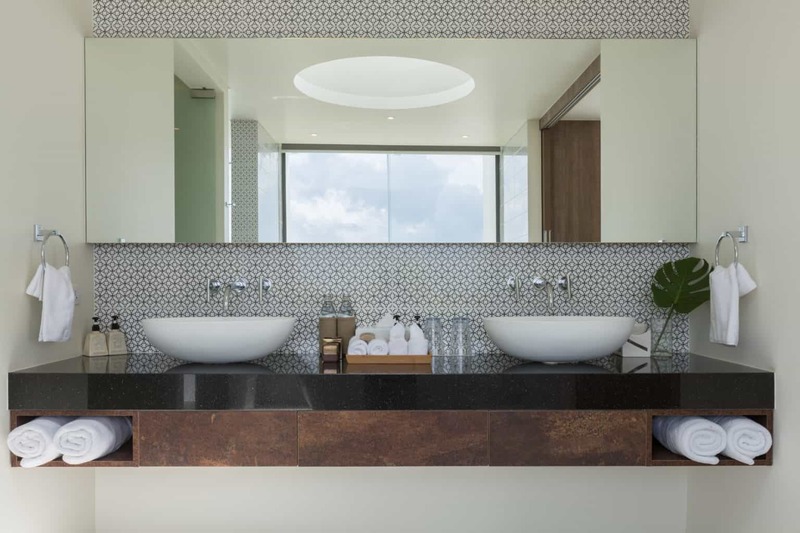 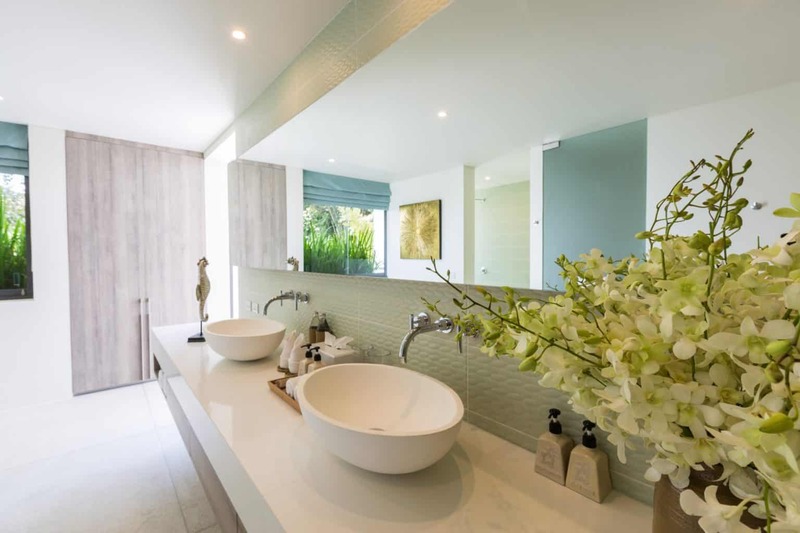 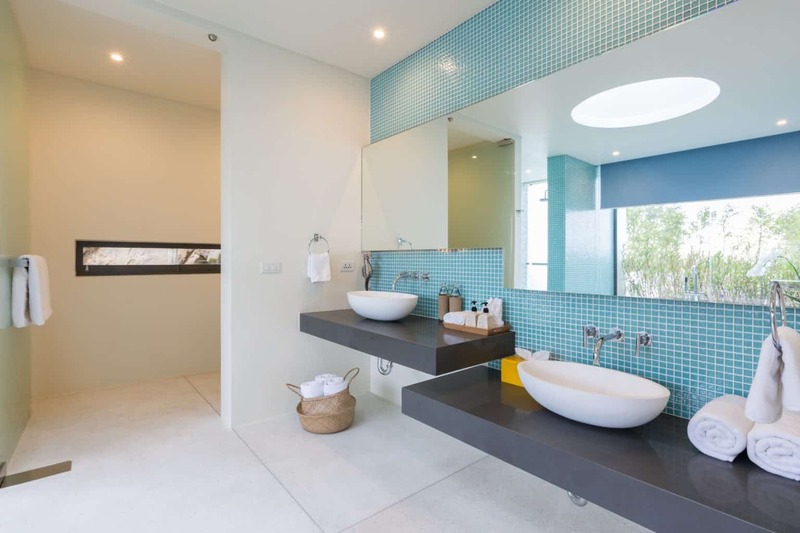 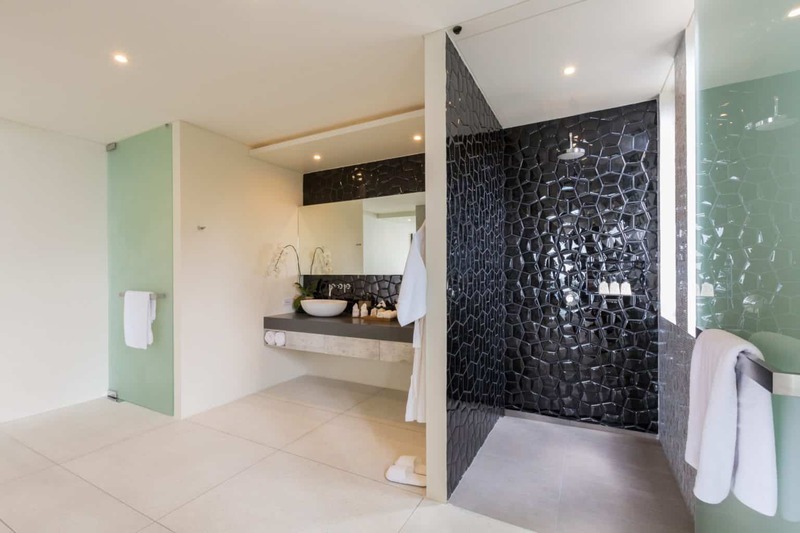 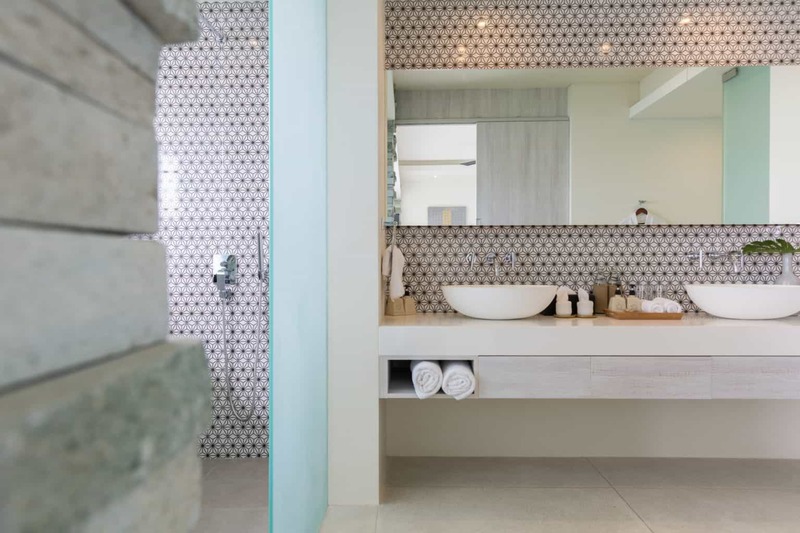 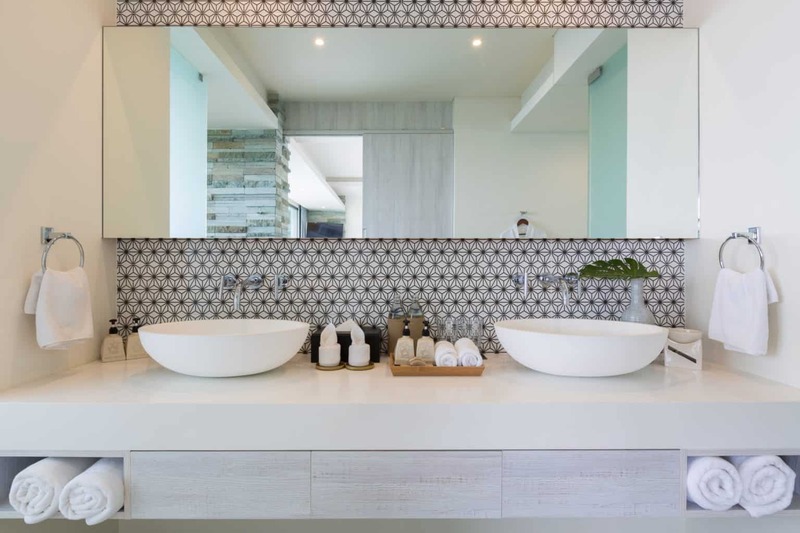 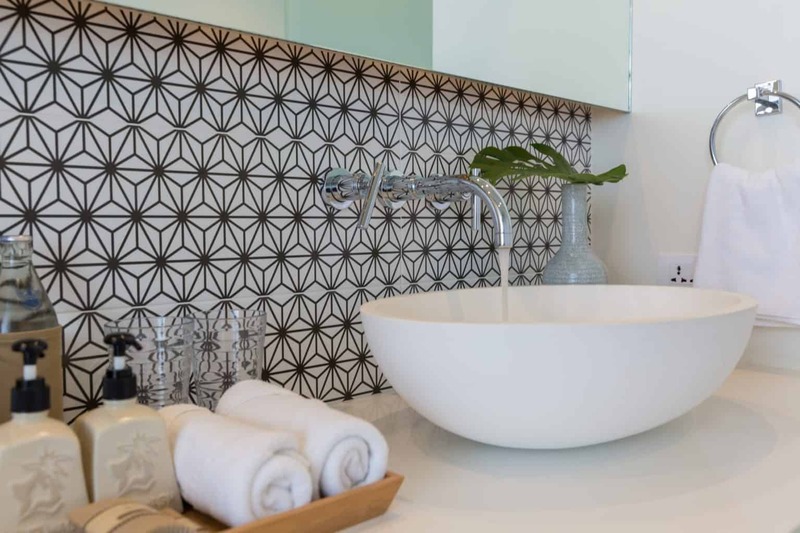 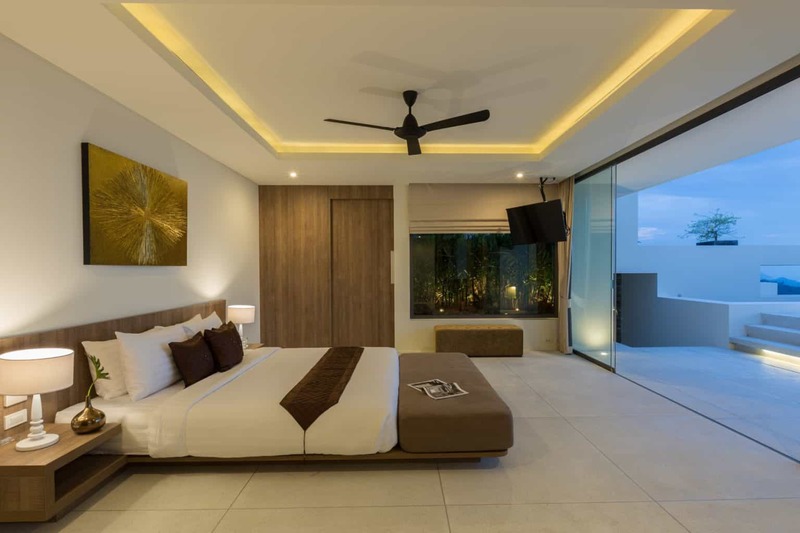 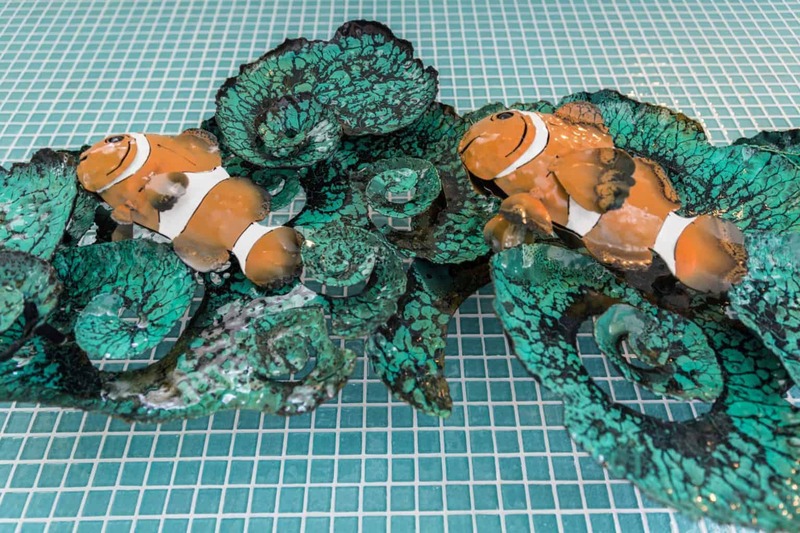 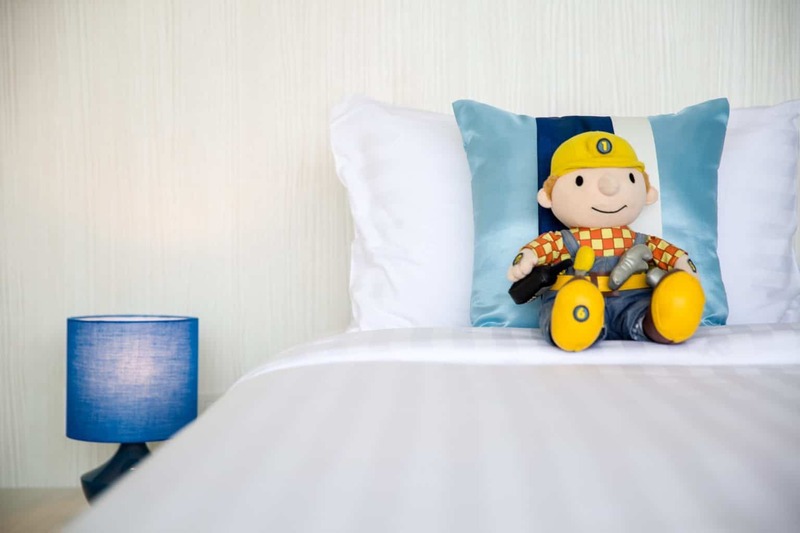 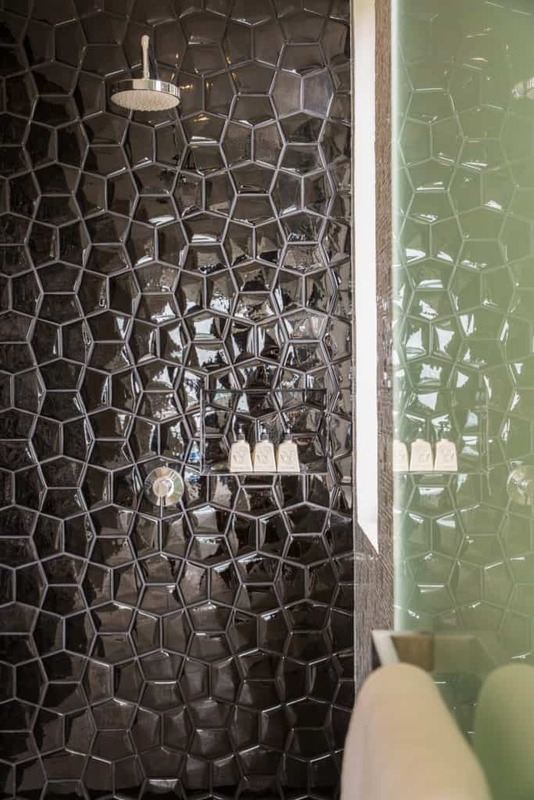 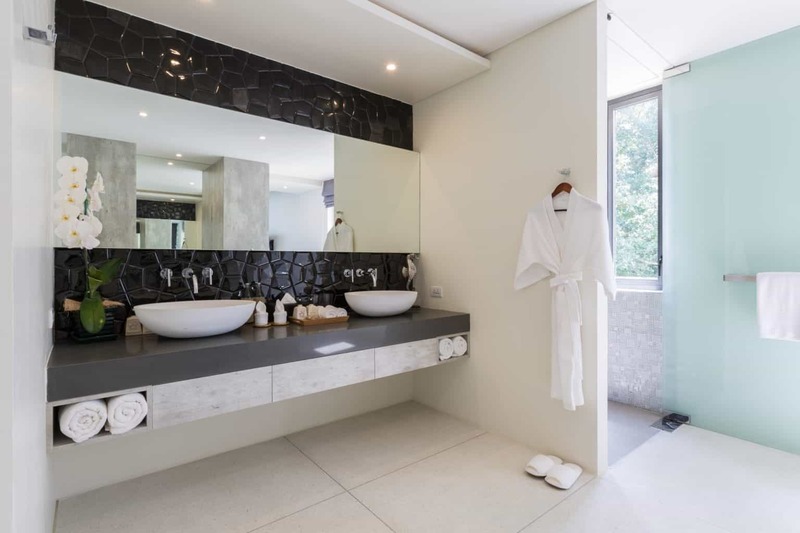 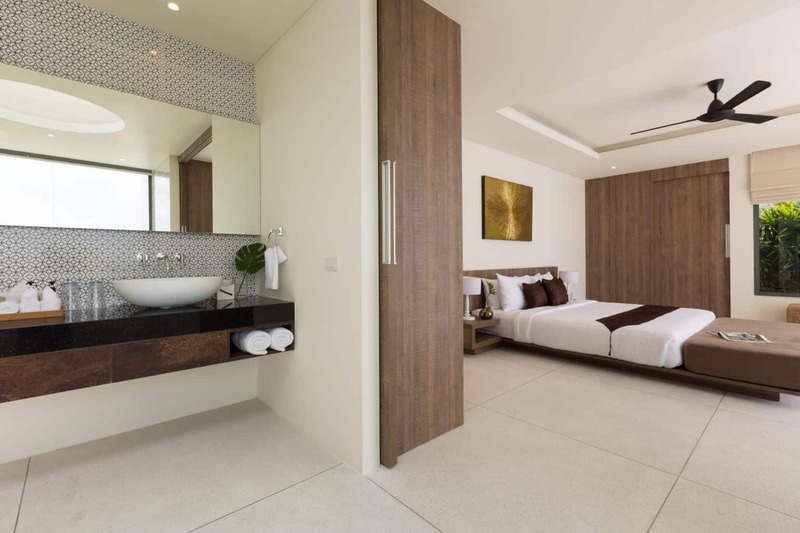 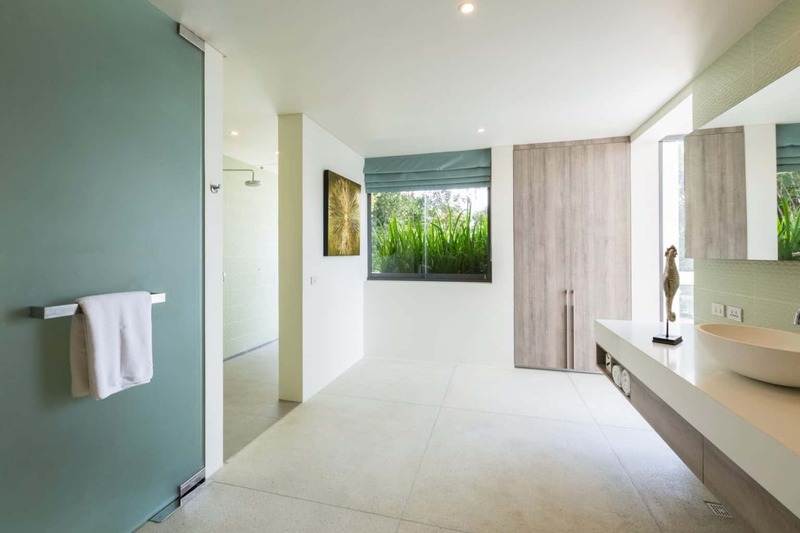 The room also connects to a custom designed children’s bathroom with special height washbasins, a tub and a shower, as well as its own walled outdoor terrace. 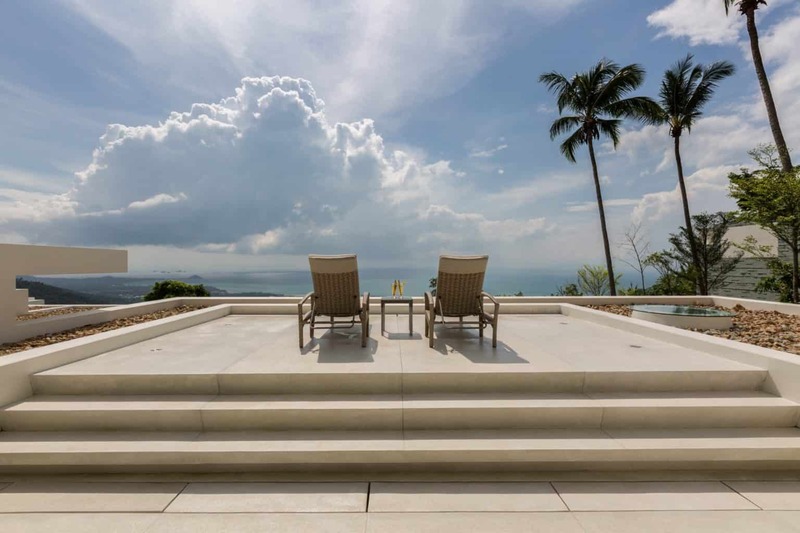 Outside on the lower level, a generous “Infinity Lawn” offers the perfect spot to relax and take in the views or could easily be transformed into a dream location for a memorable wedding ceremony. 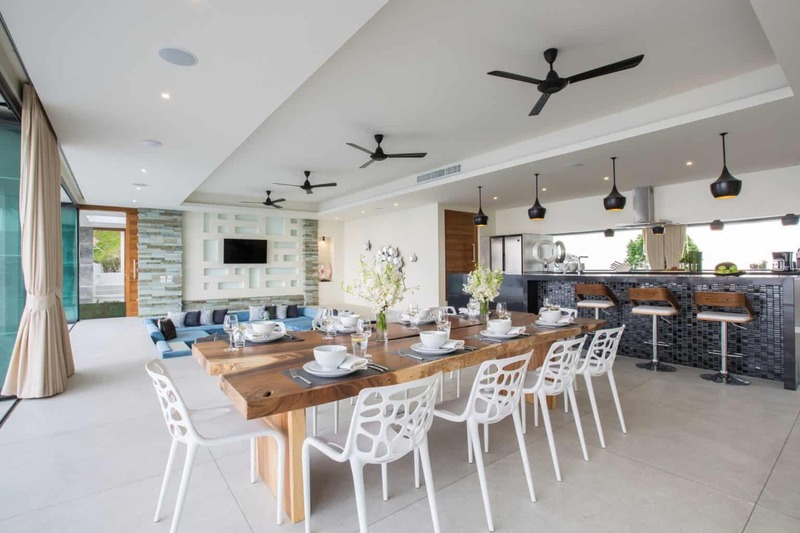 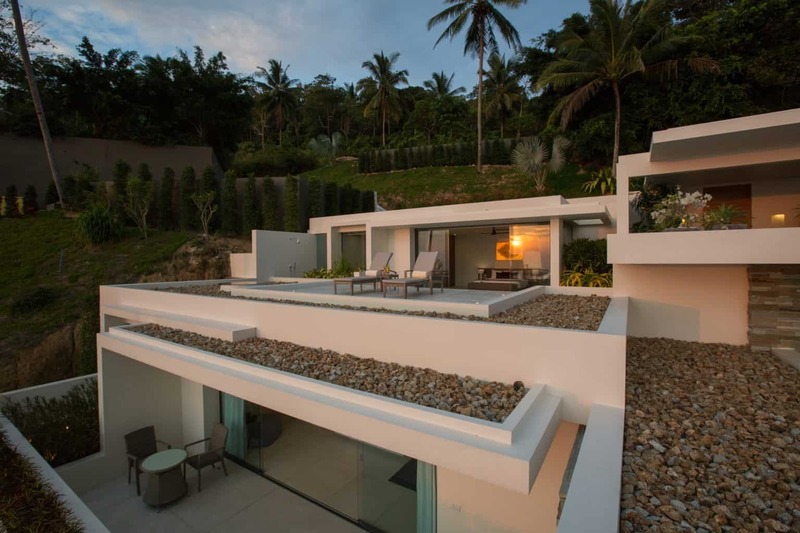 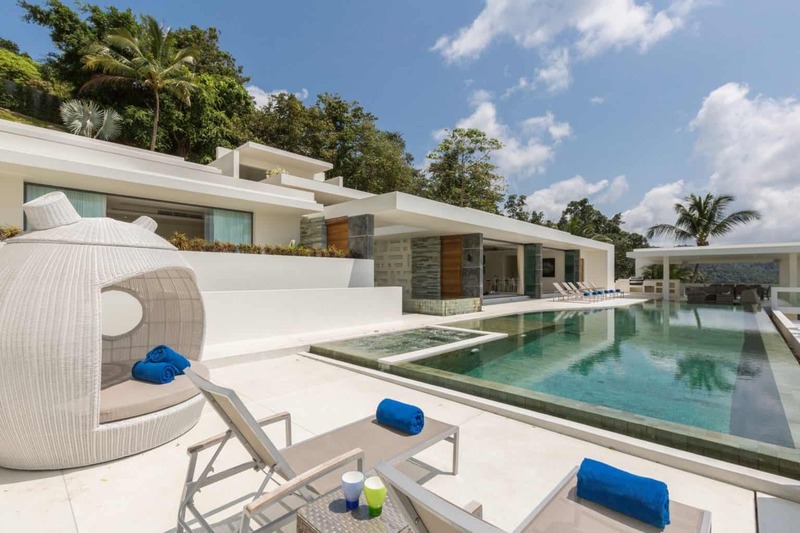 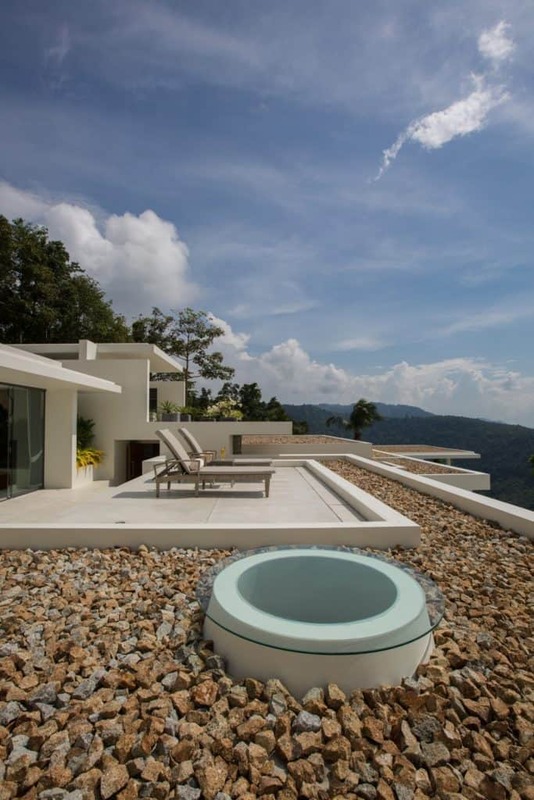 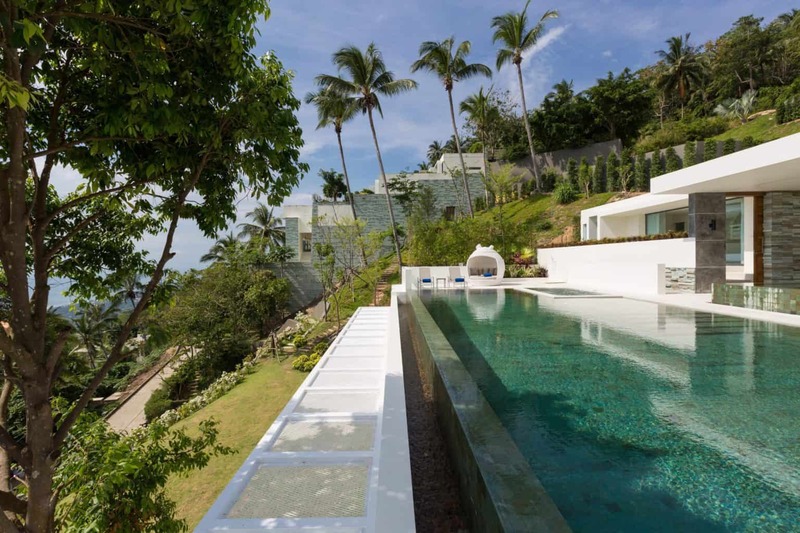 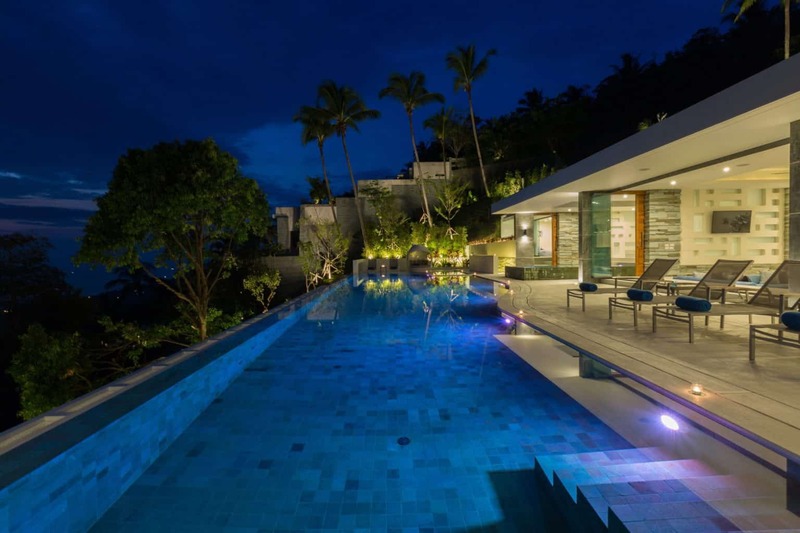 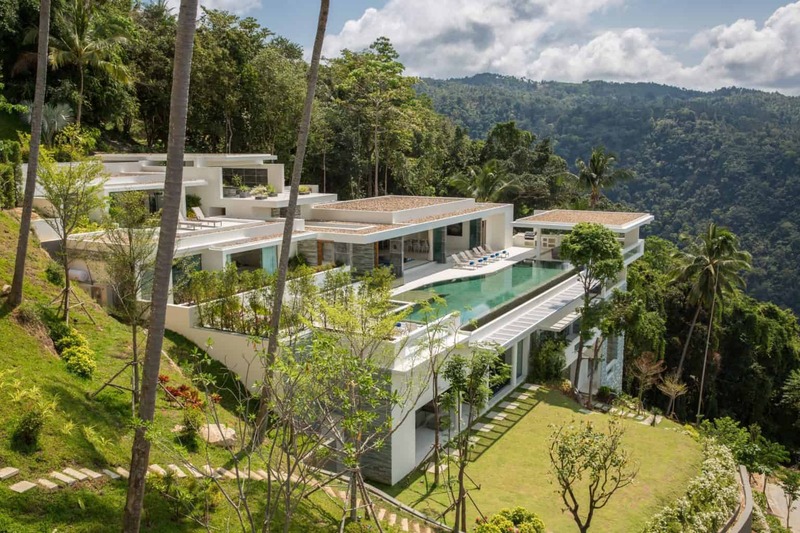 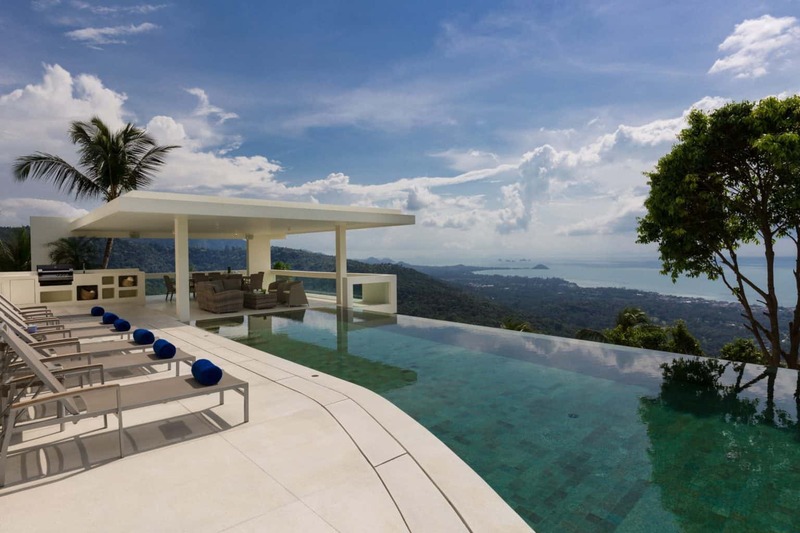 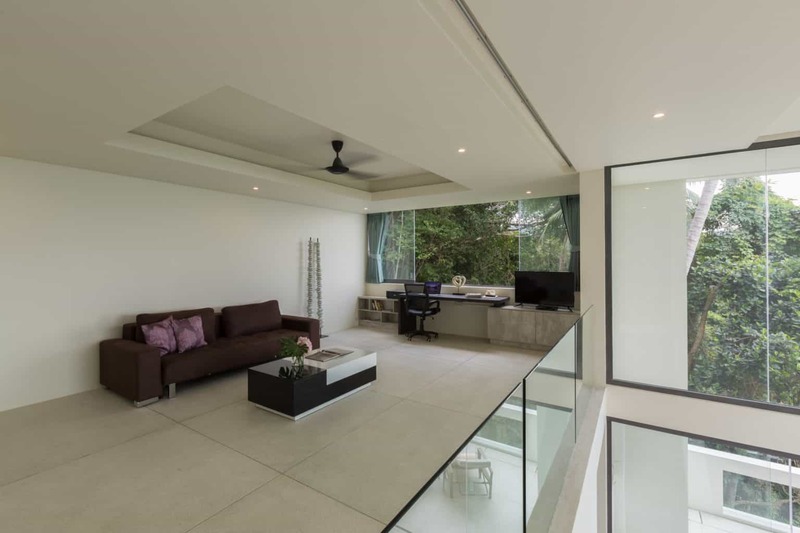 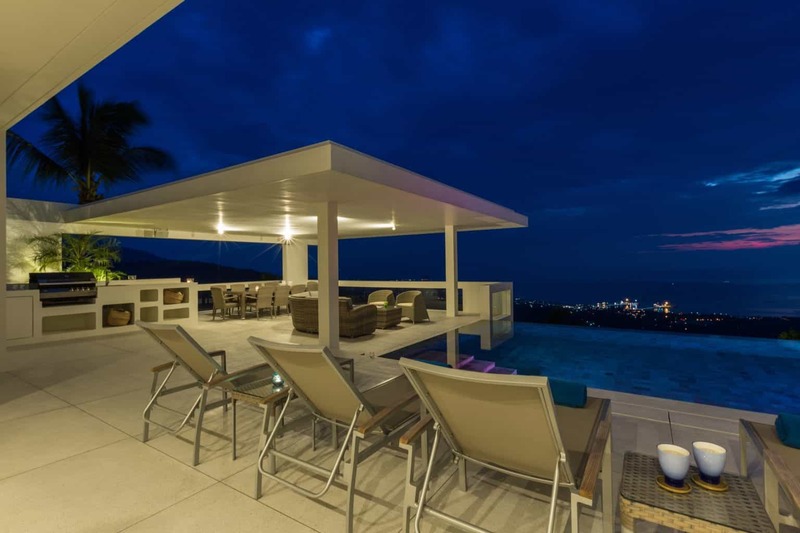 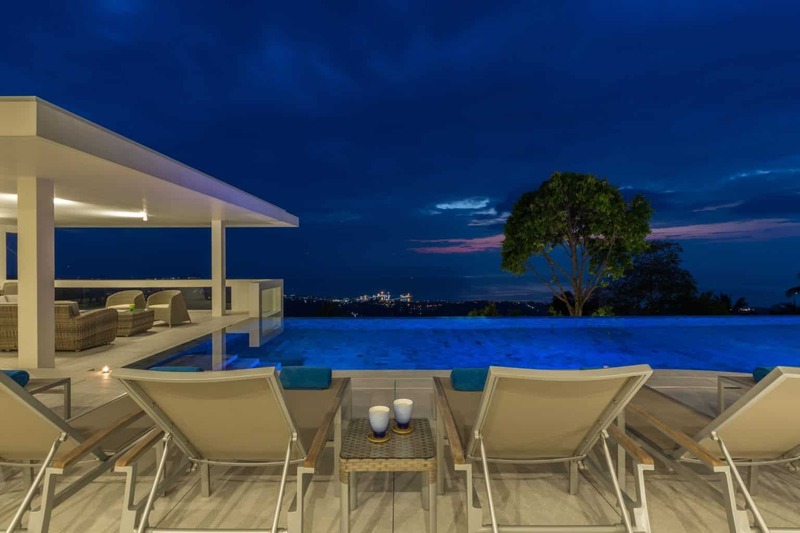 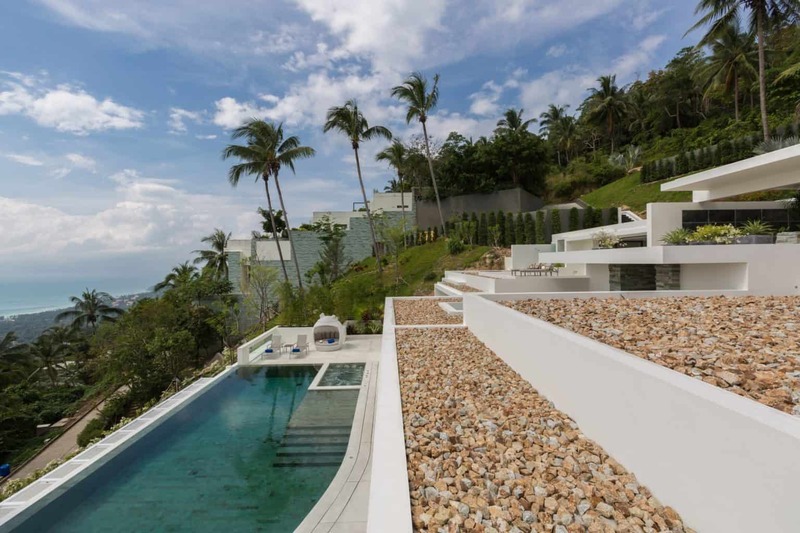 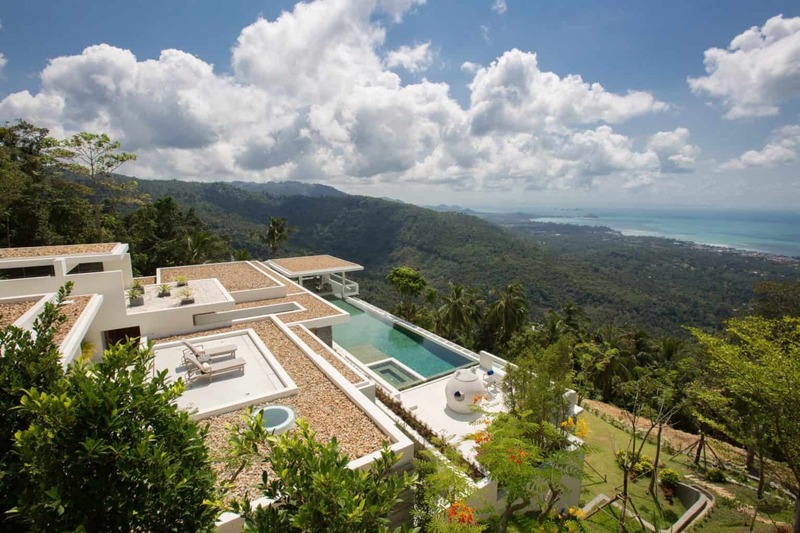 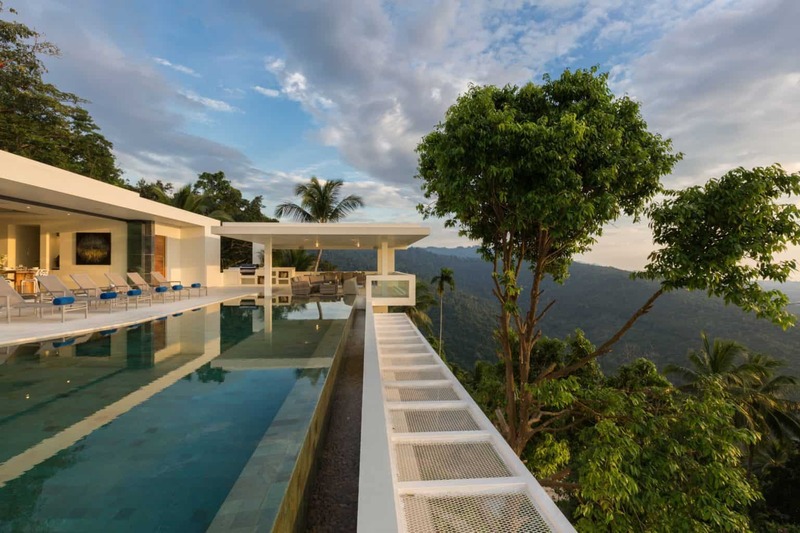 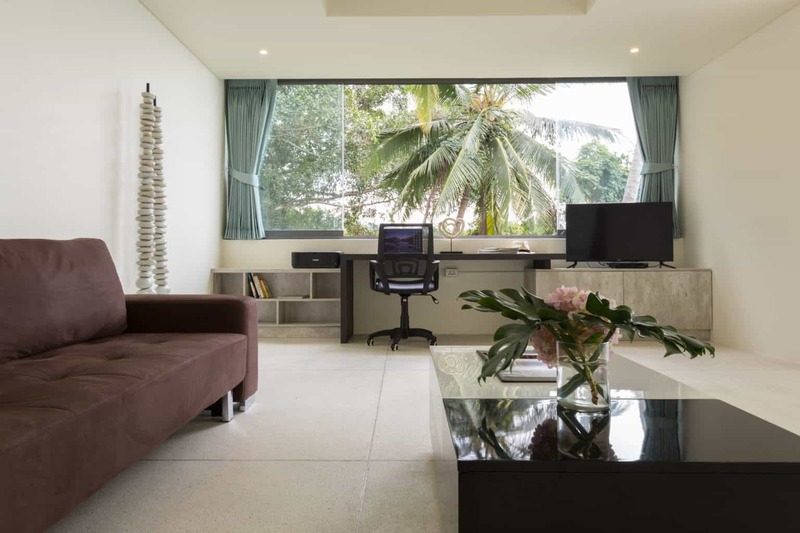 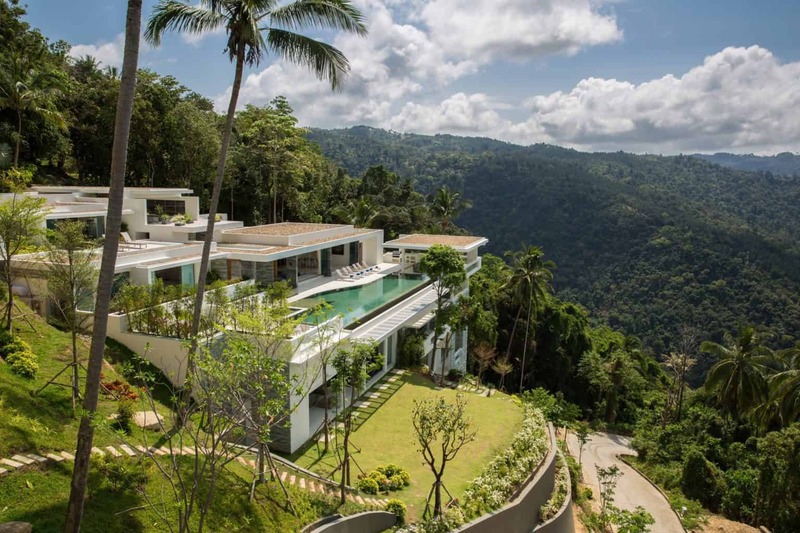 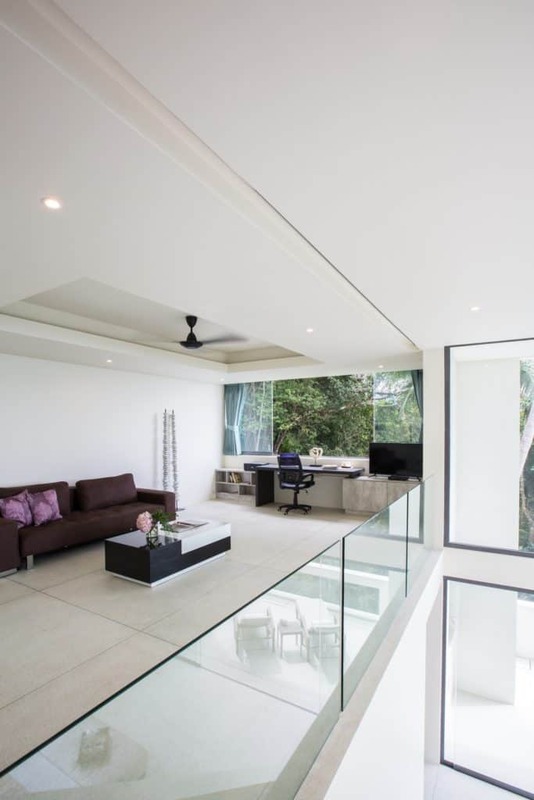 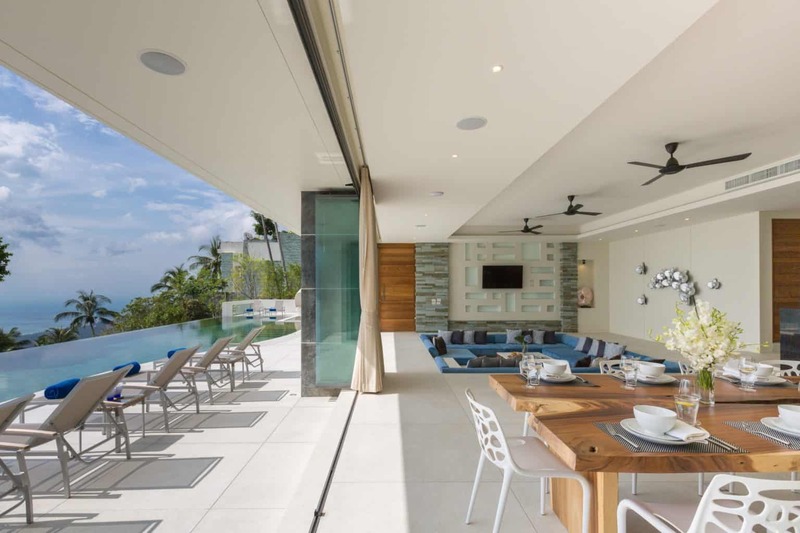 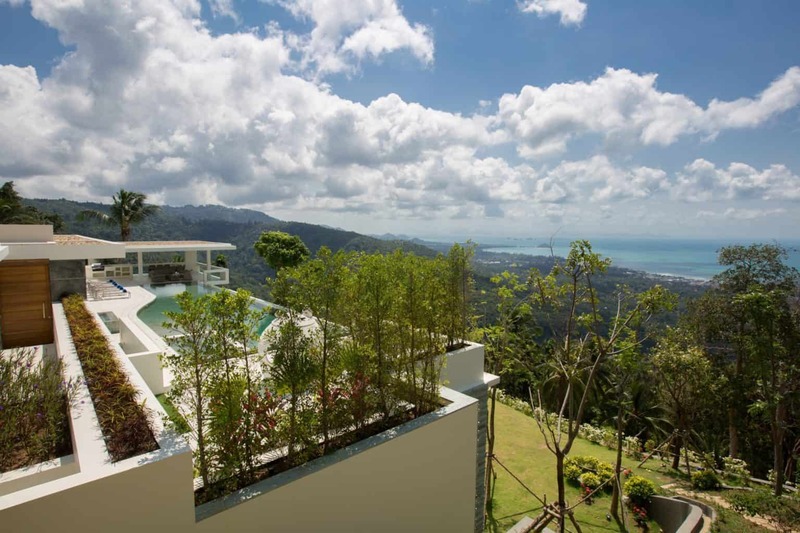 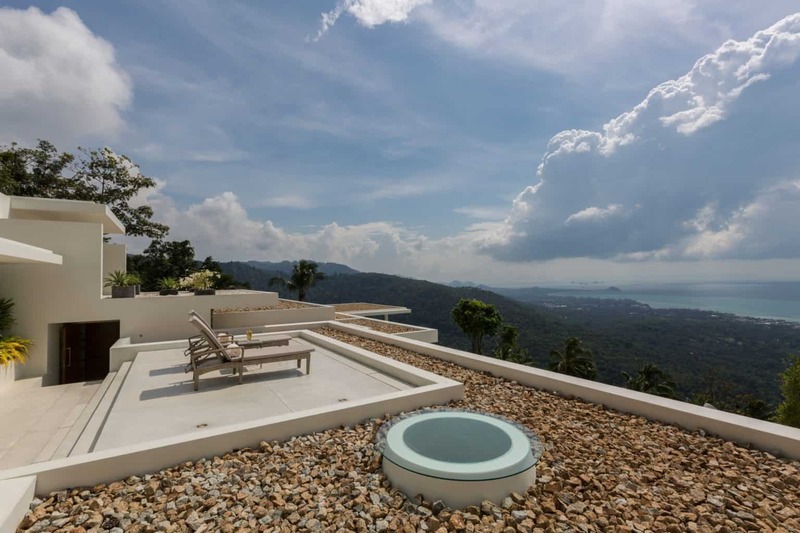 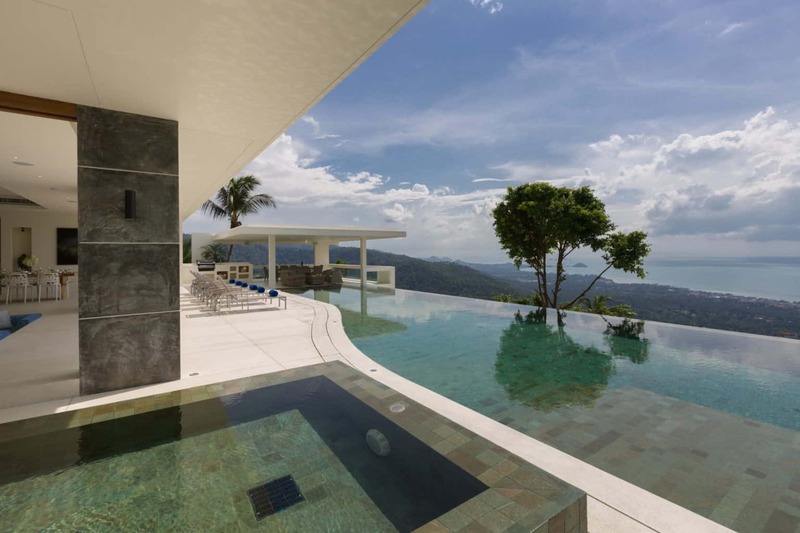 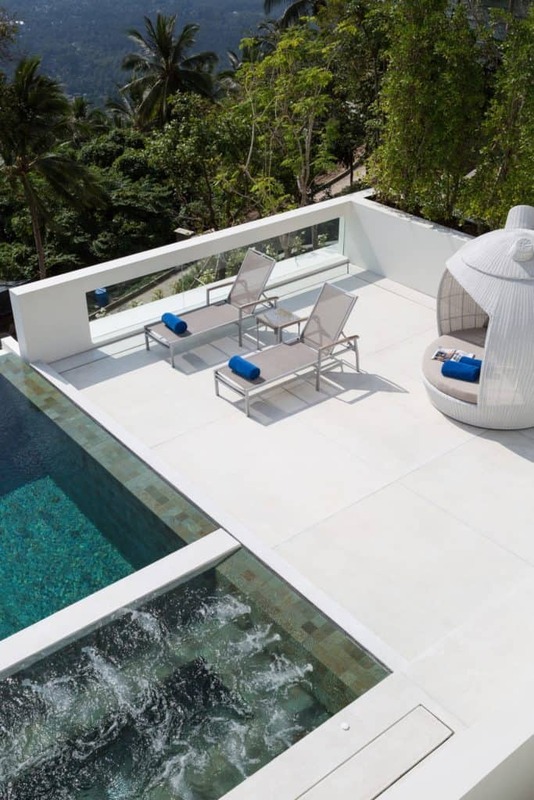 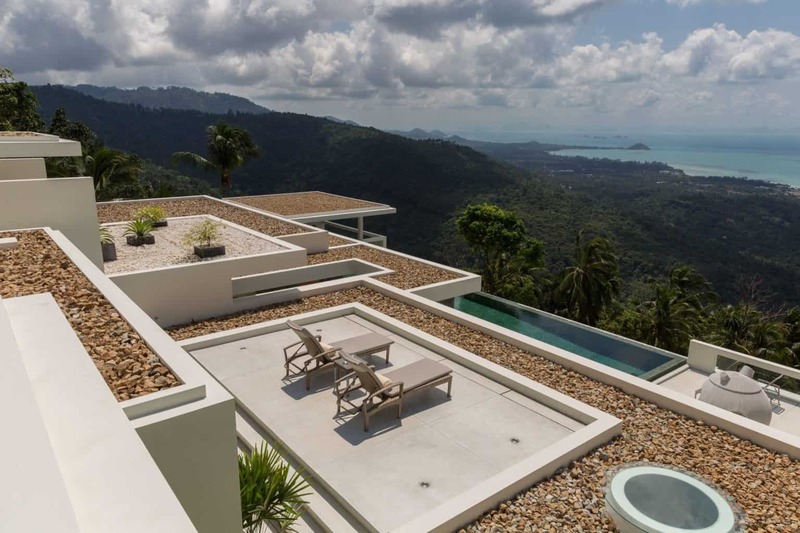 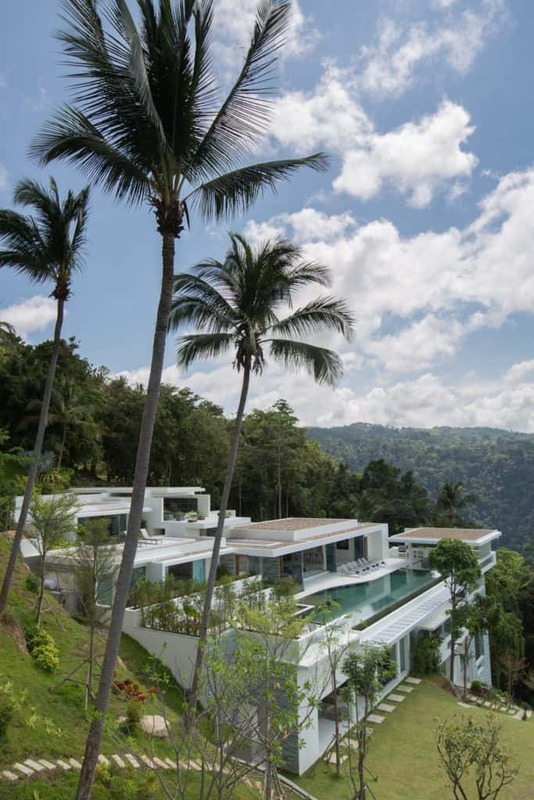 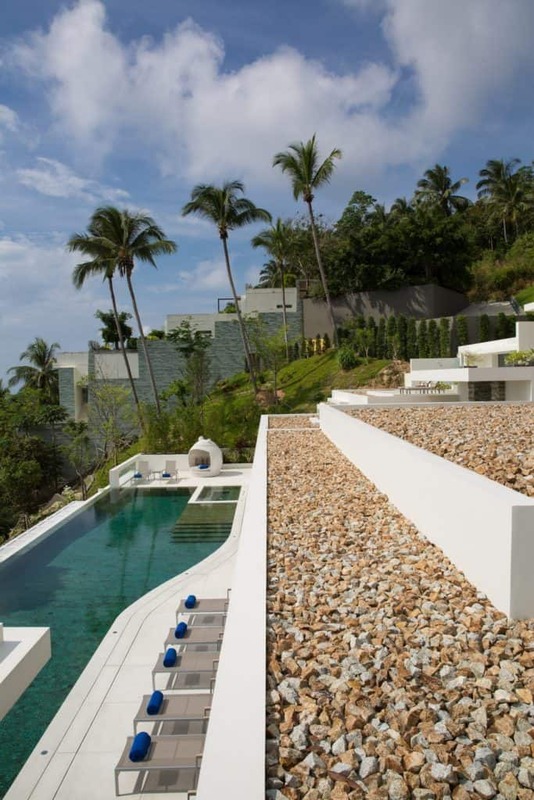 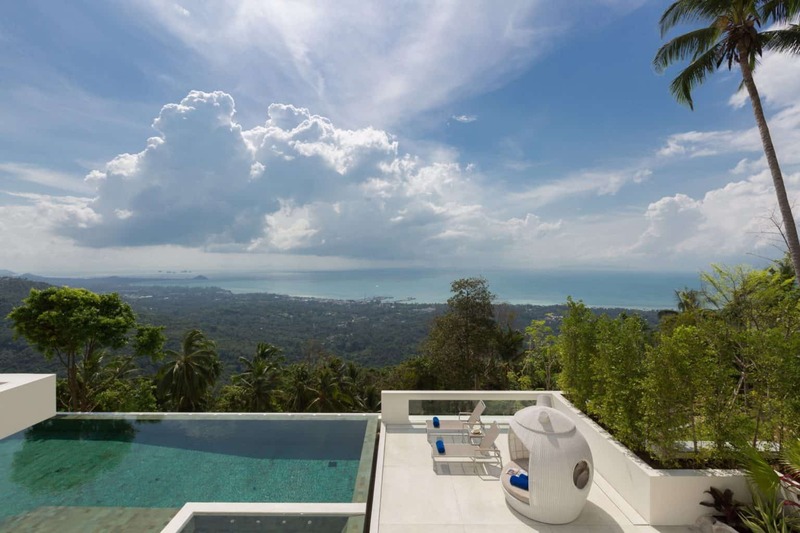 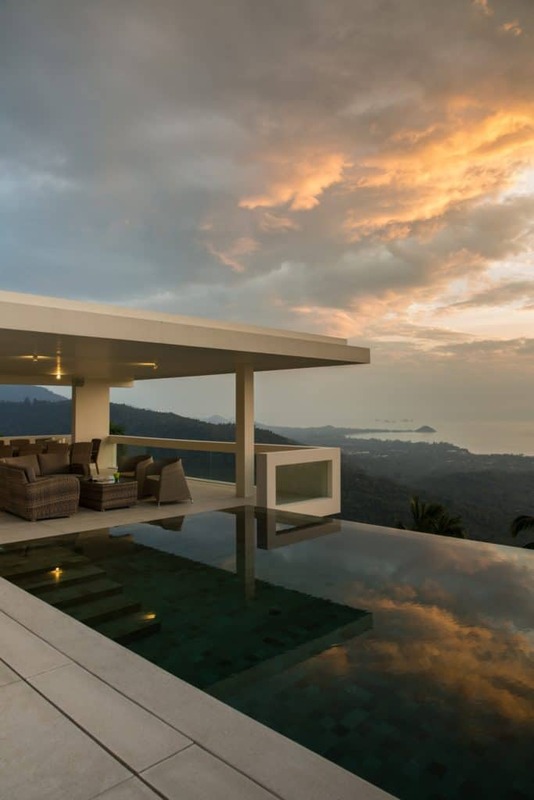 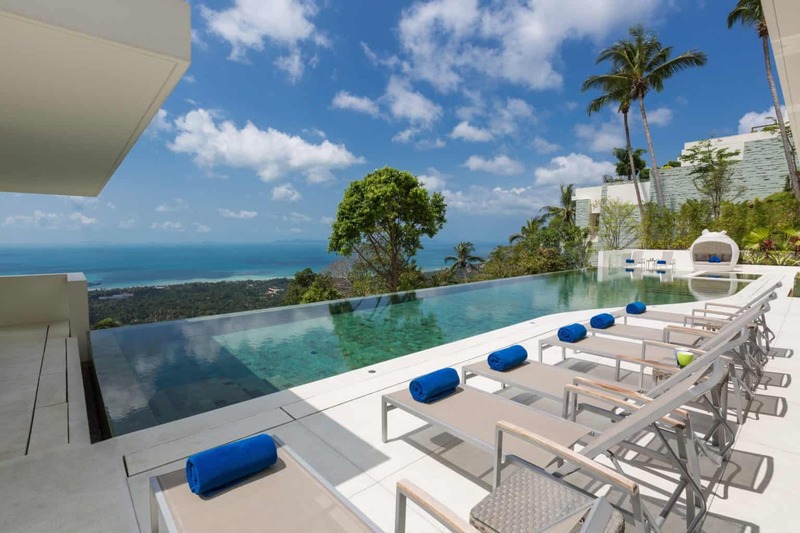 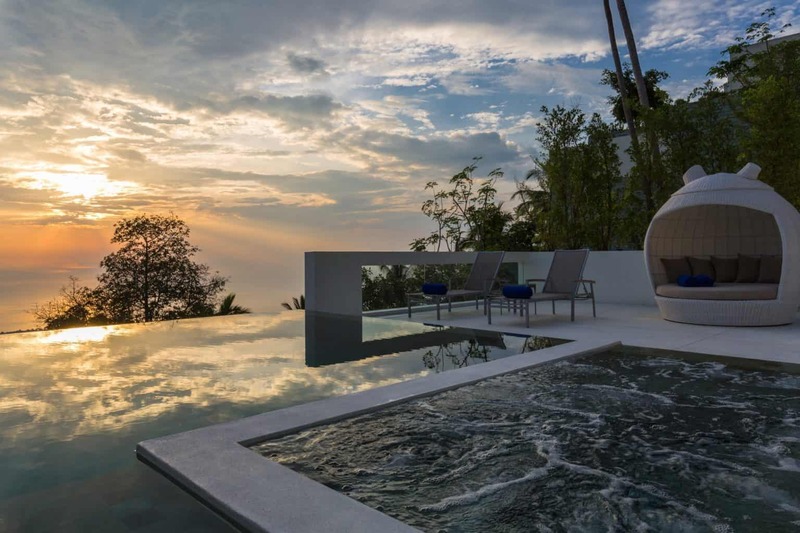 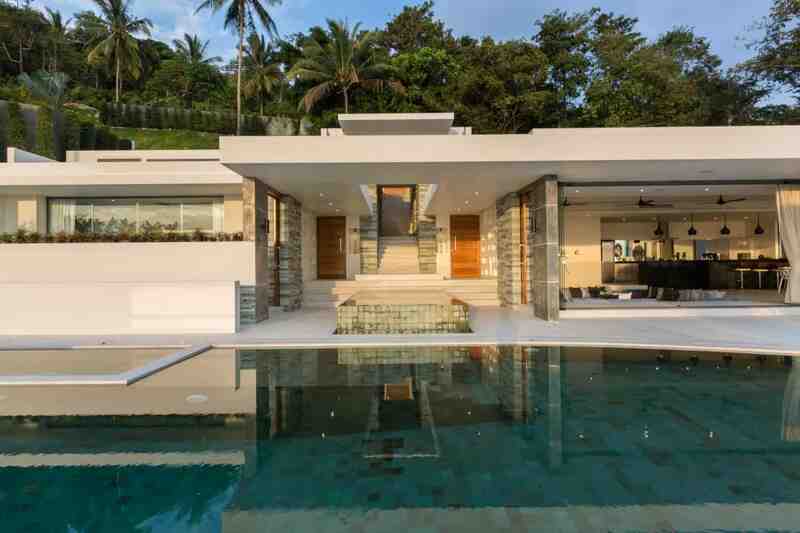 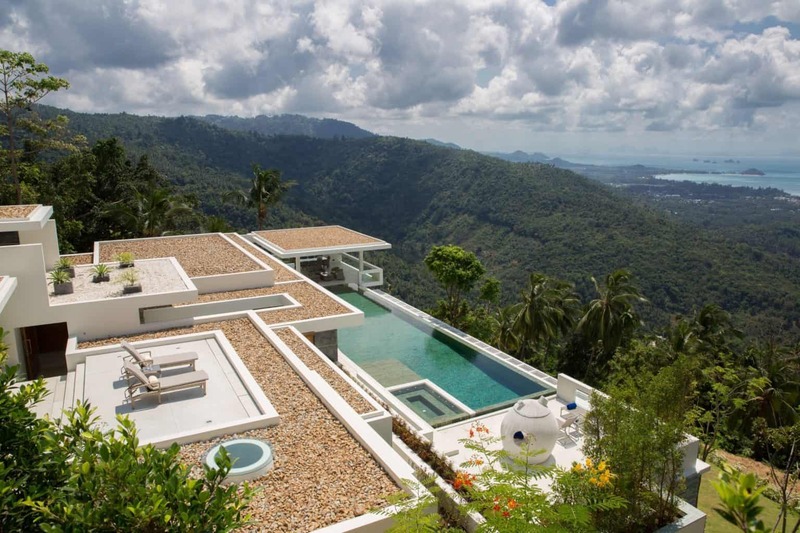 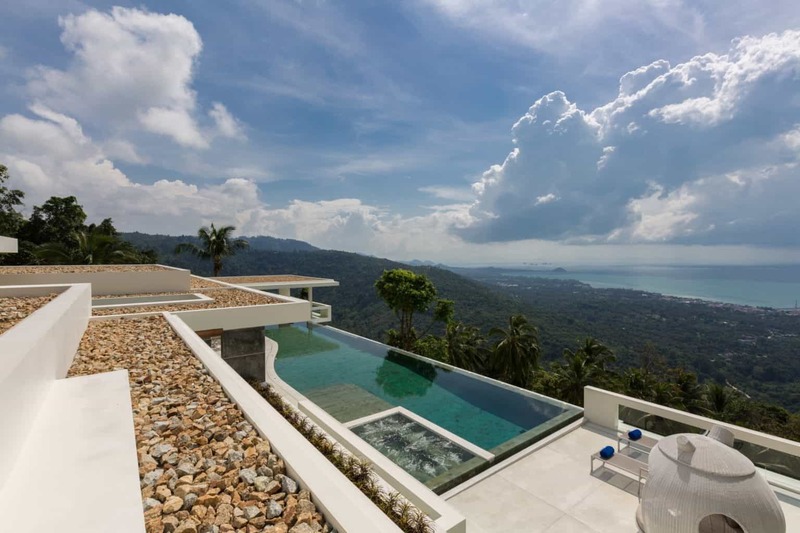 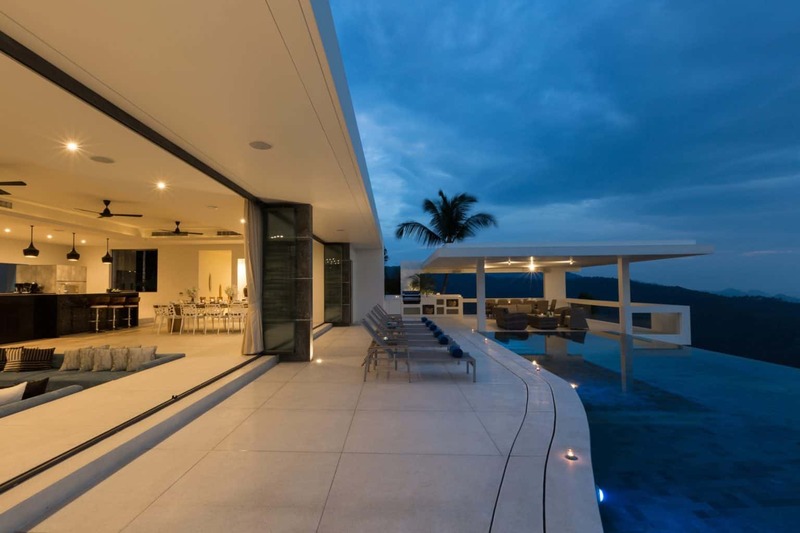 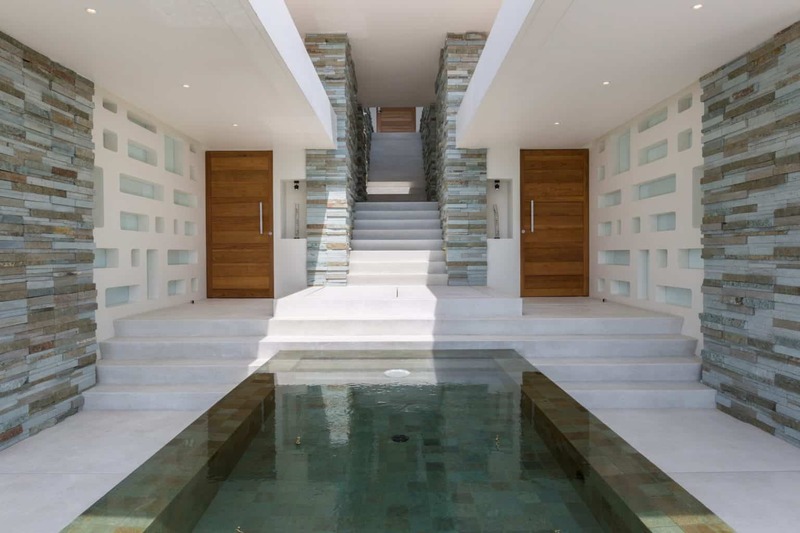 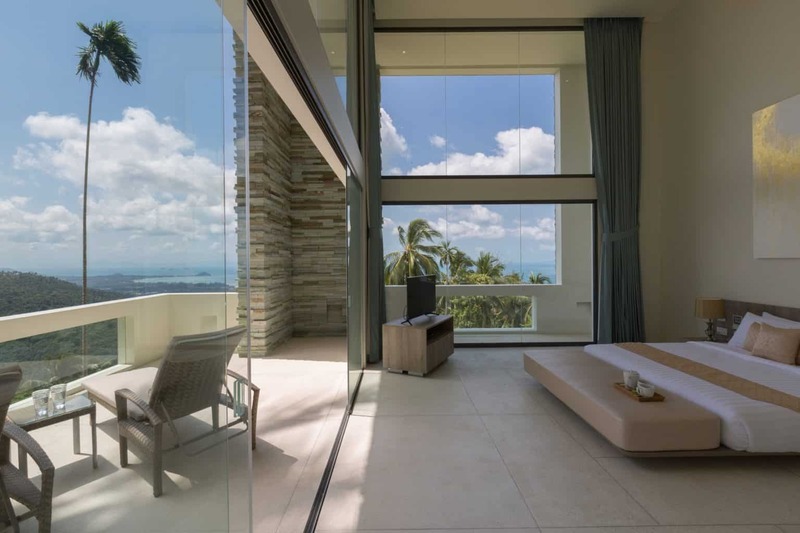 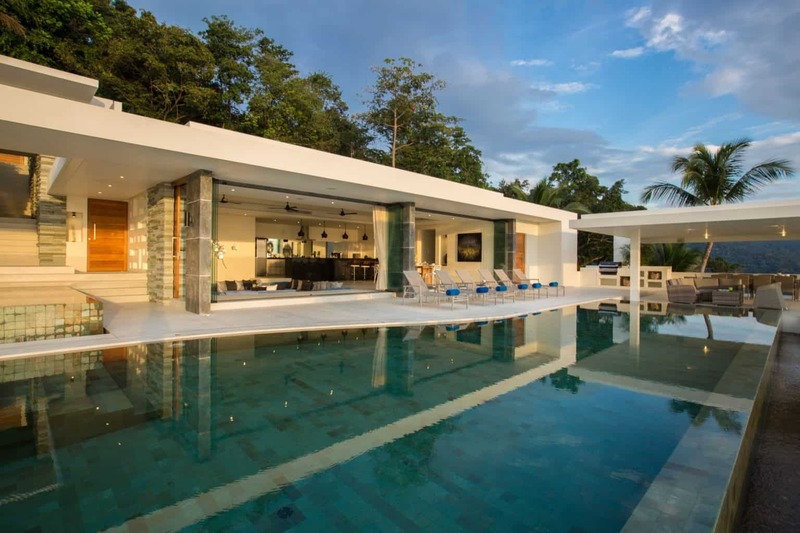 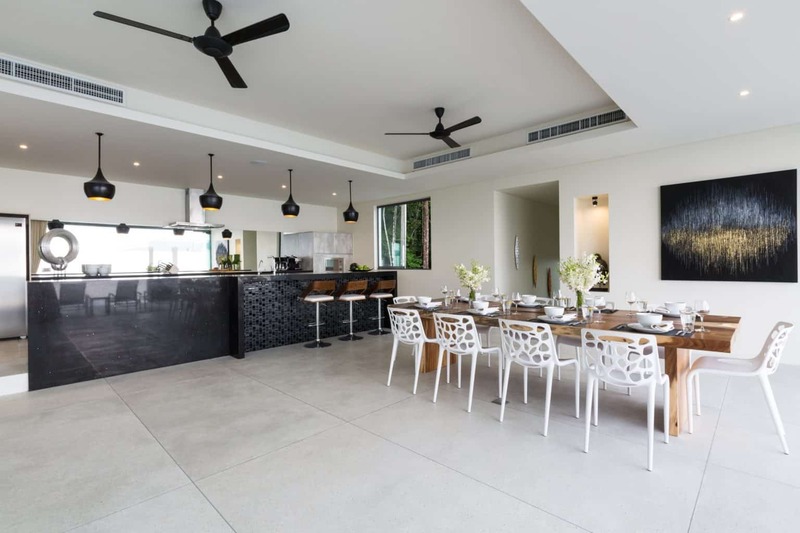 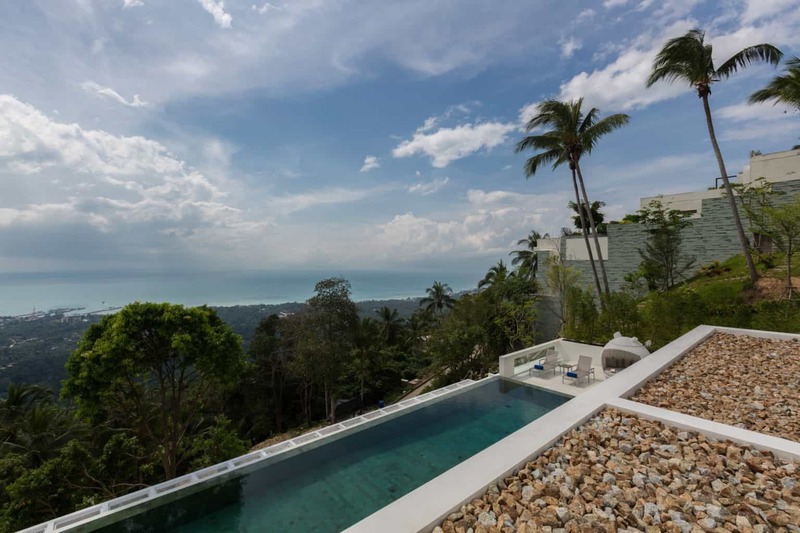 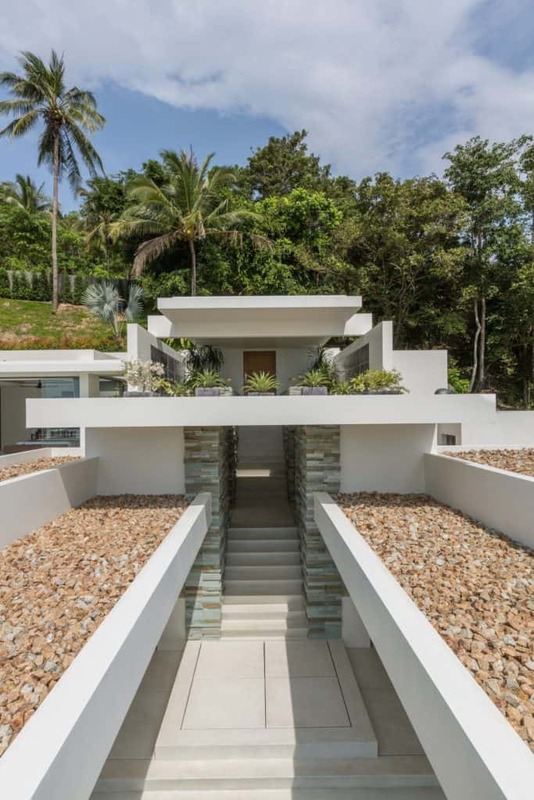 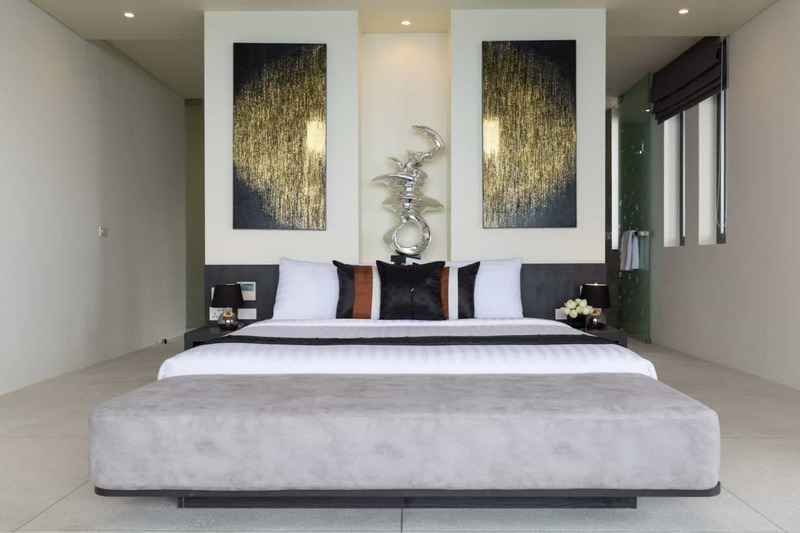 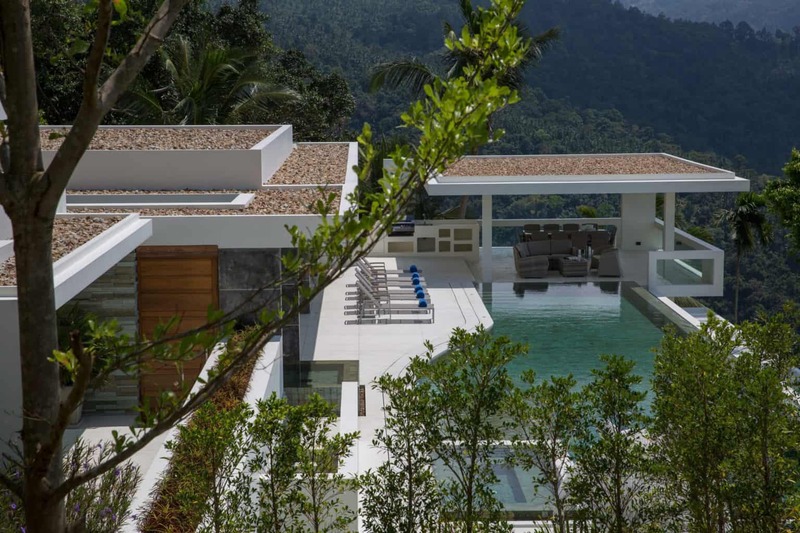 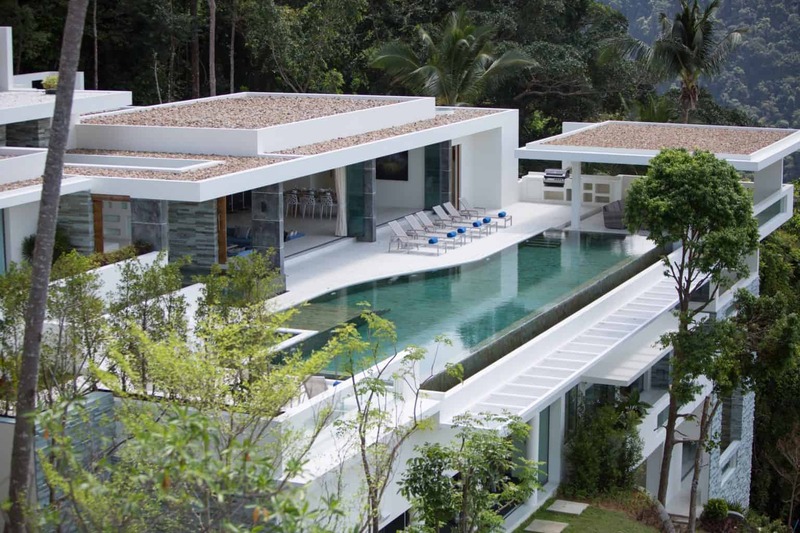 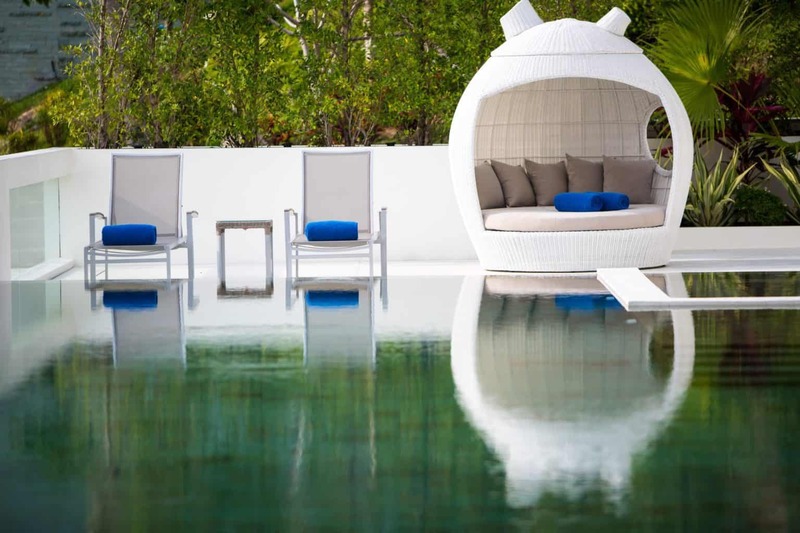 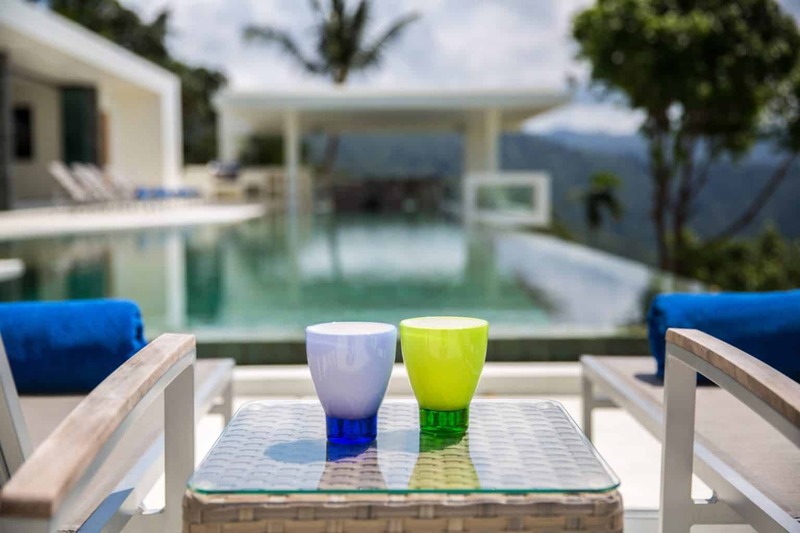 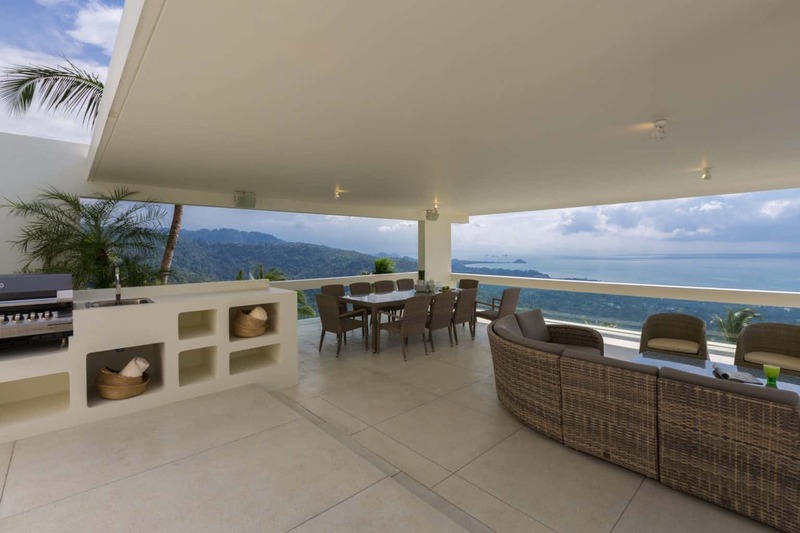 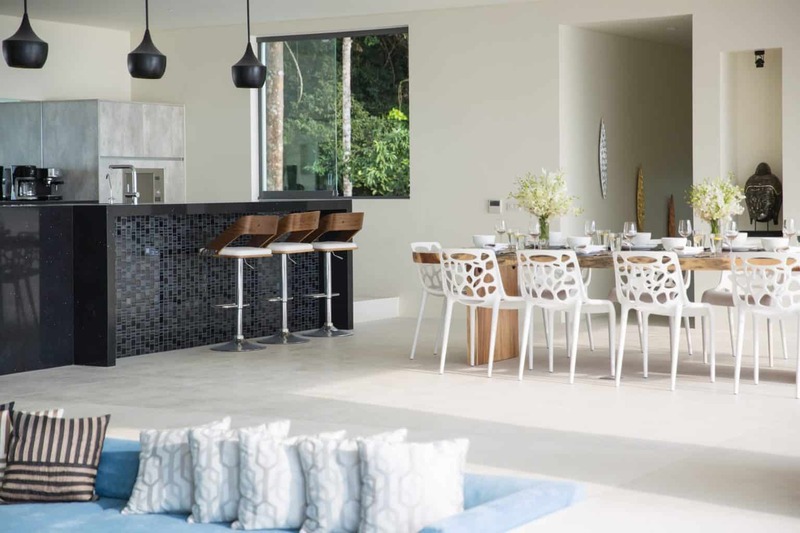 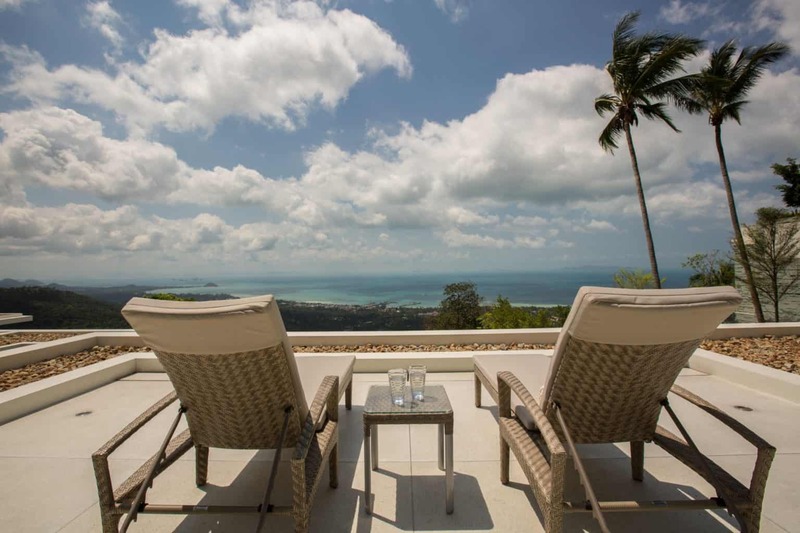 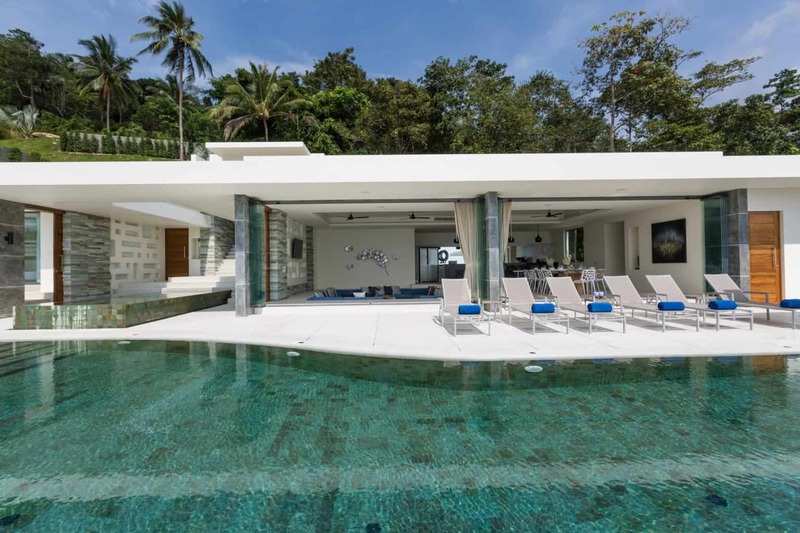 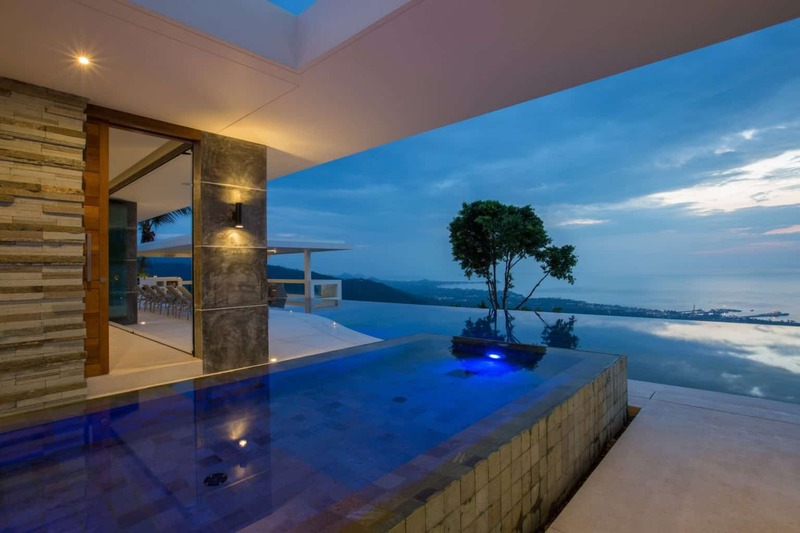 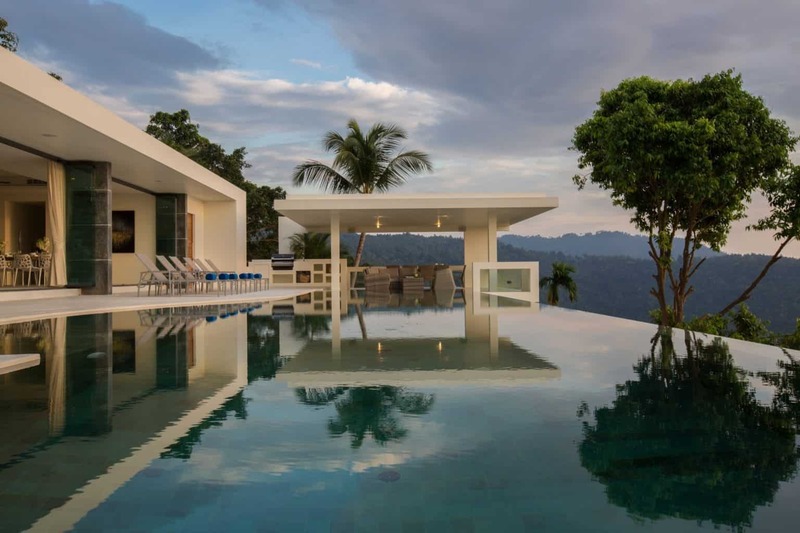 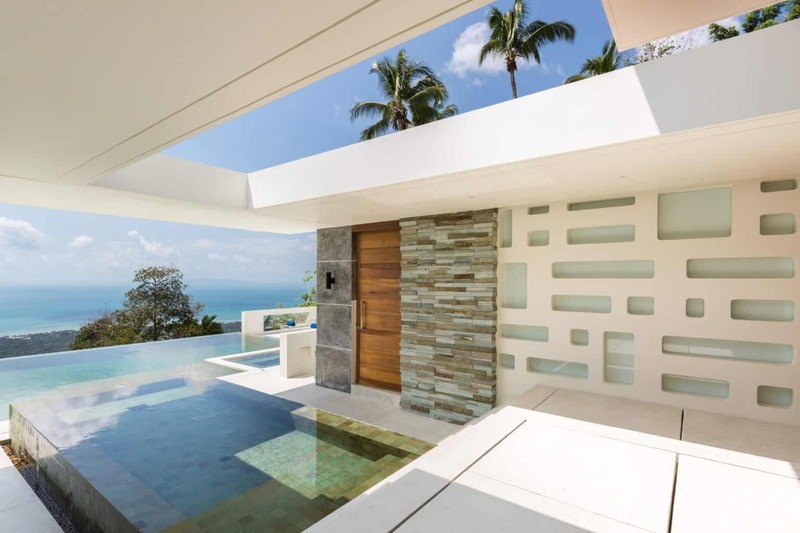 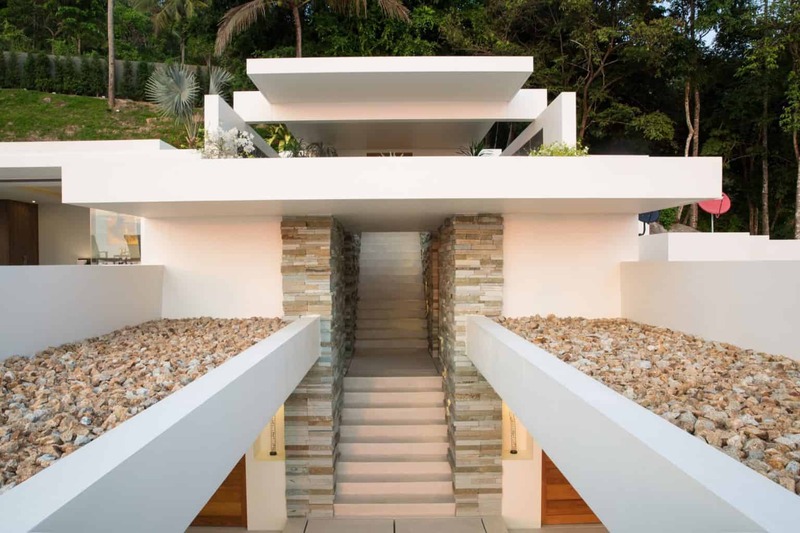 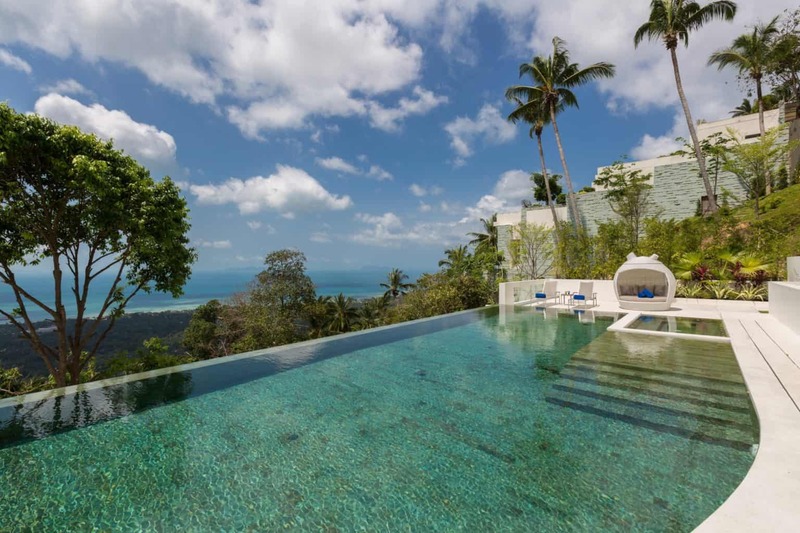 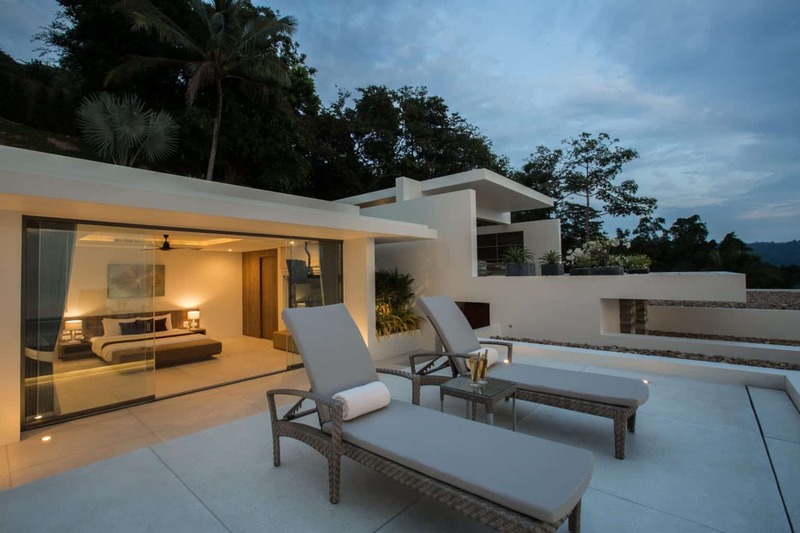 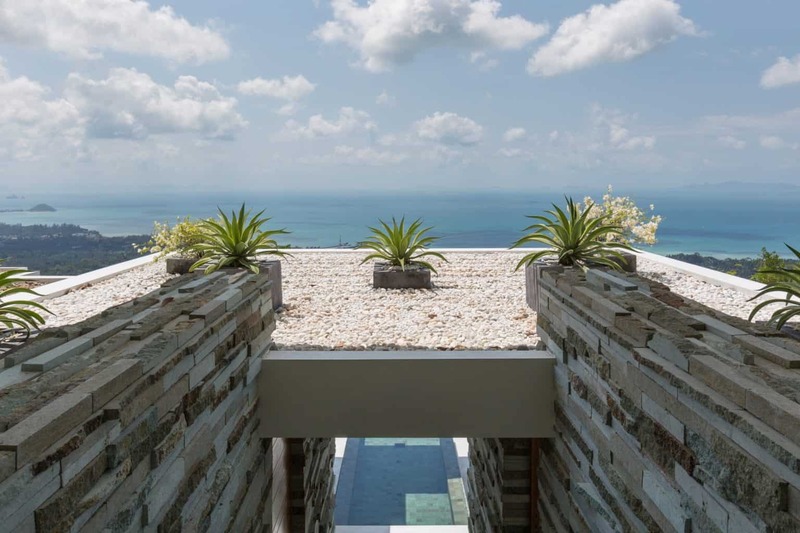 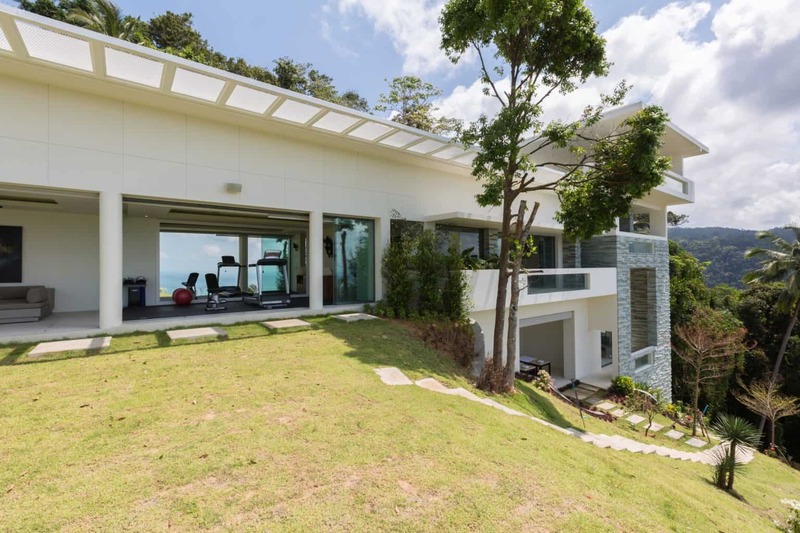 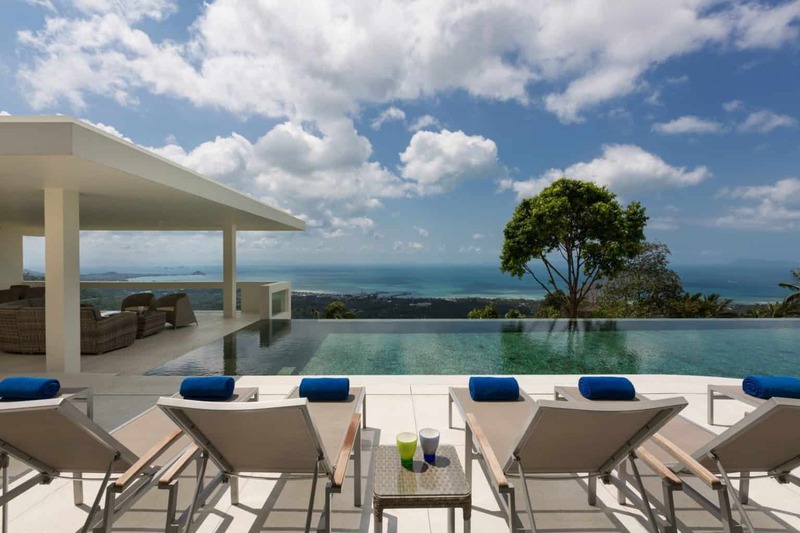 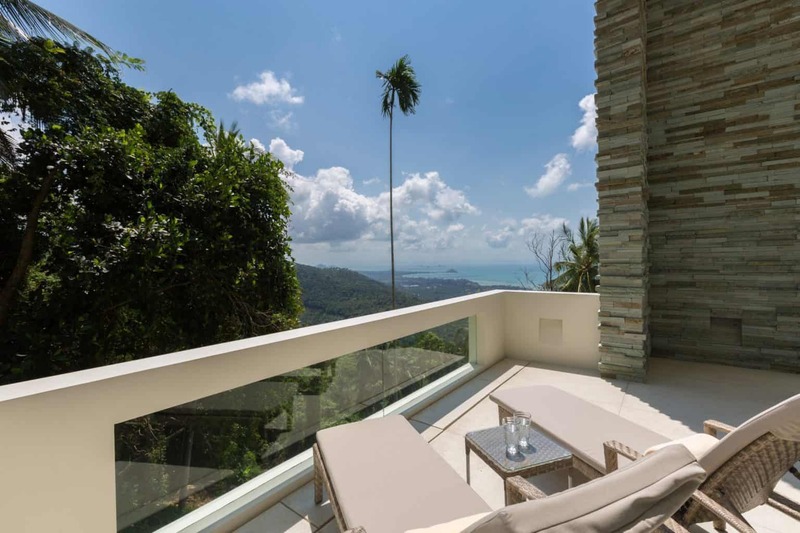 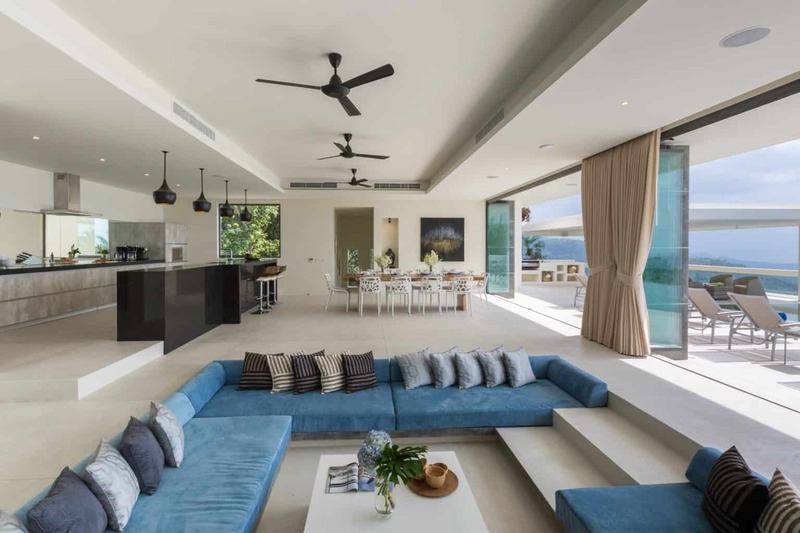 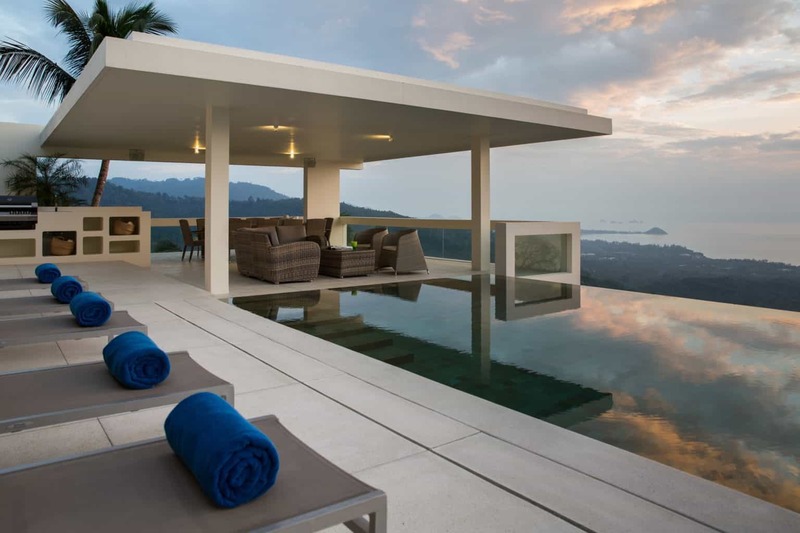 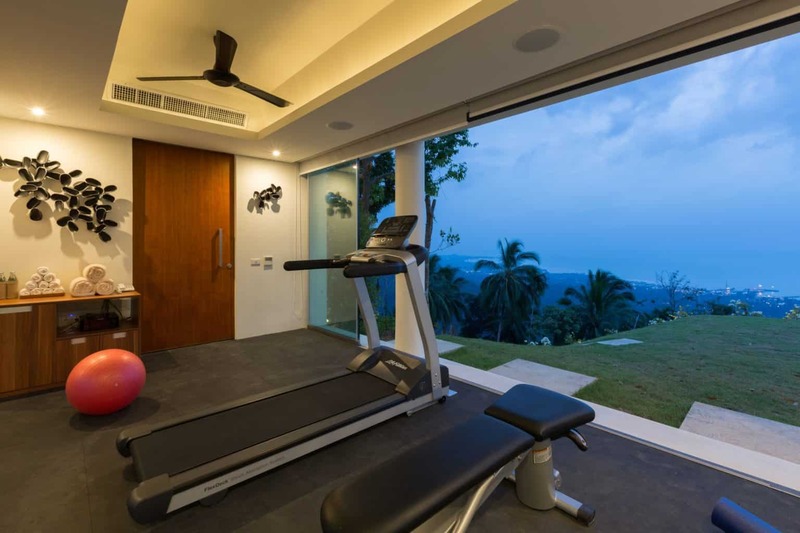 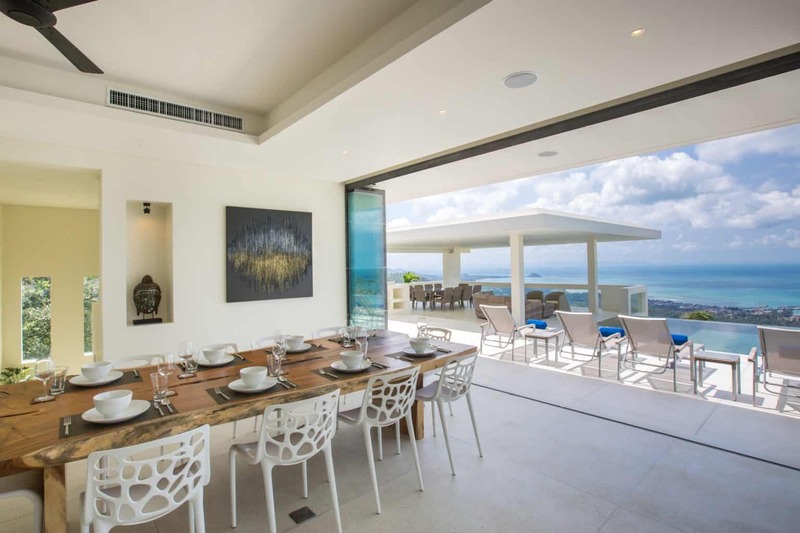 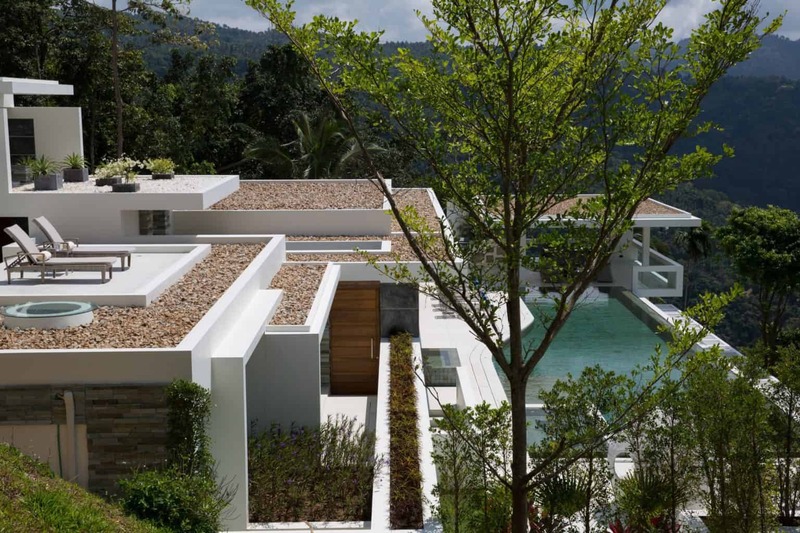 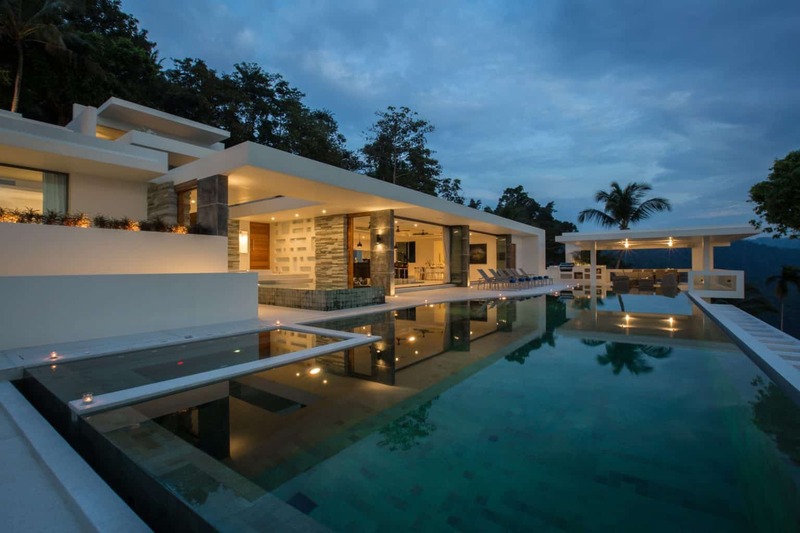 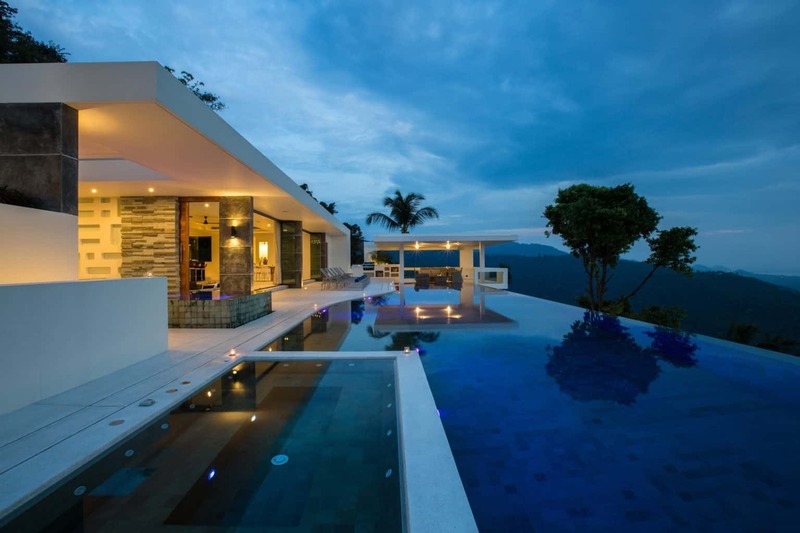 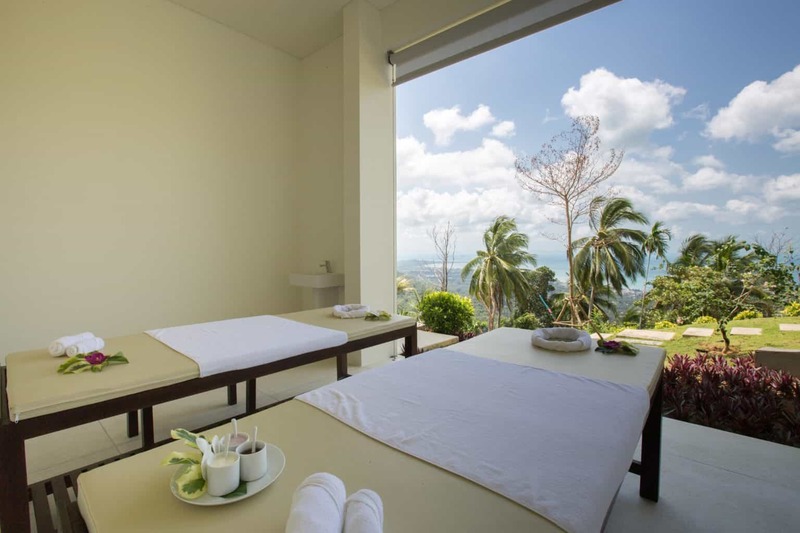 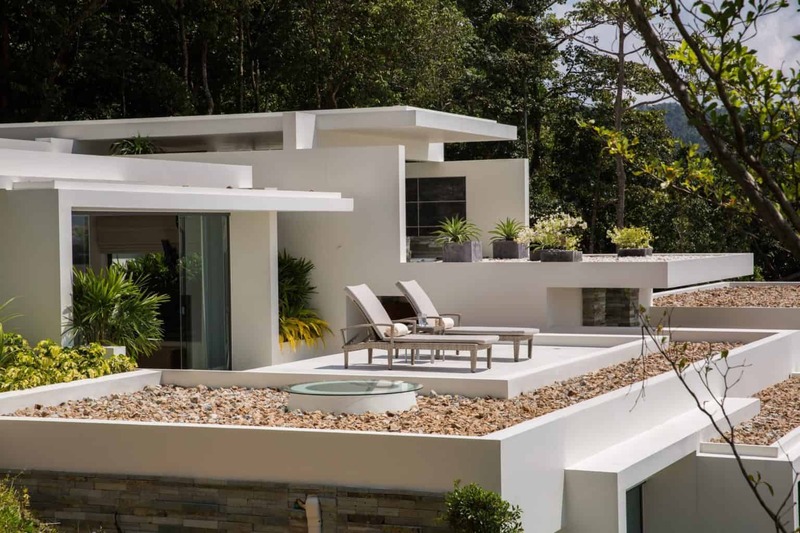 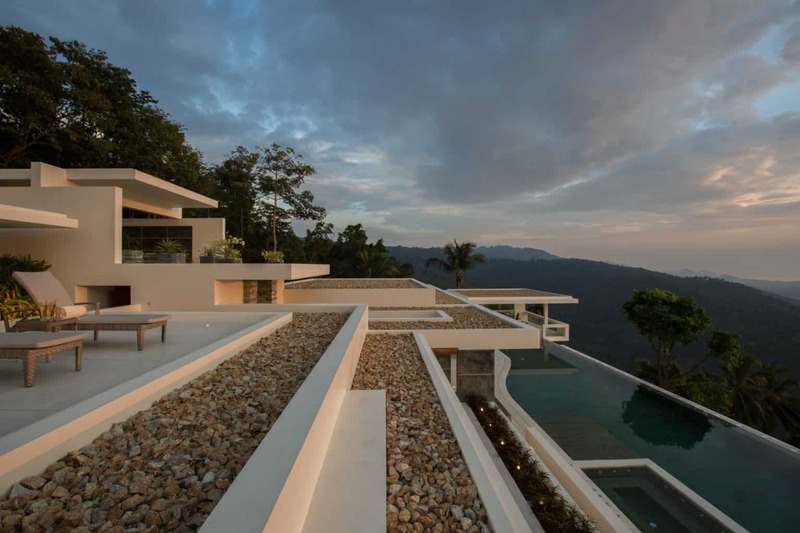 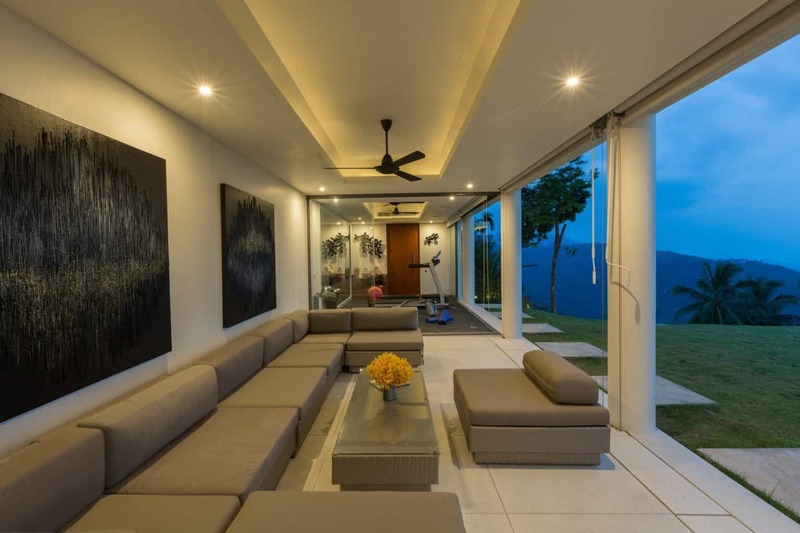 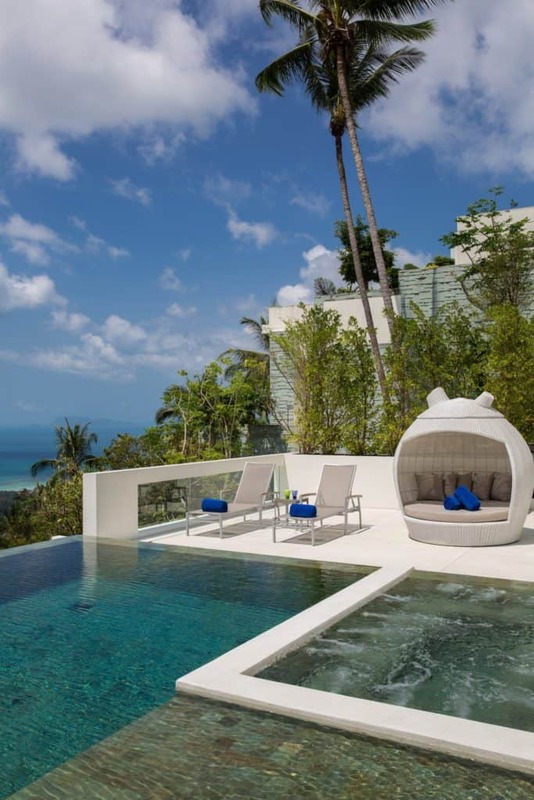 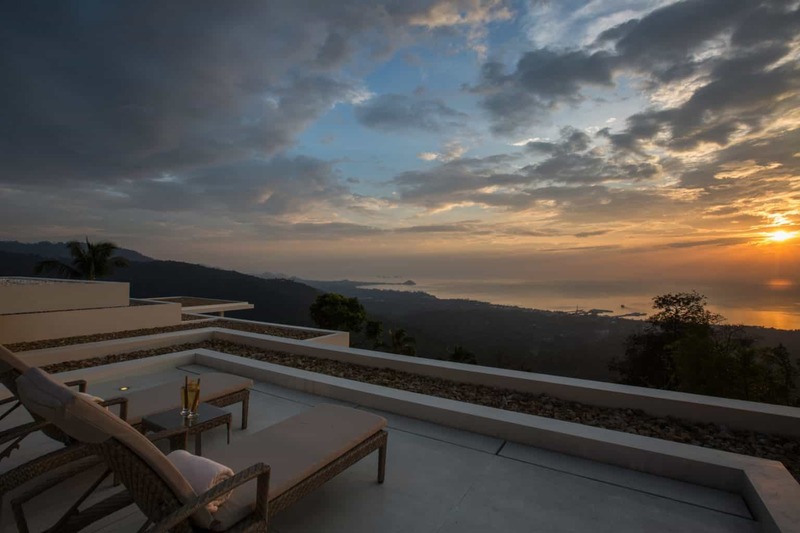 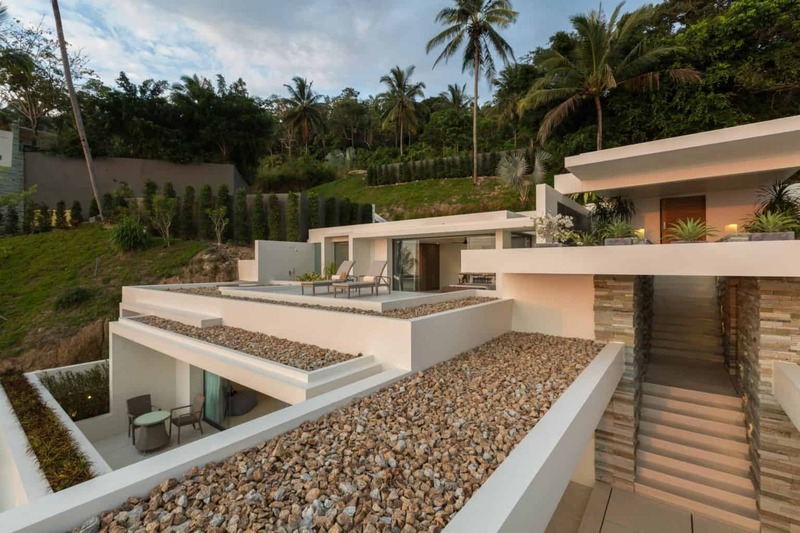 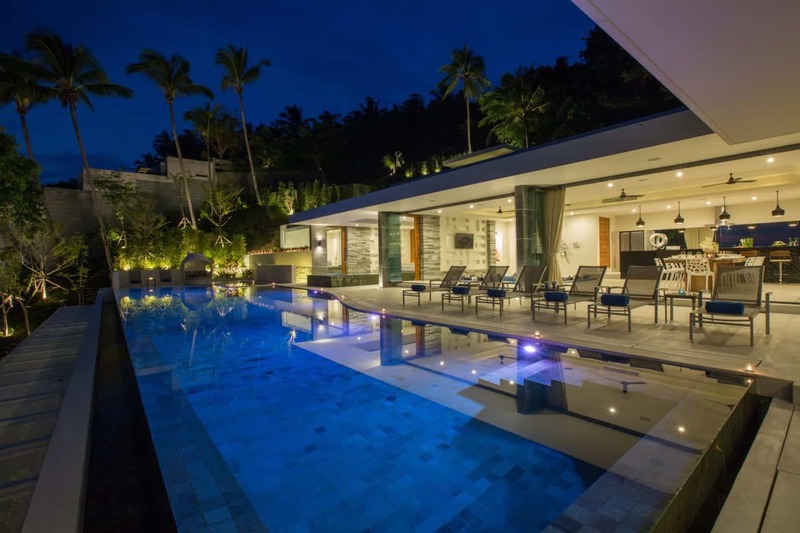 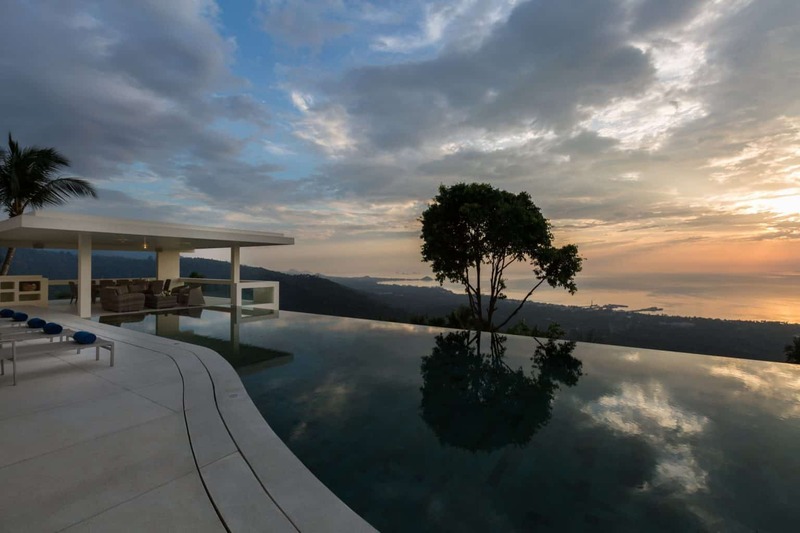 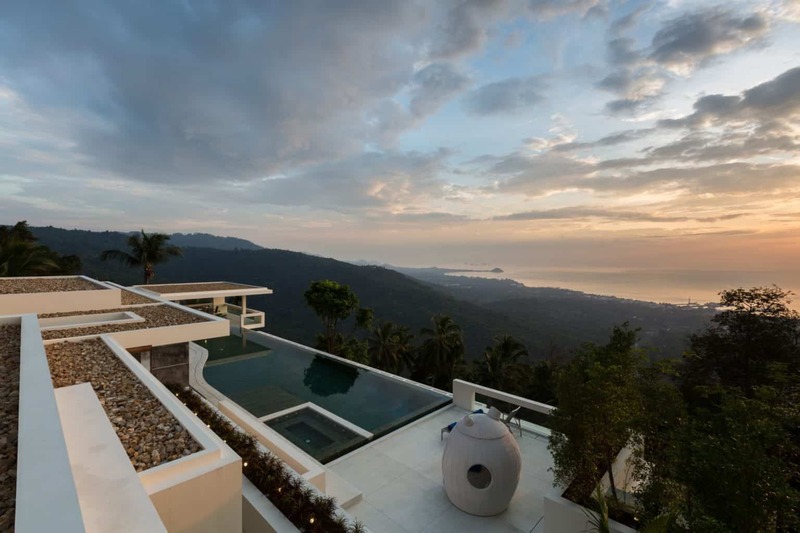 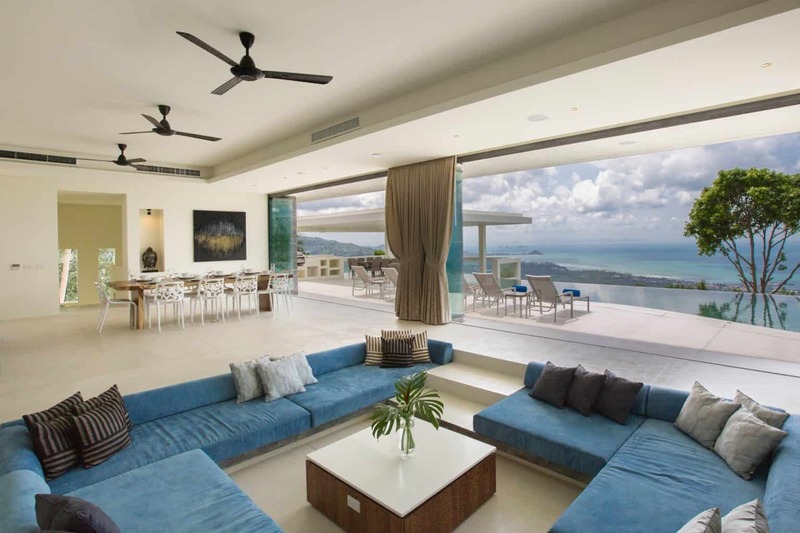 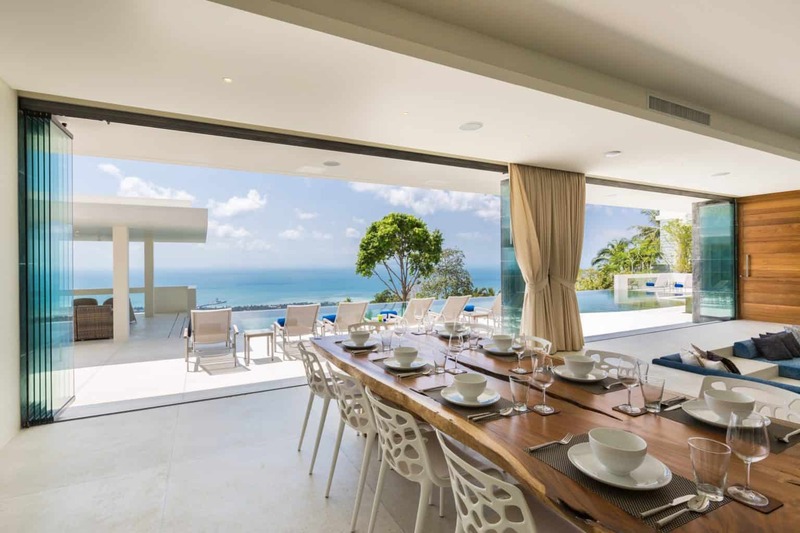 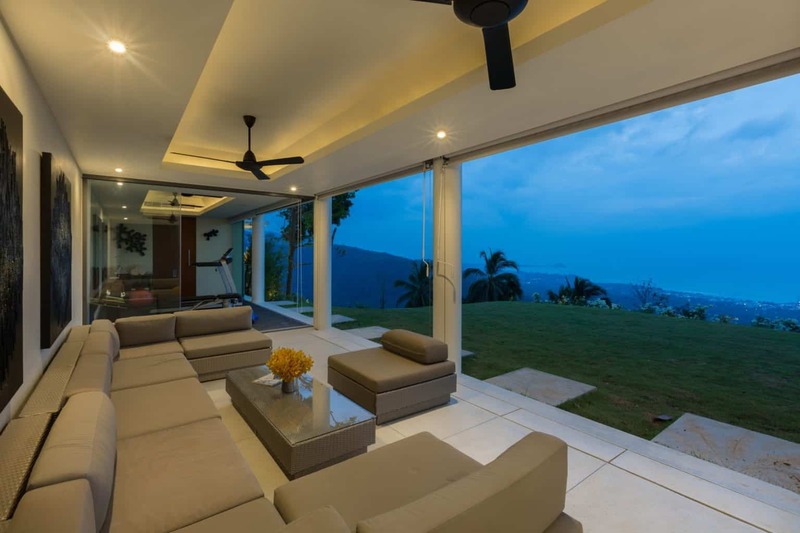 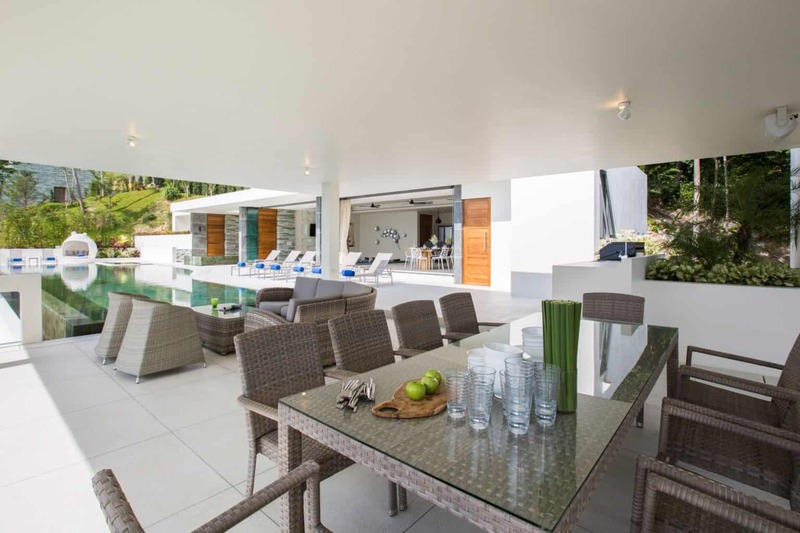 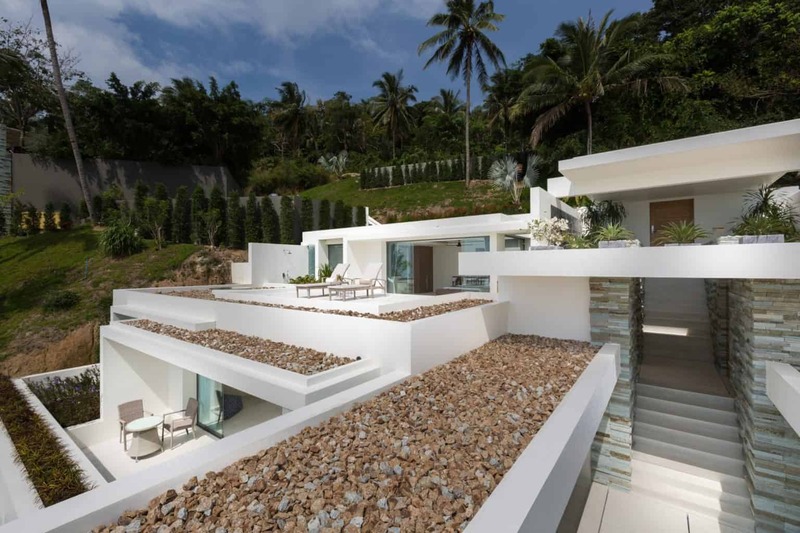 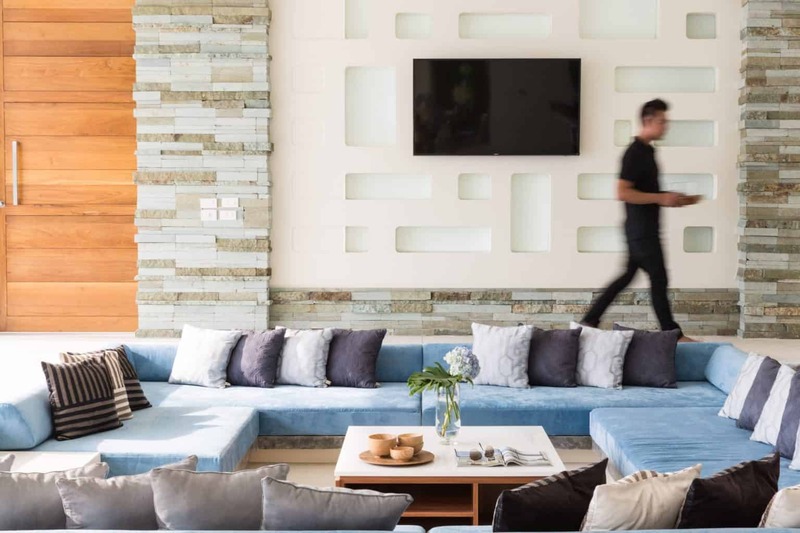 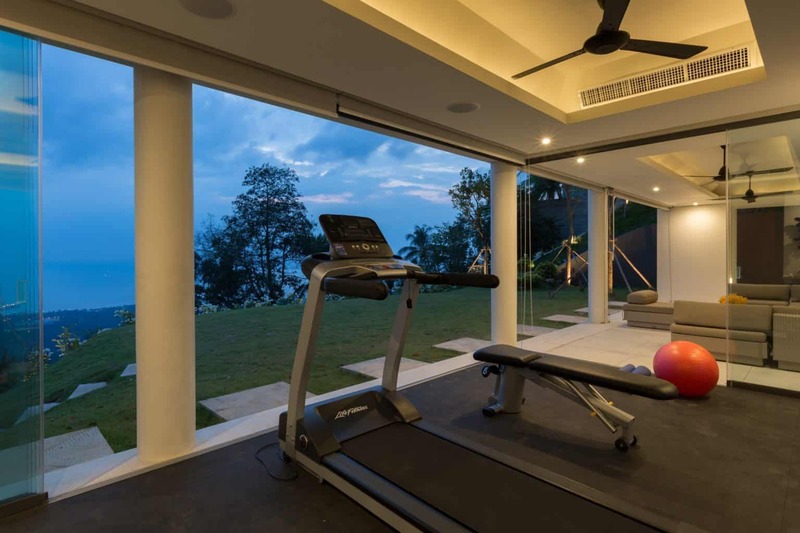 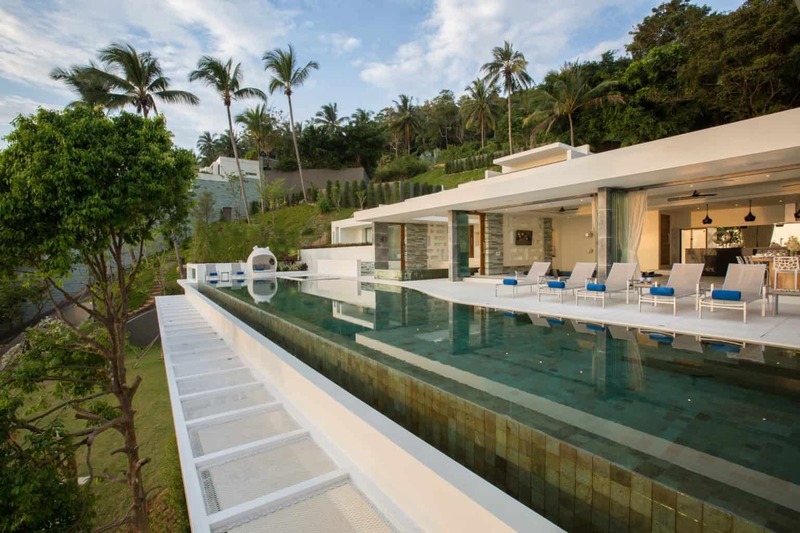 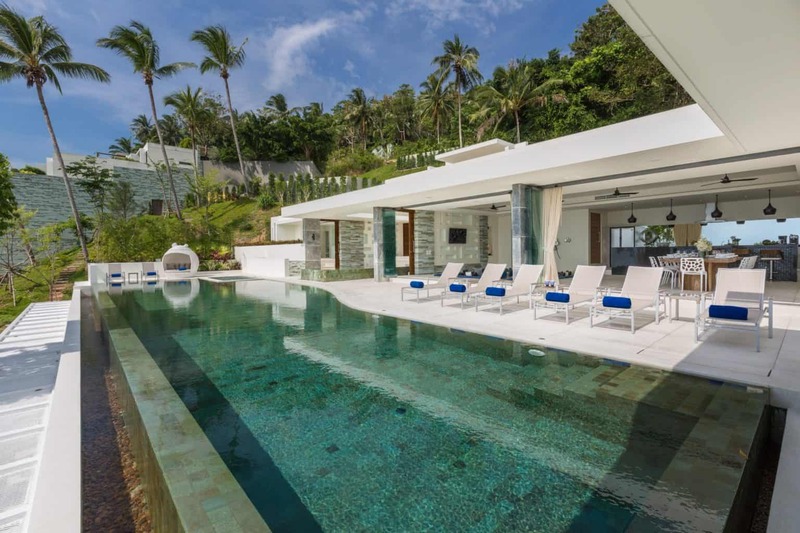 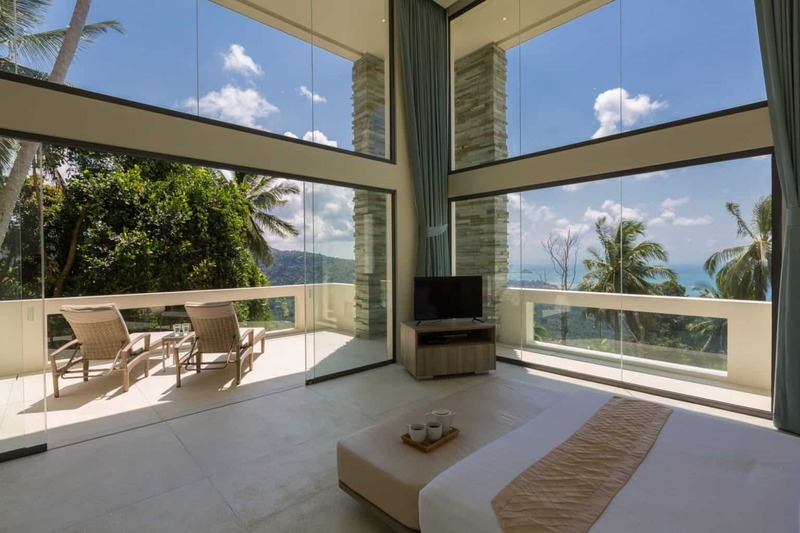 Thanks to its contemporary tropical architecture and a breathtaking elevated location, Villa Spice at Lime Samui is the perfect choice for groups of friends or large families in search of a stylish, exclusive island escape. 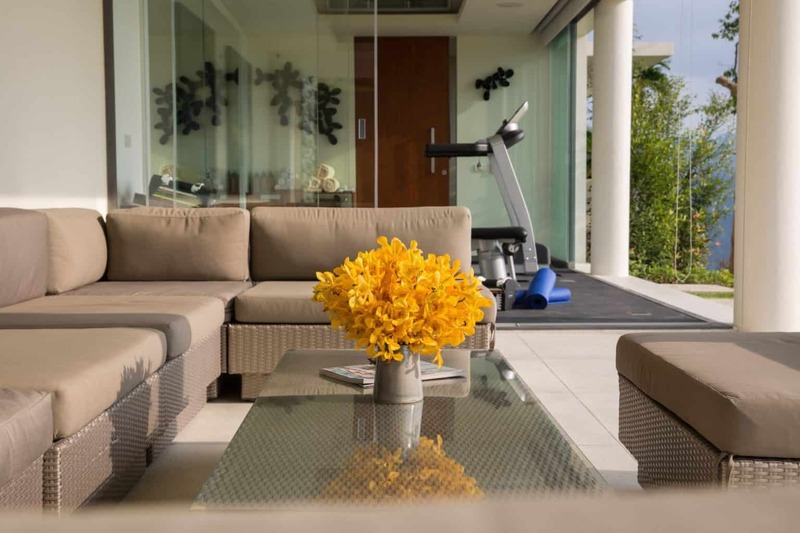 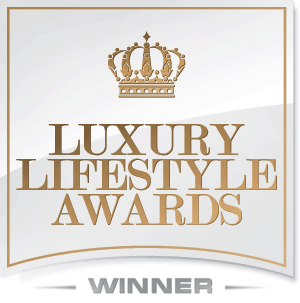 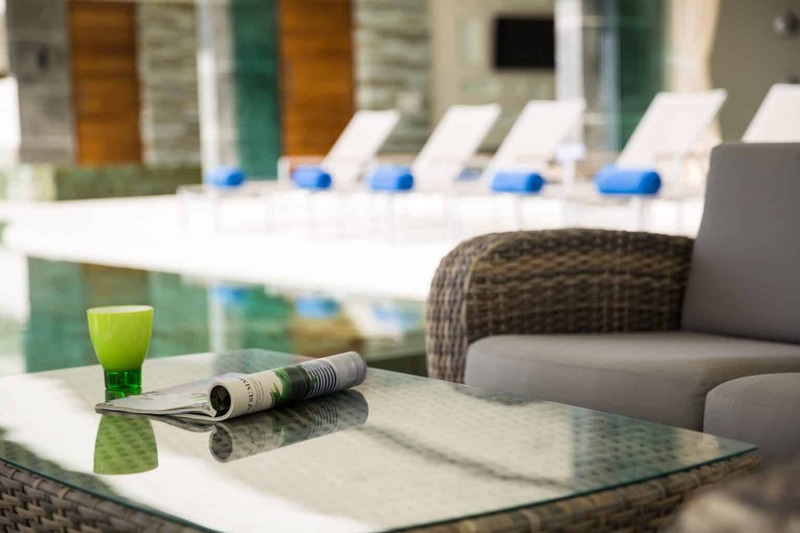 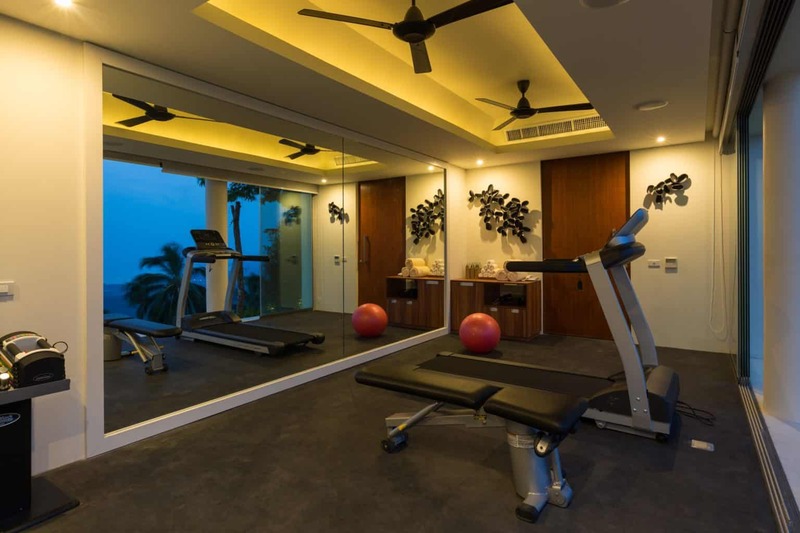 The generously sized living spaces and top notch facilities mean there are plenty of options for relaxation, exercise, social activities and private time. 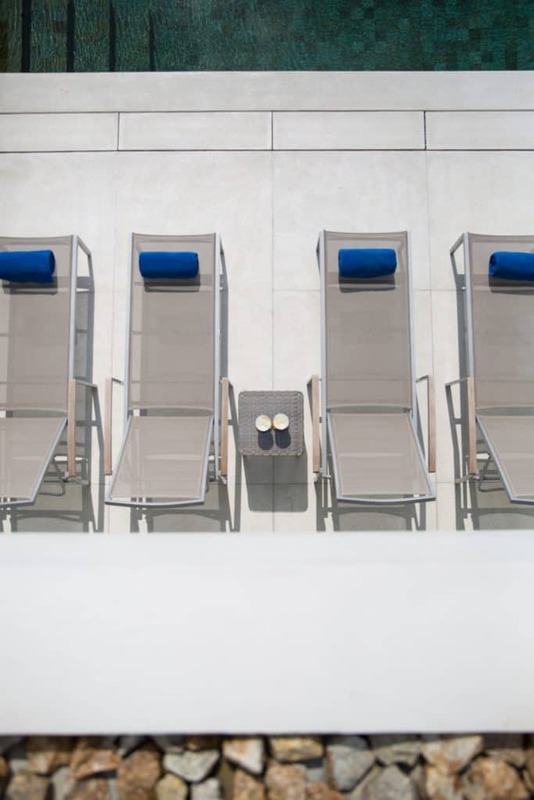 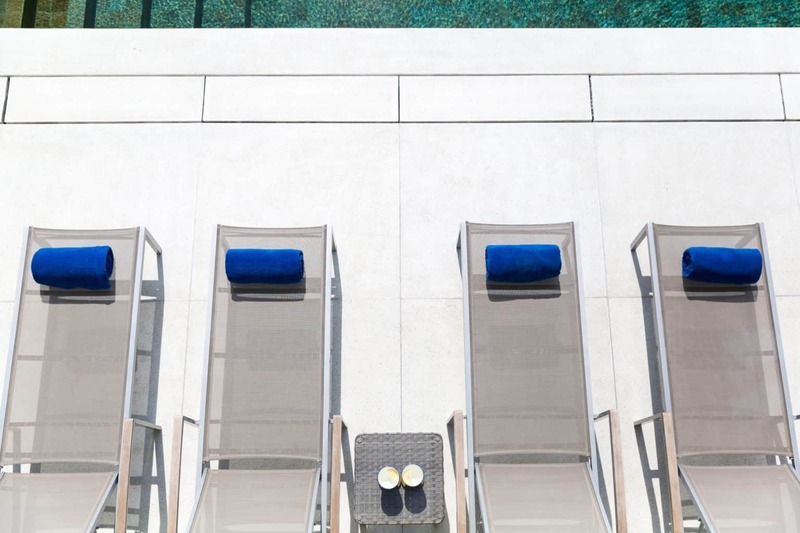 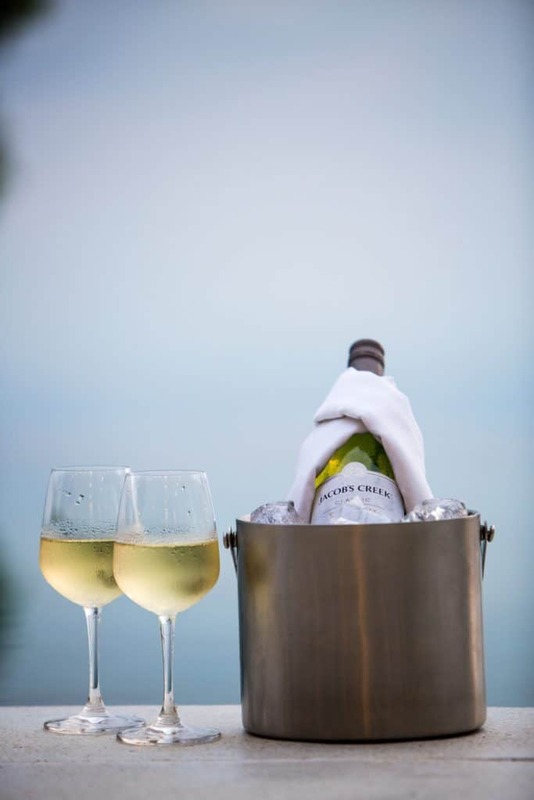 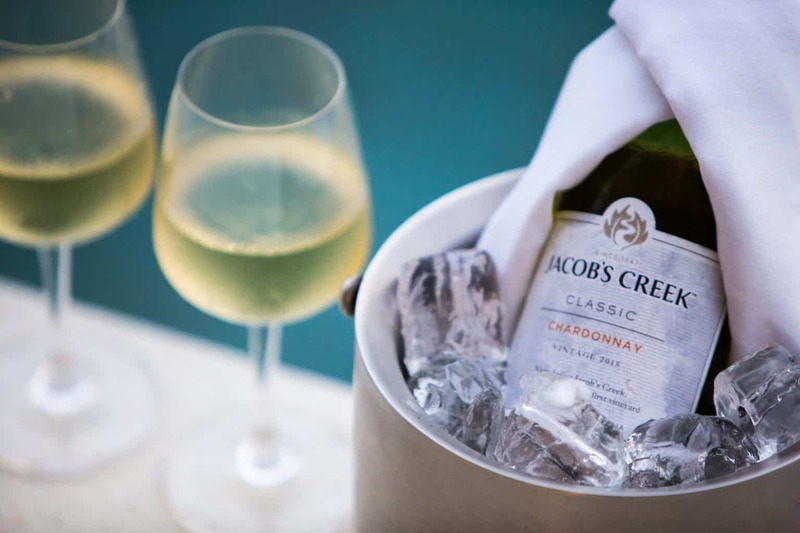 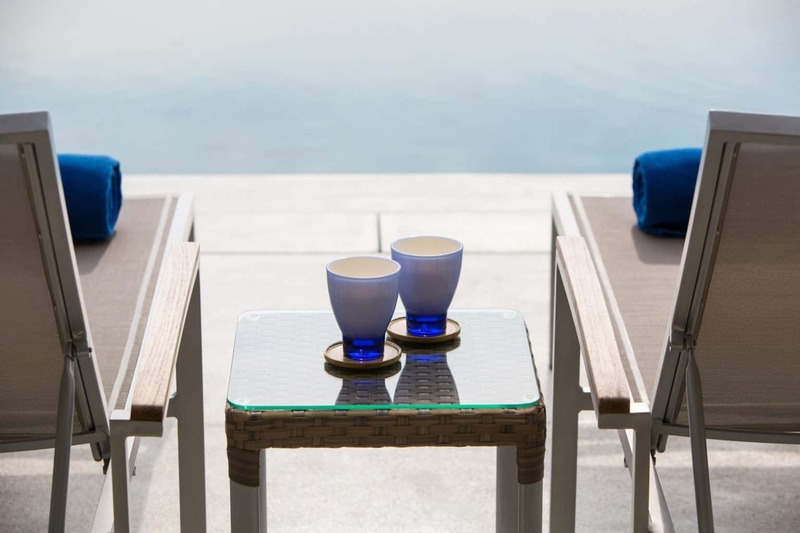 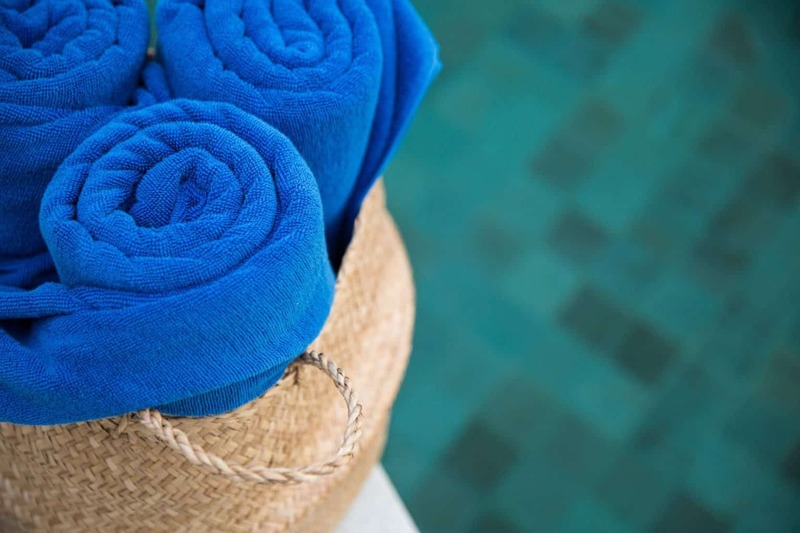 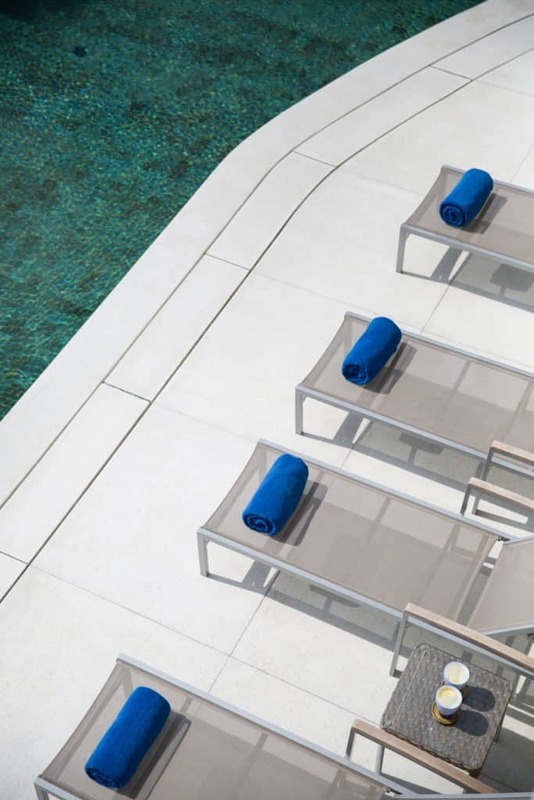 Al fresco pleasures are focused around a centrally positioned, oceanview infinity pool, which connects to a covered poolside terrace area with built-in barbecue, furnished dining space and cushioned outdoor furnishings perfect for informal meals or private parties. 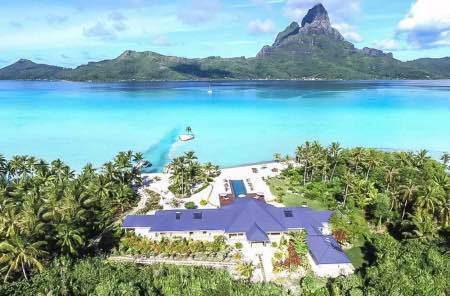 Even though the villa is not right by the beach; the sweeping ocean views and lush green surroundings offer an unforgettable setting for a memorable private island experience. 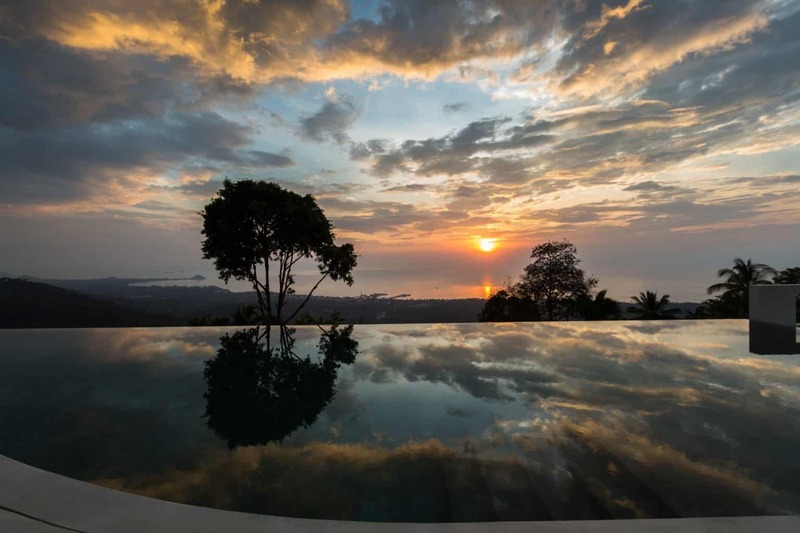 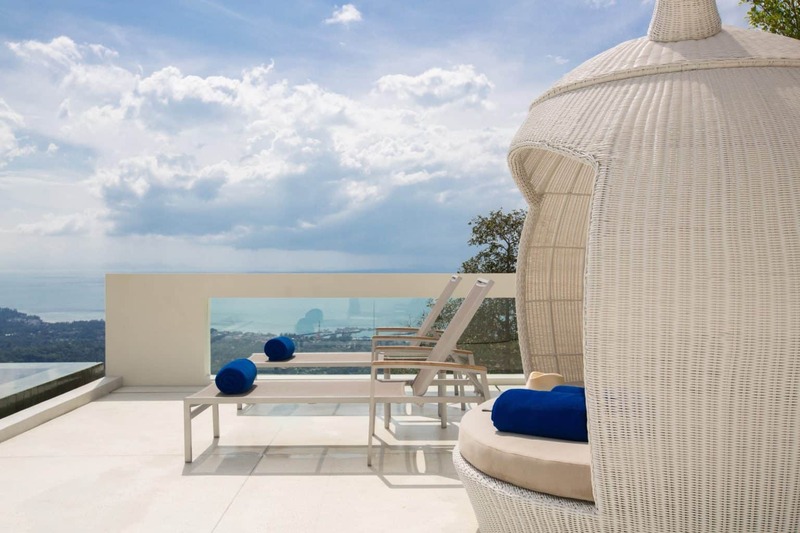 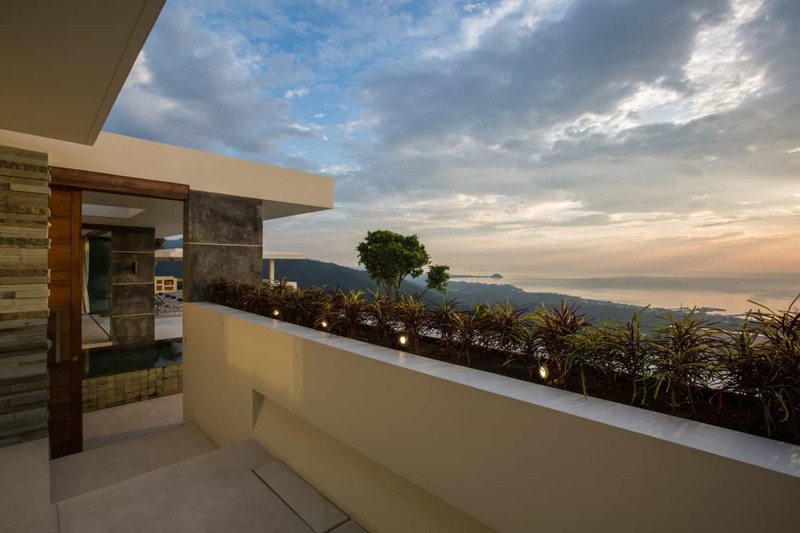 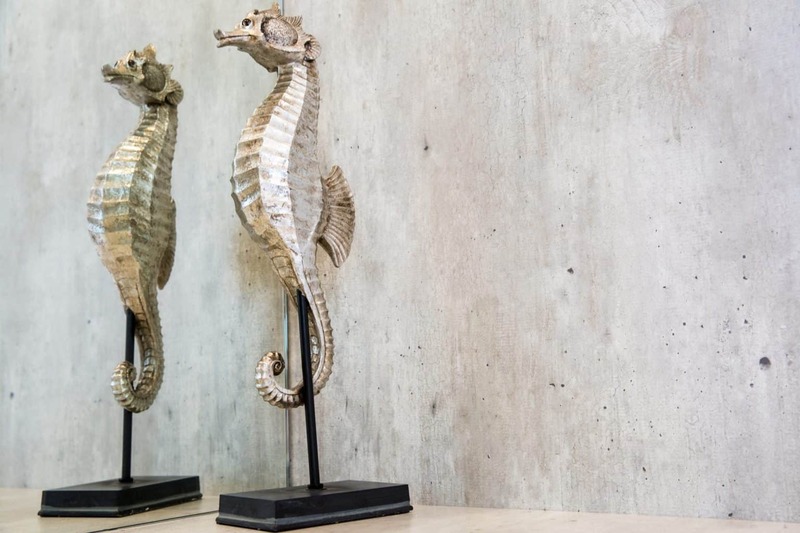 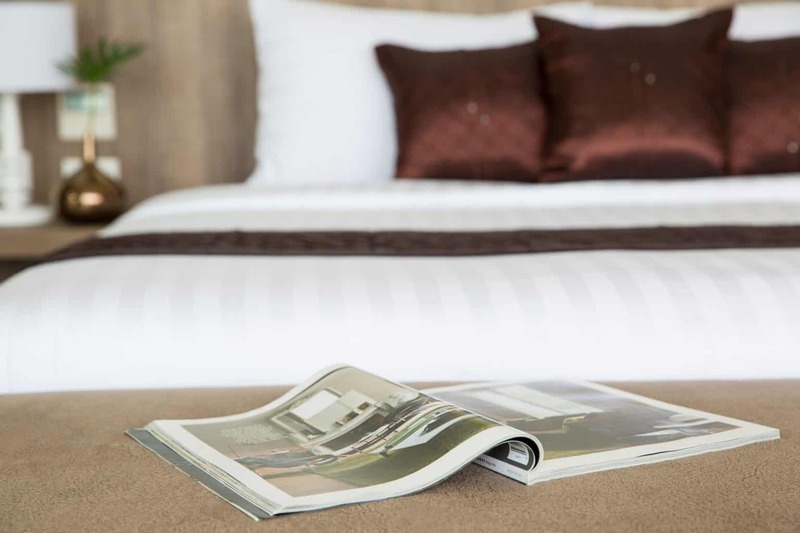 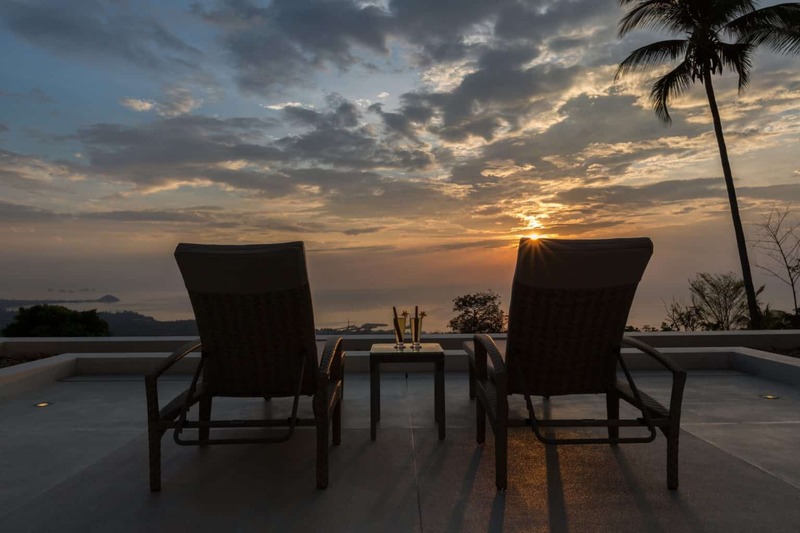 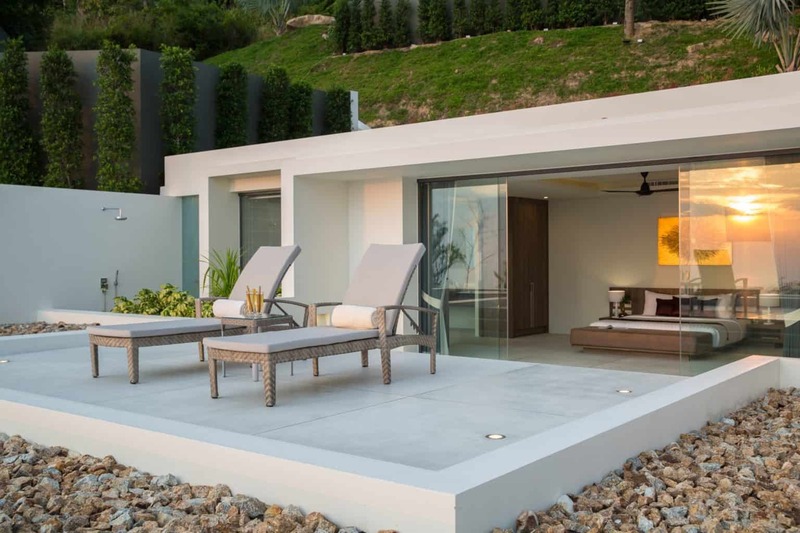 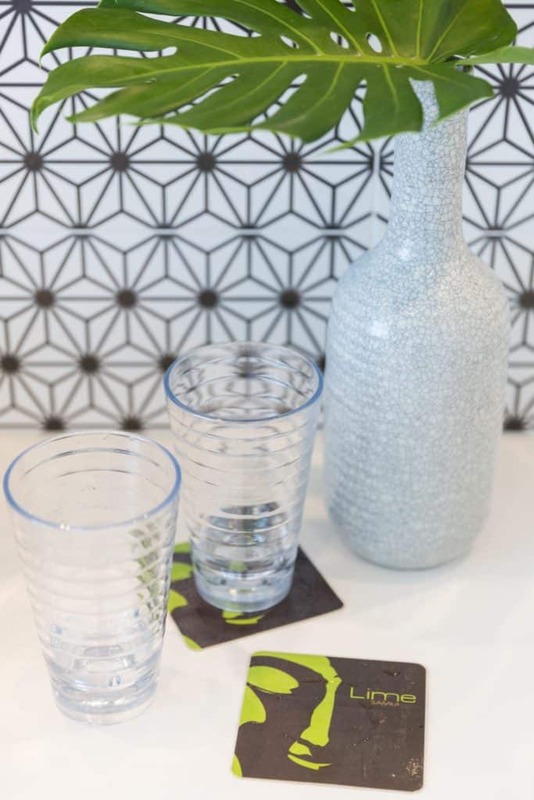 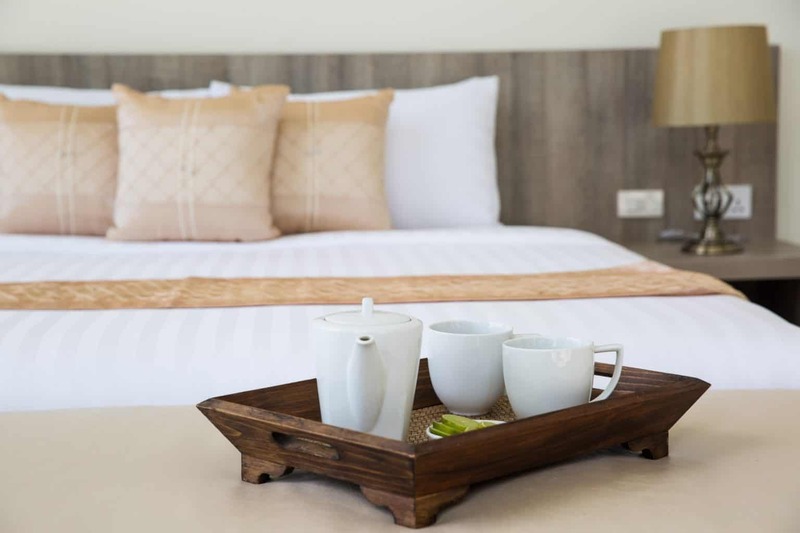 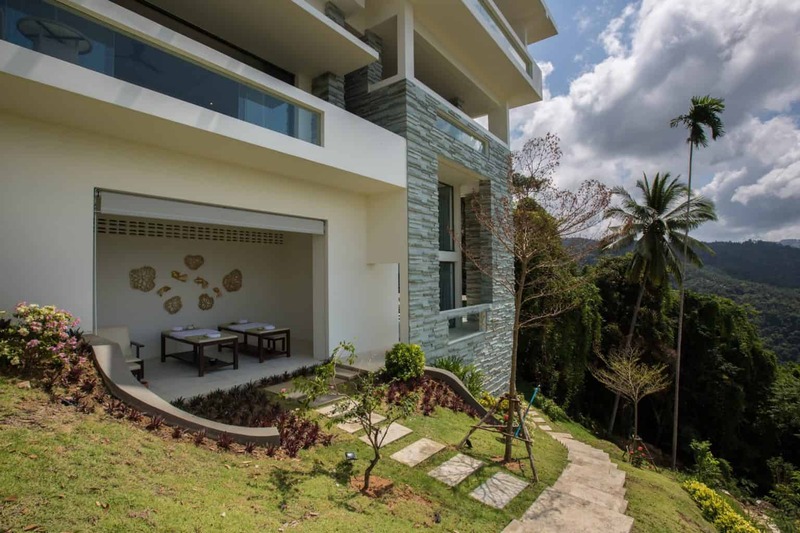 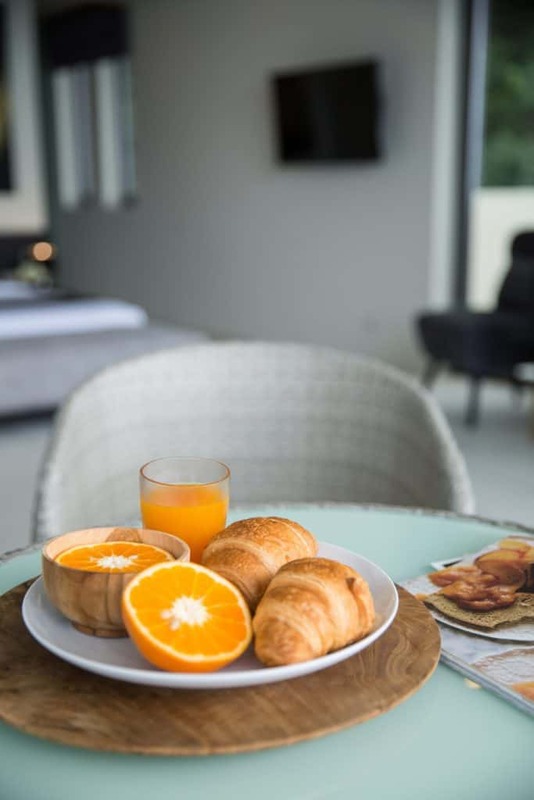 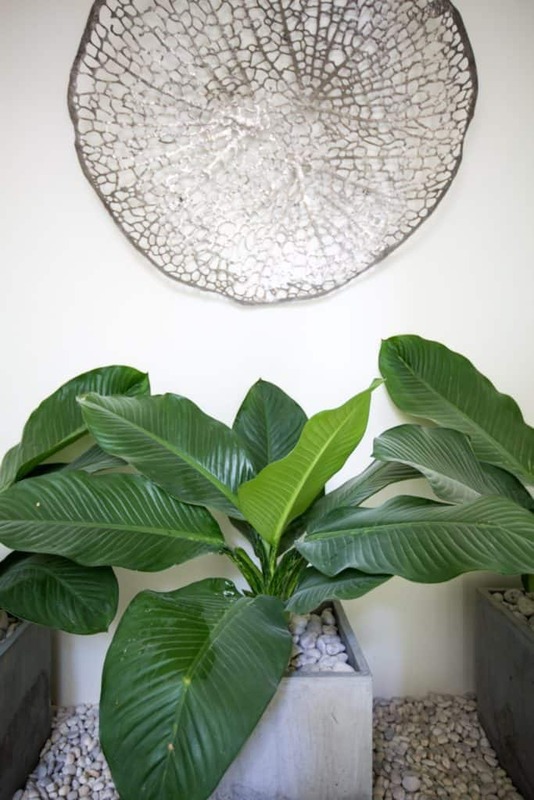 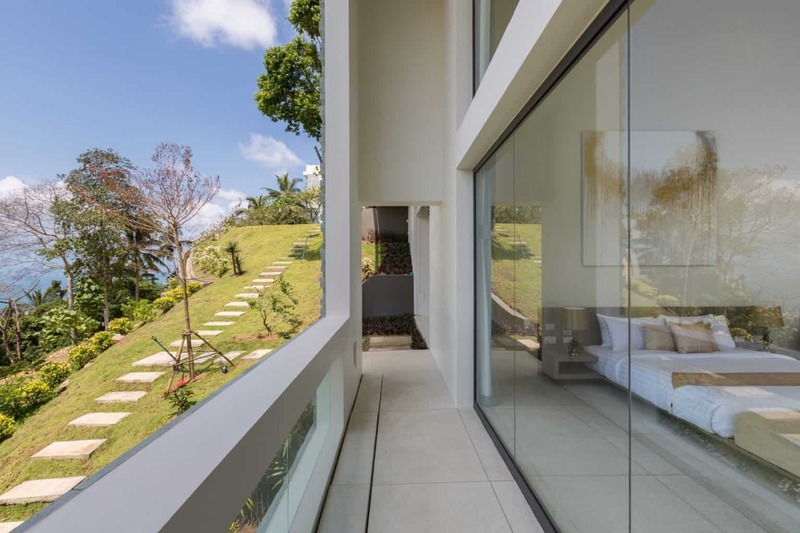 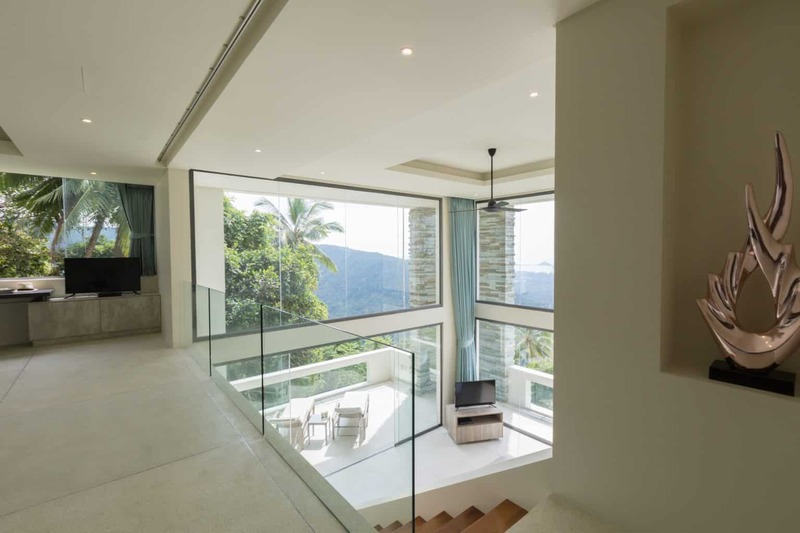 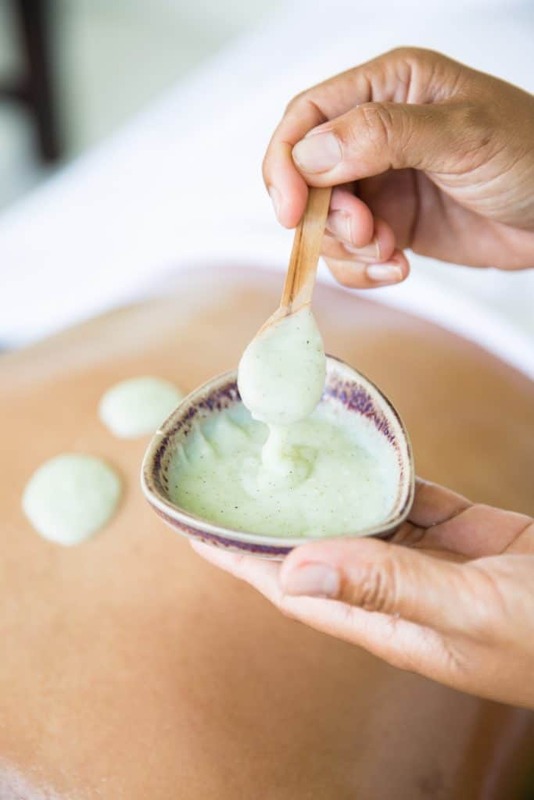 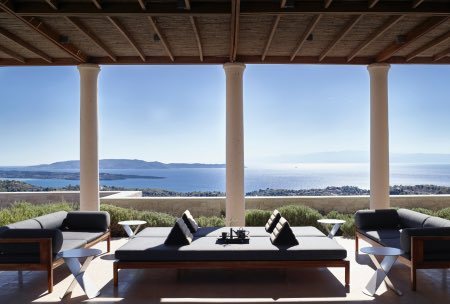 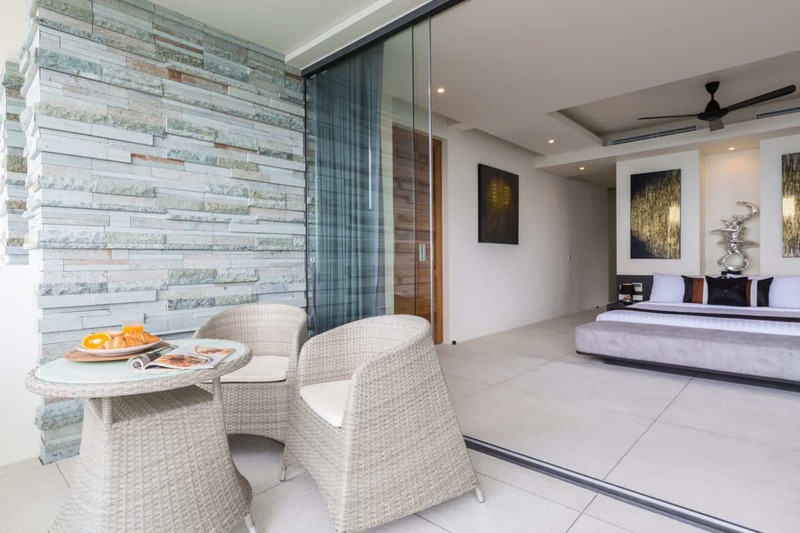 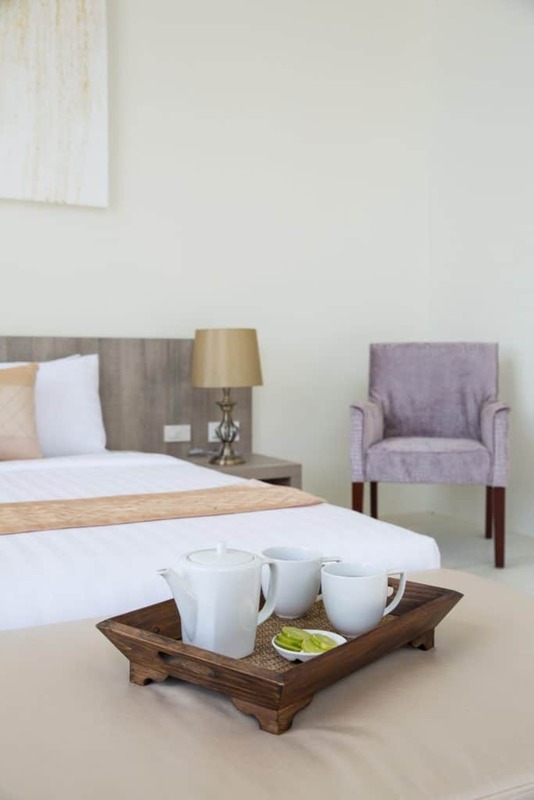 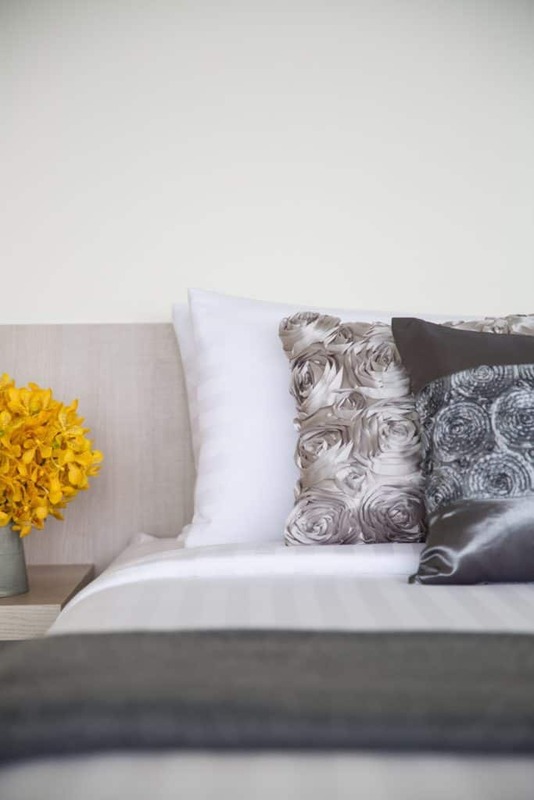 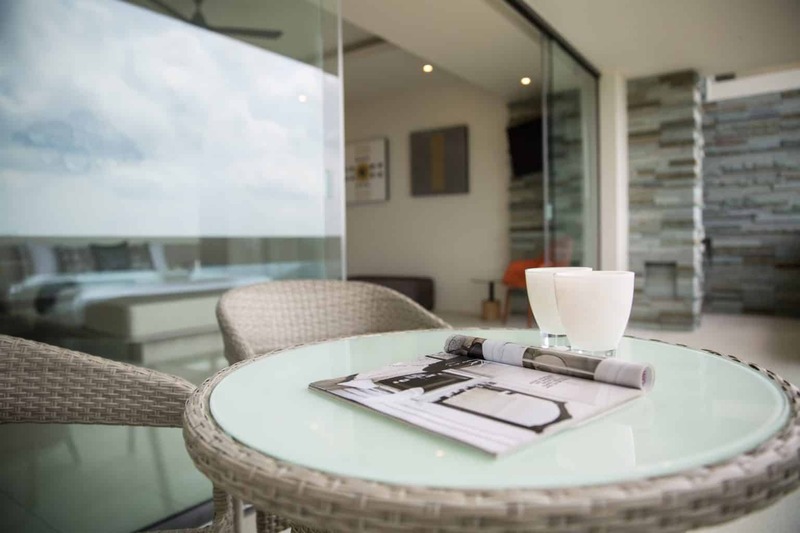 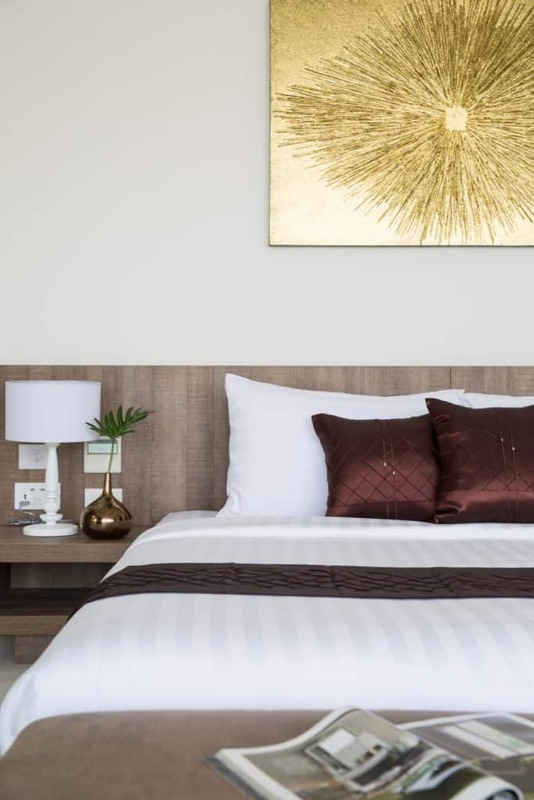 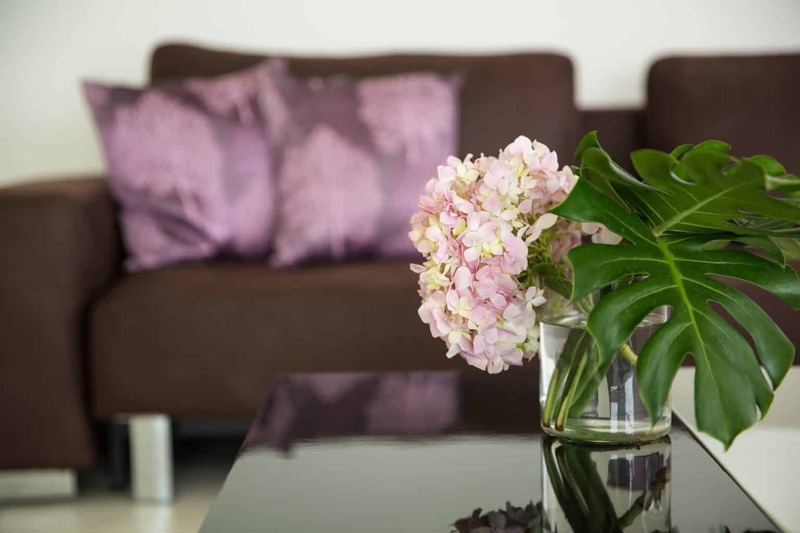 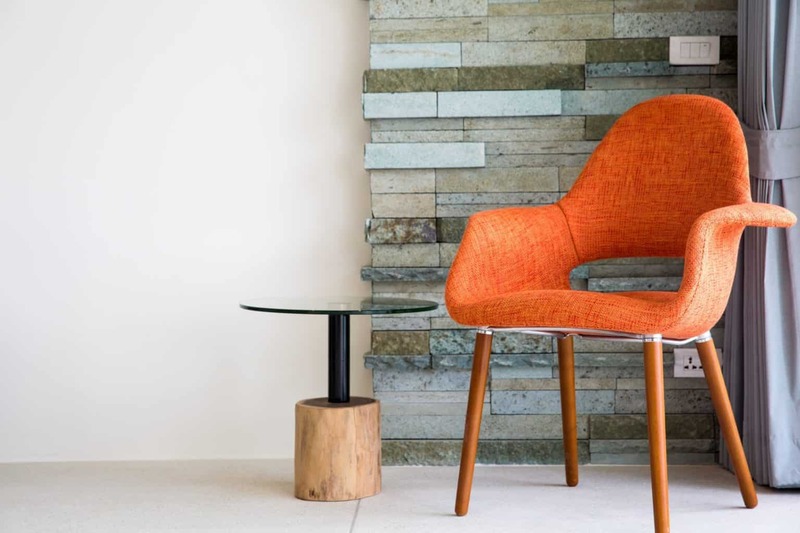 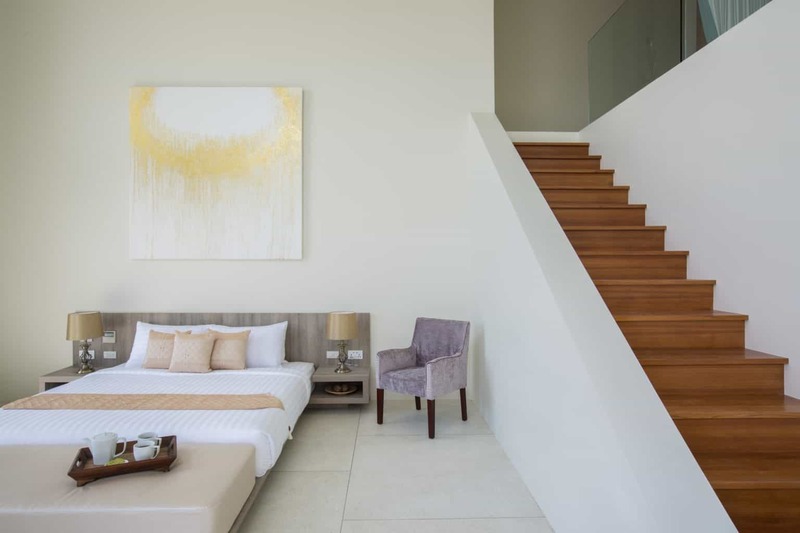 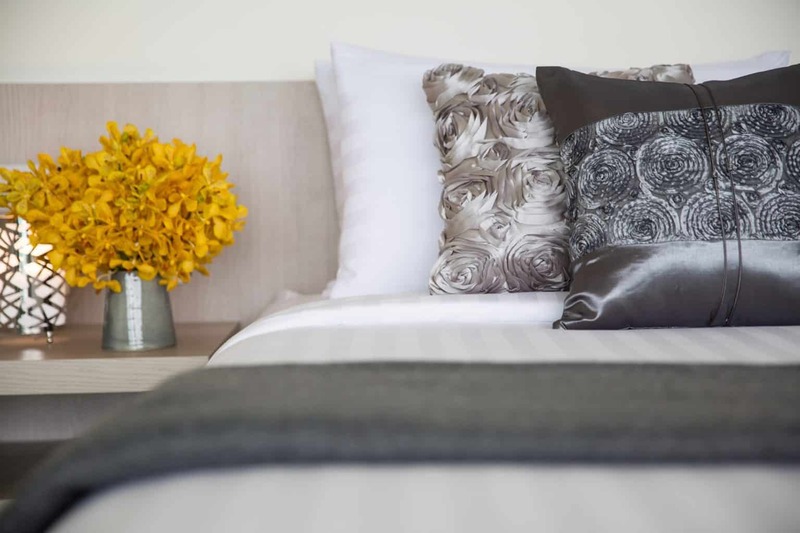 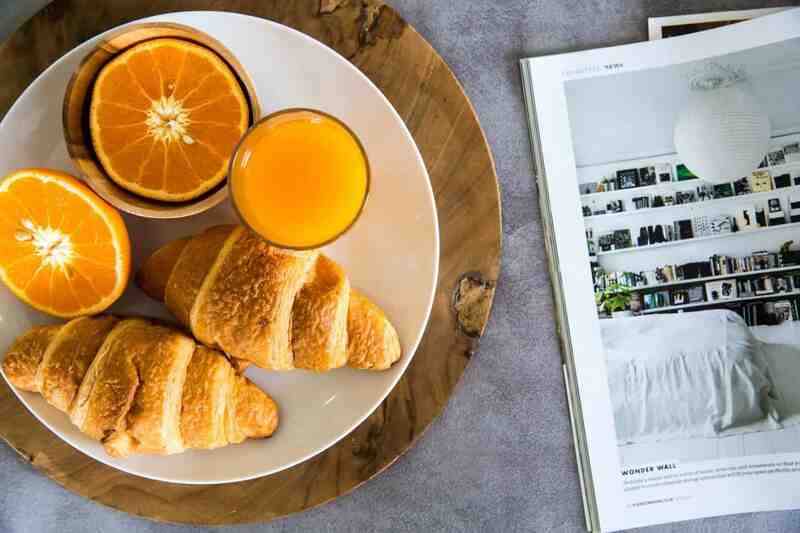 The range of modern home comforts and contemporary conveniences available during the stay in no way detracts from the the villa’s serene natural surroundings, which means guest can enjoy the best of both worlds. 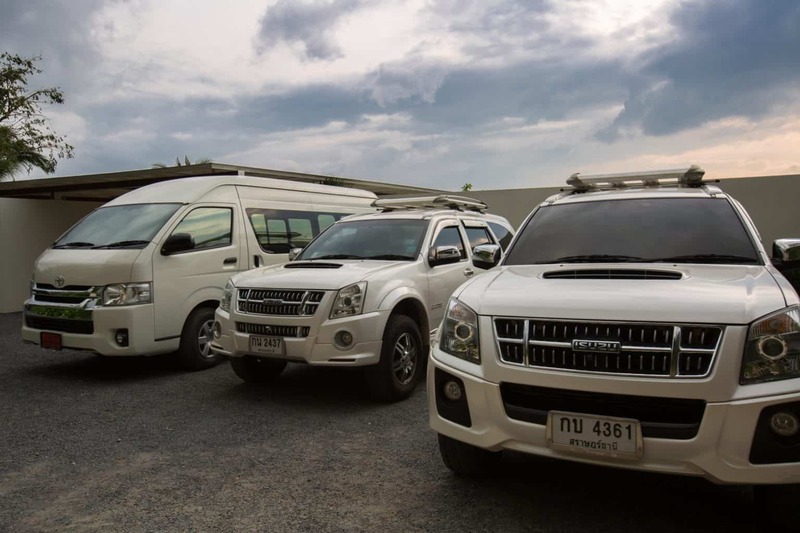 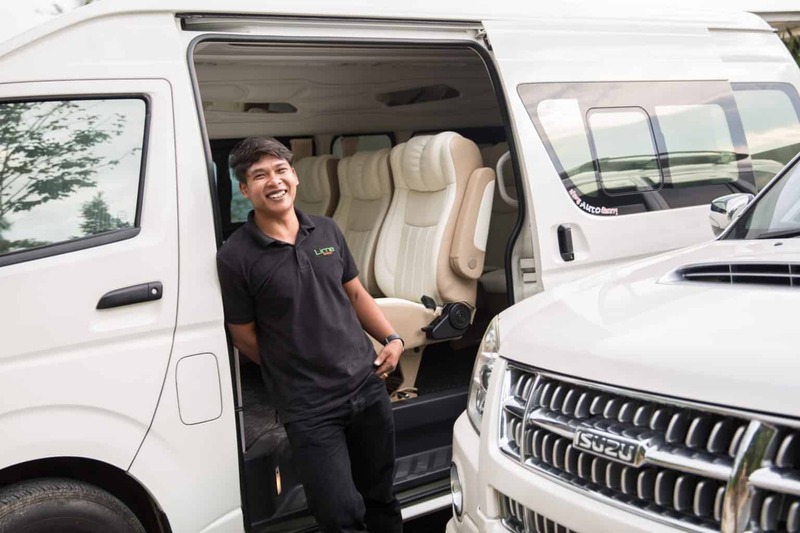 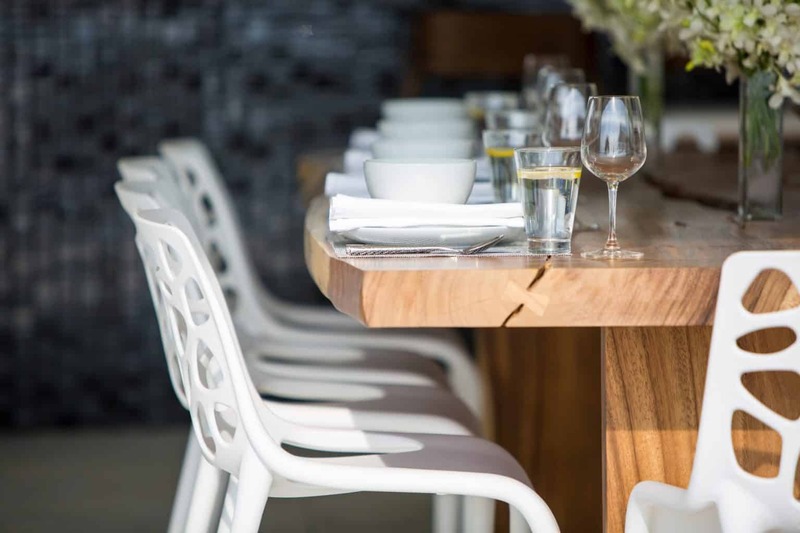 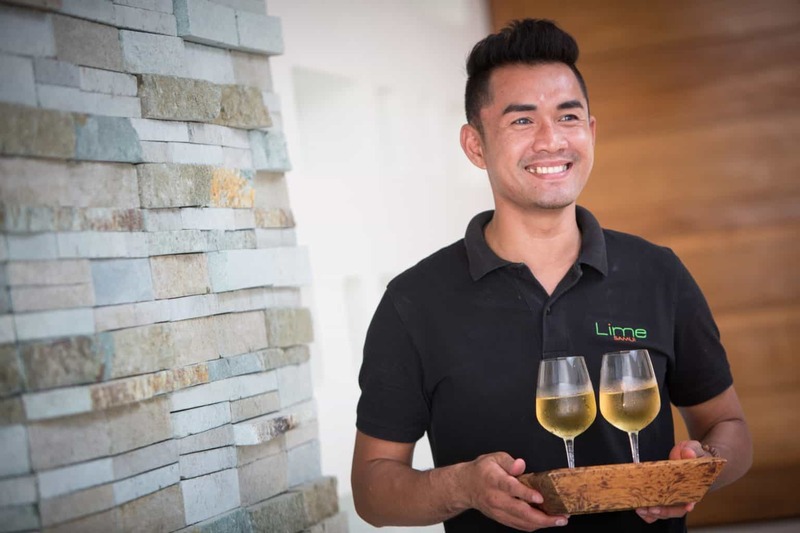 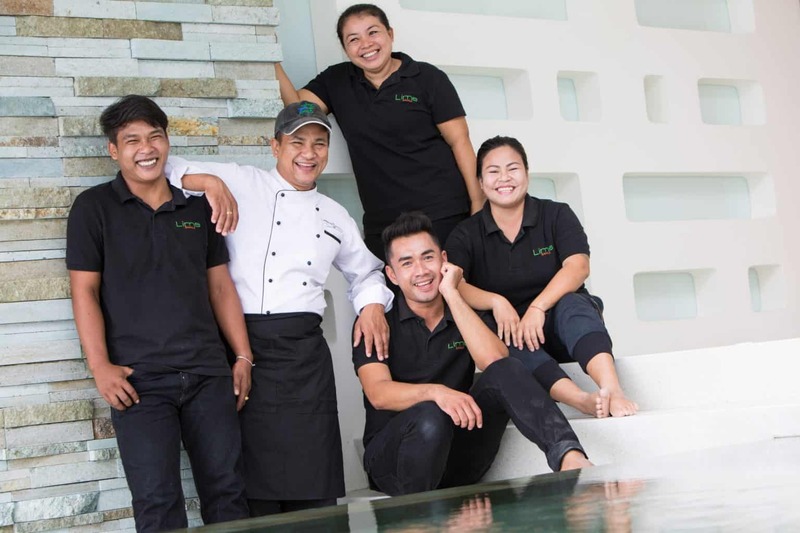 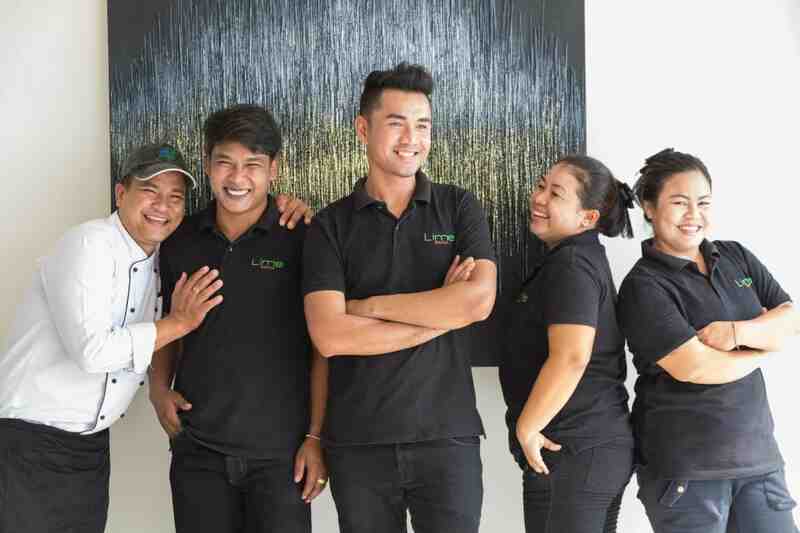 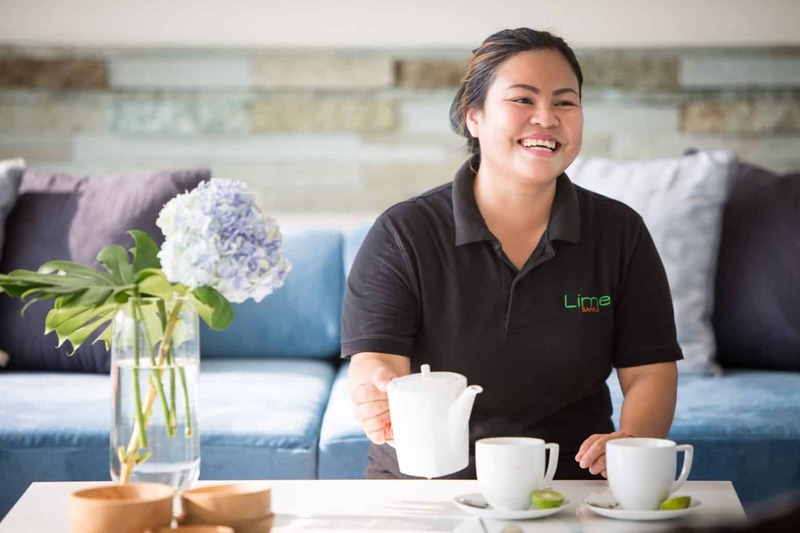 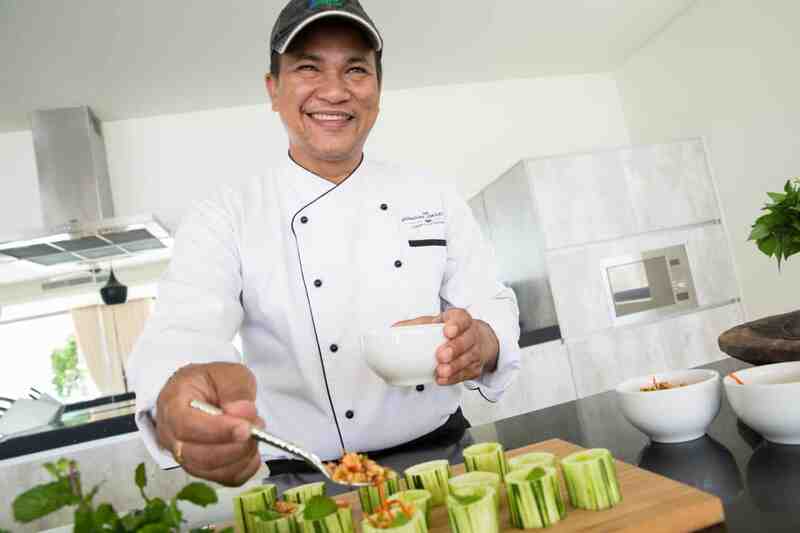 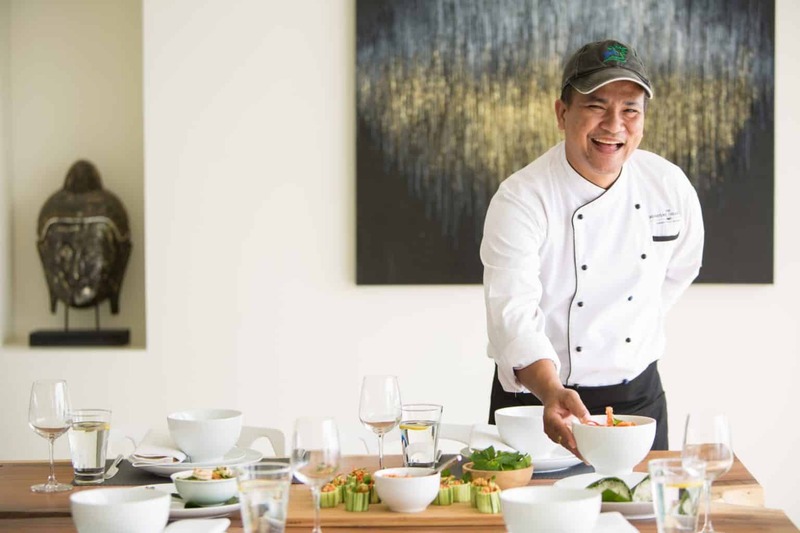 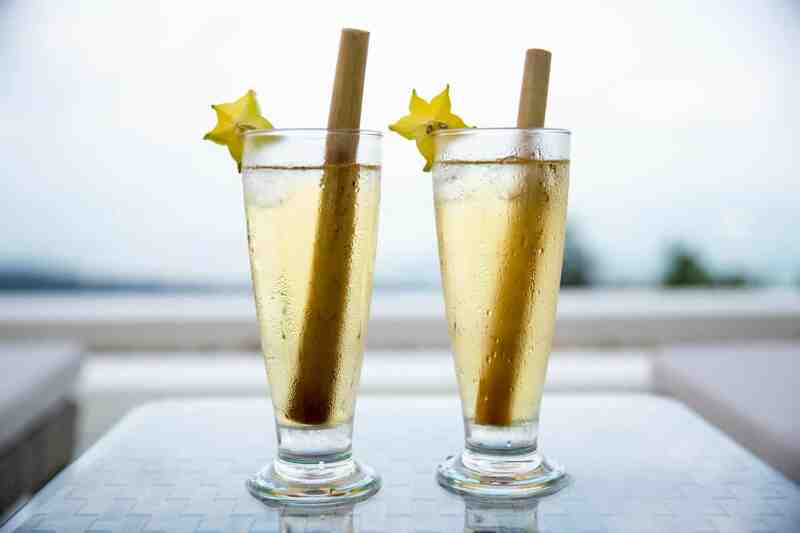 The professional and experienced on-site hospitality team works hard to make sure every individual need is efficiently met, and the skilled Thai chef prepares delicious meals to order, which can be served inside or outdoors, either to match the weather or the desired social ambiance.